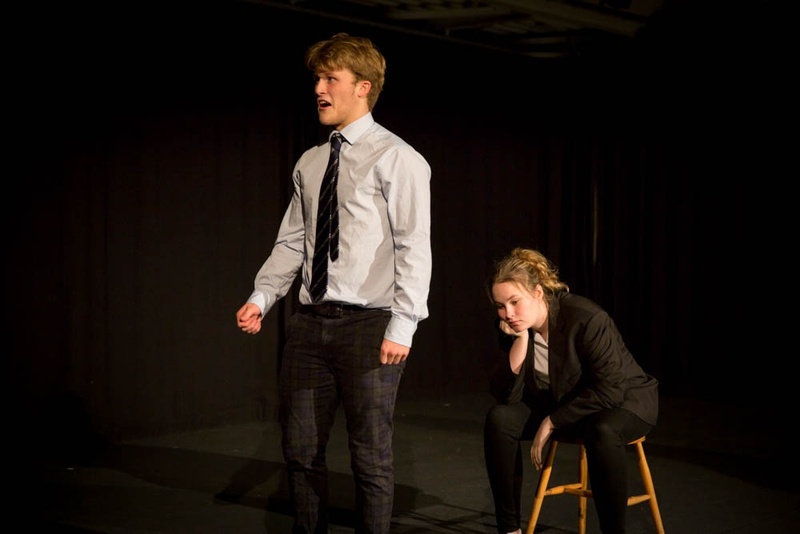 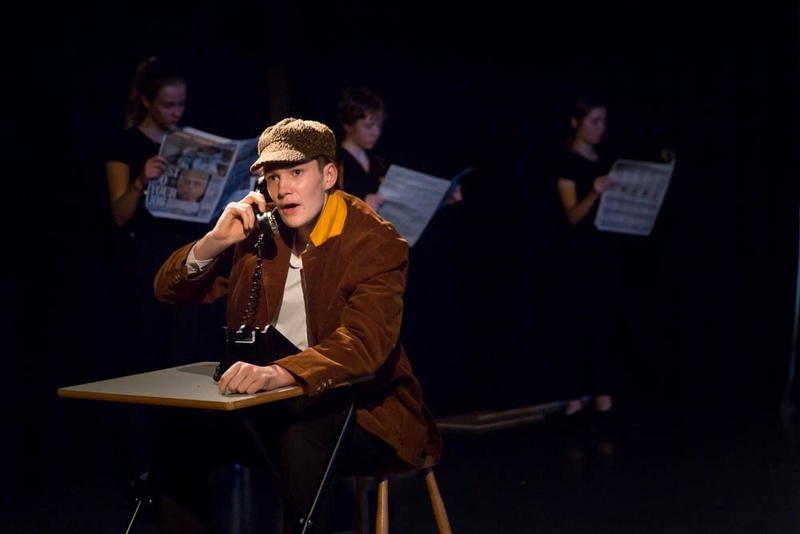 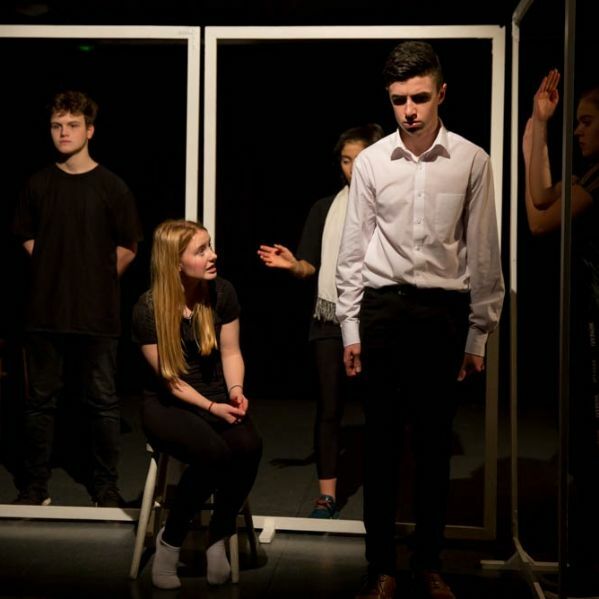 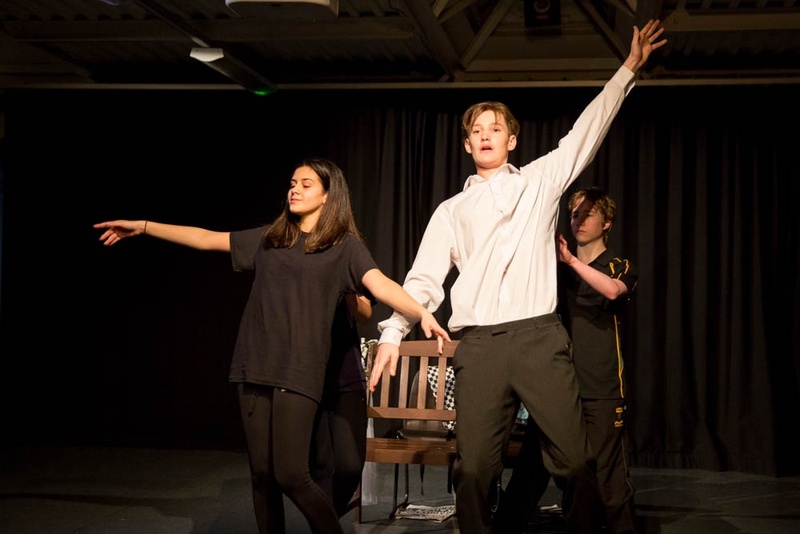 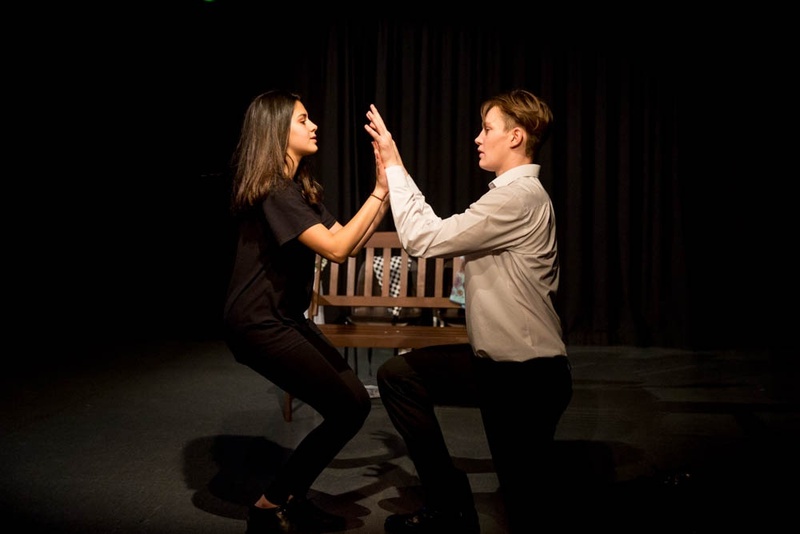 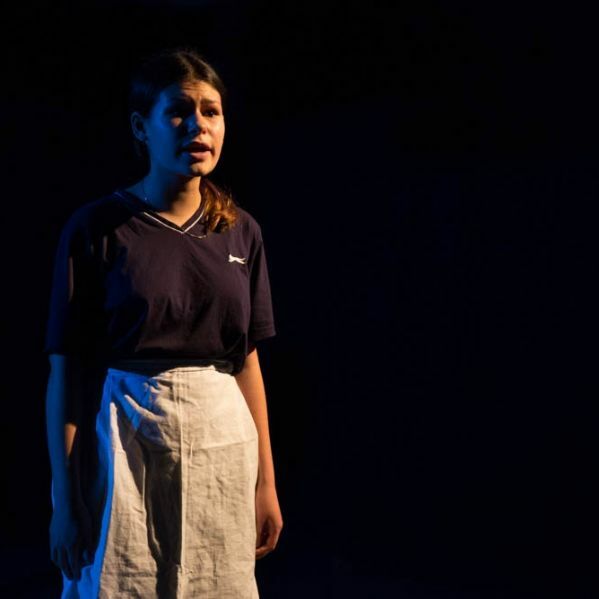 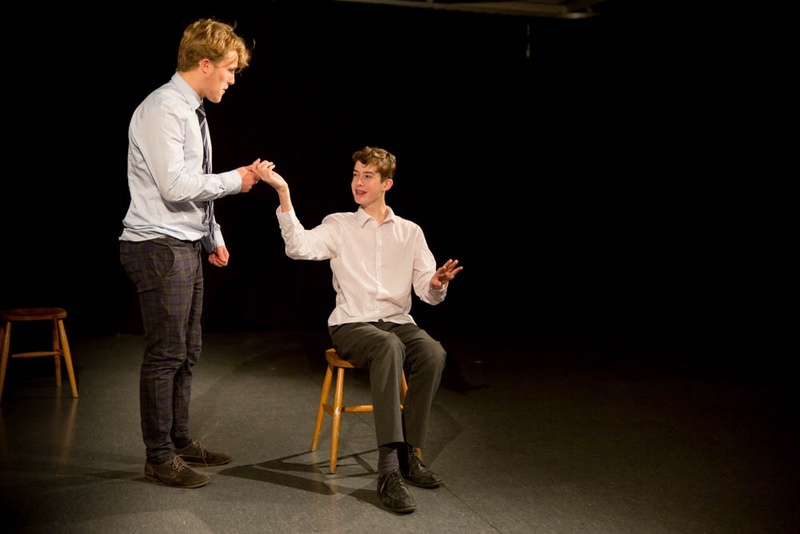 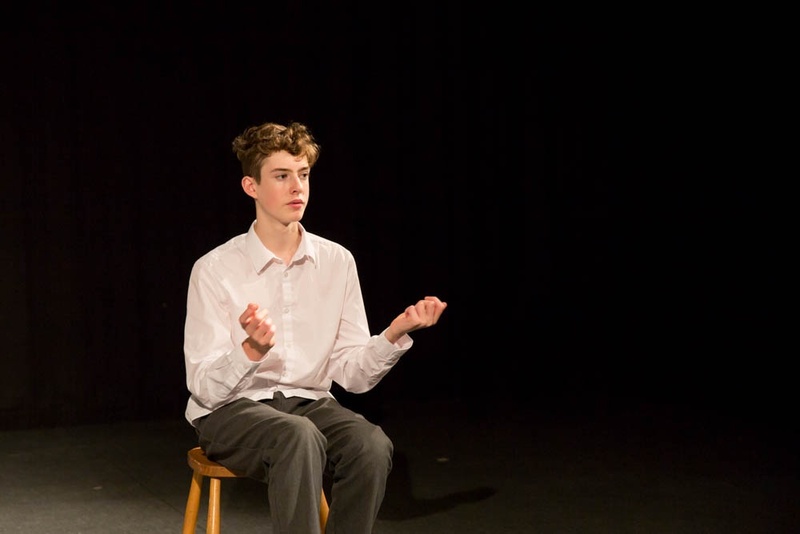 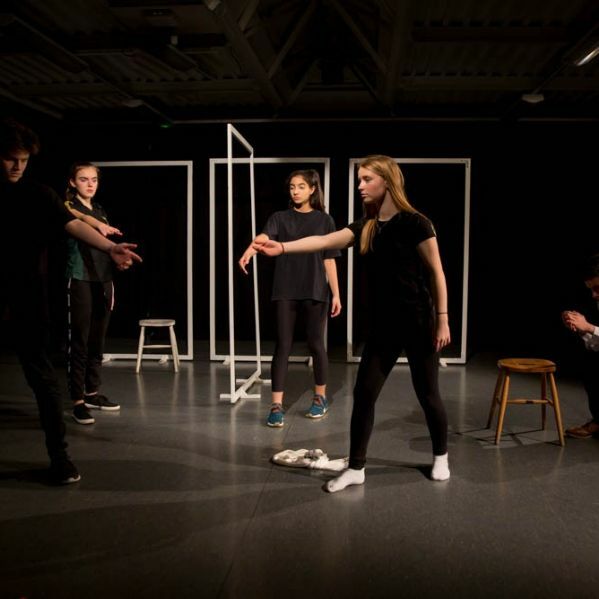 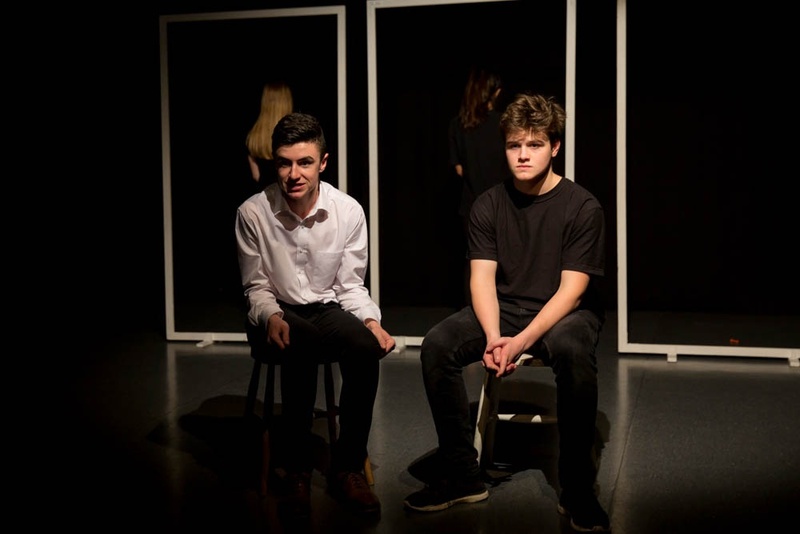 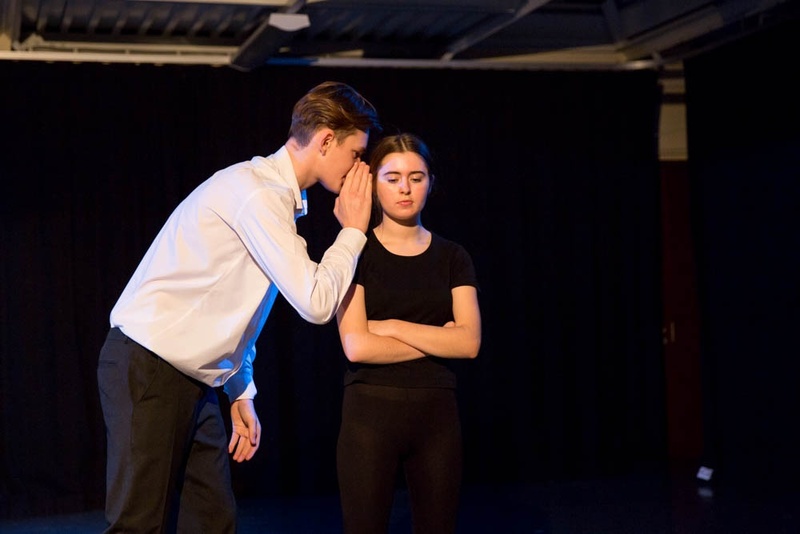 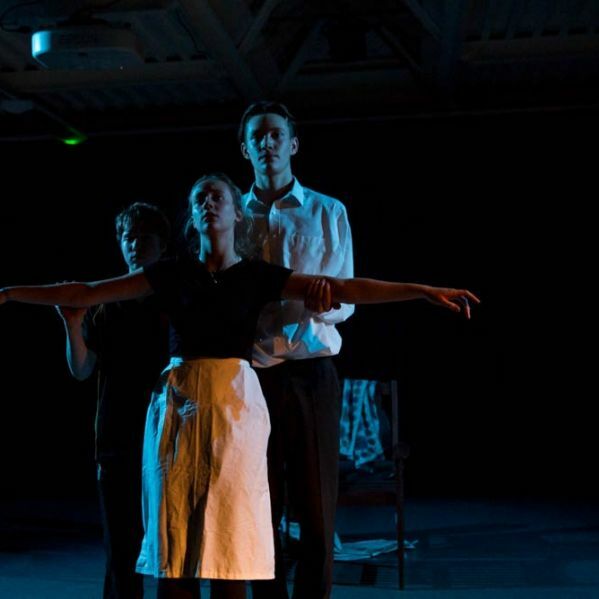 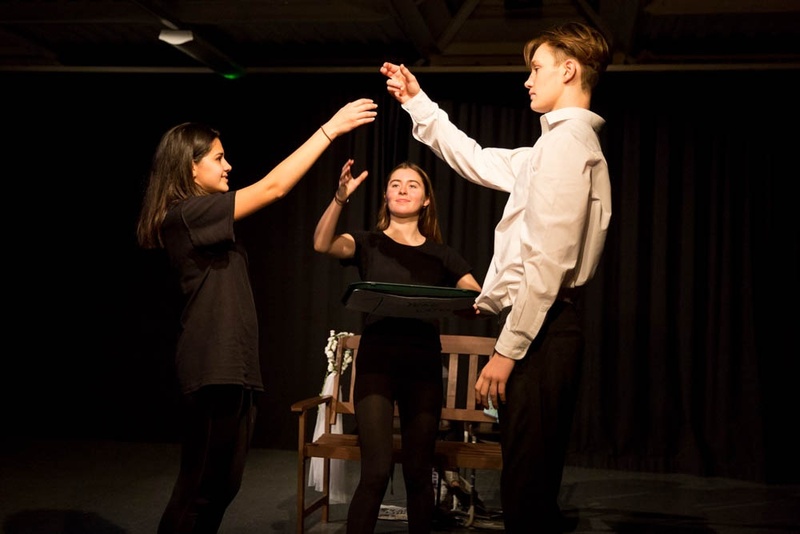 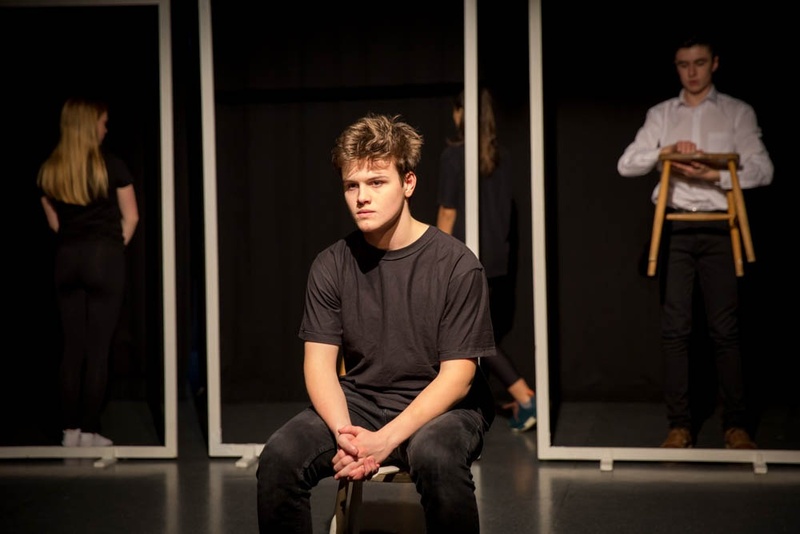 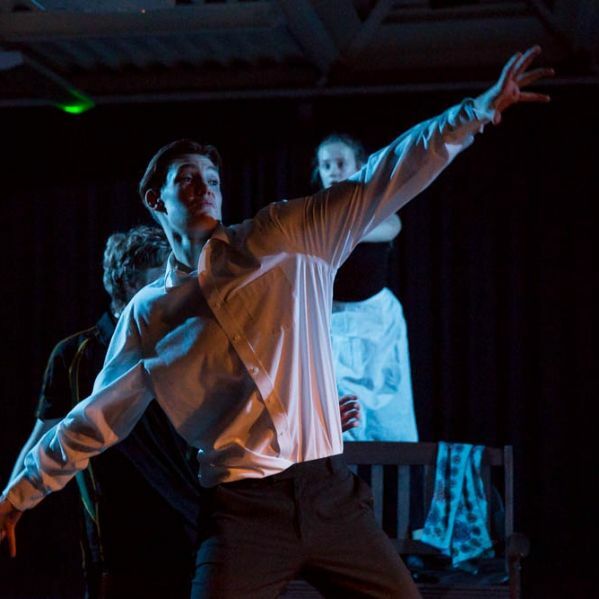 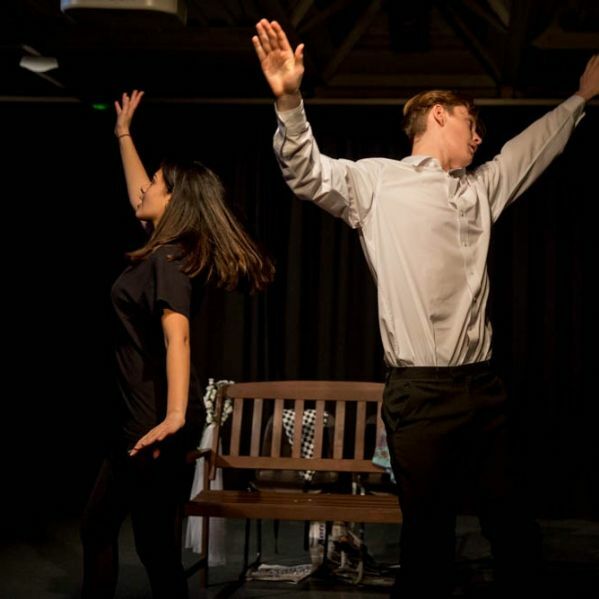 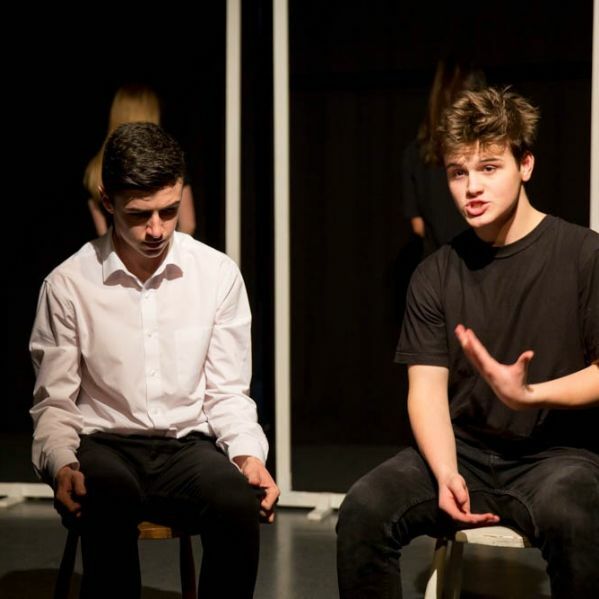 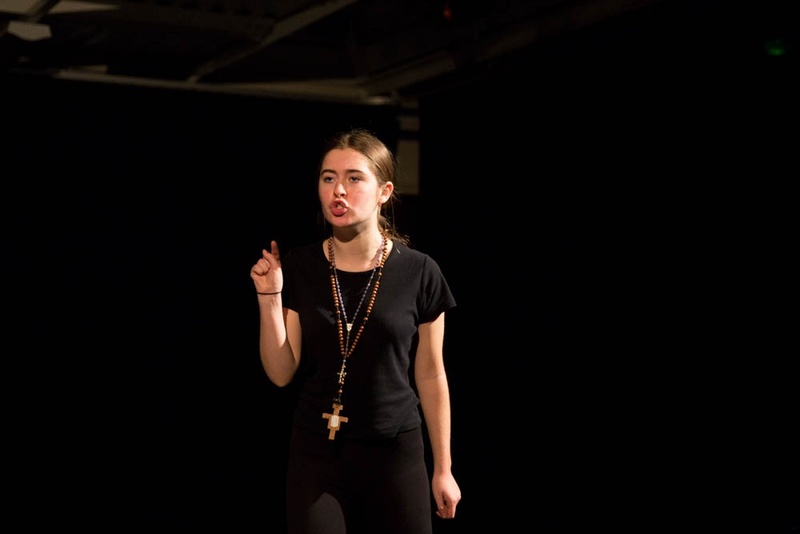 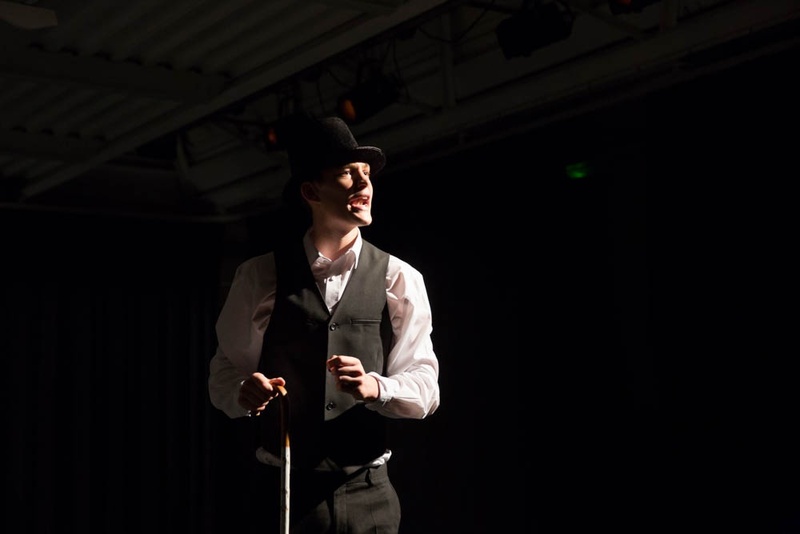 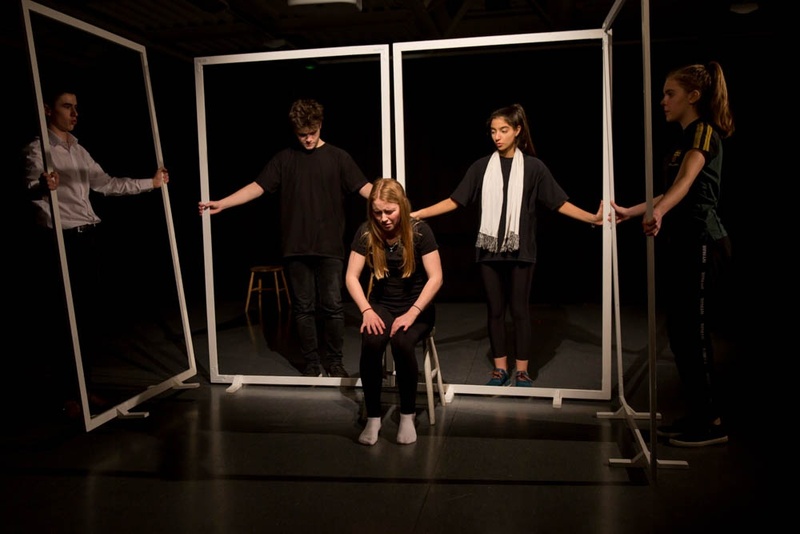 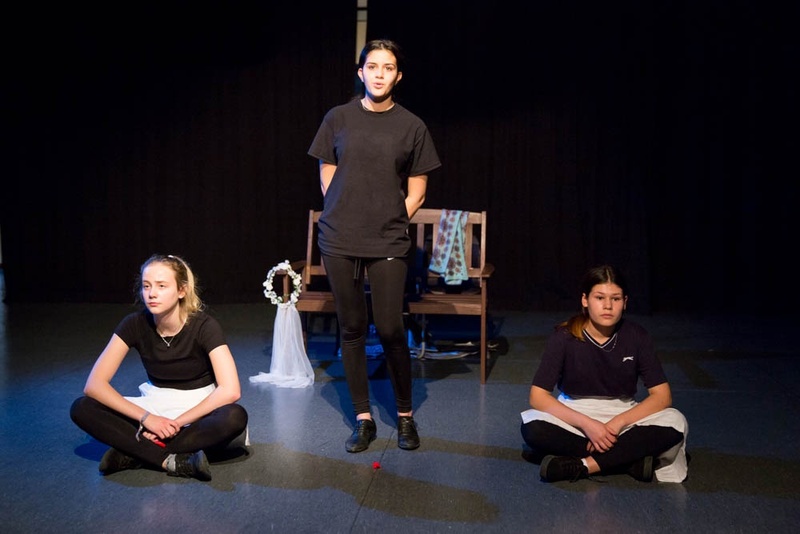 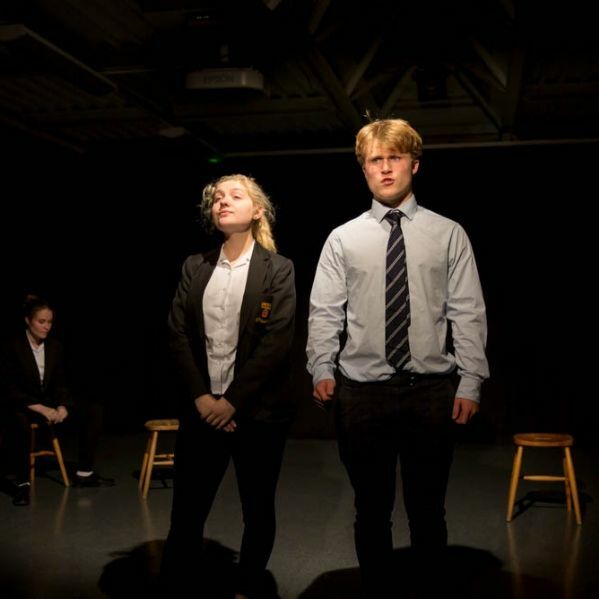 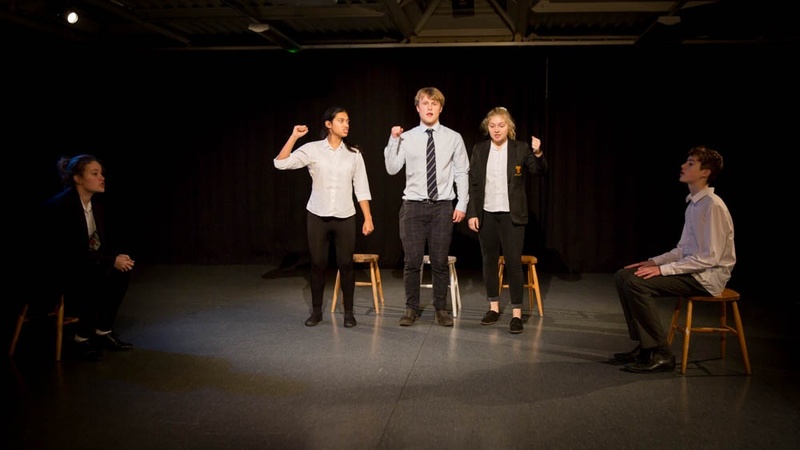 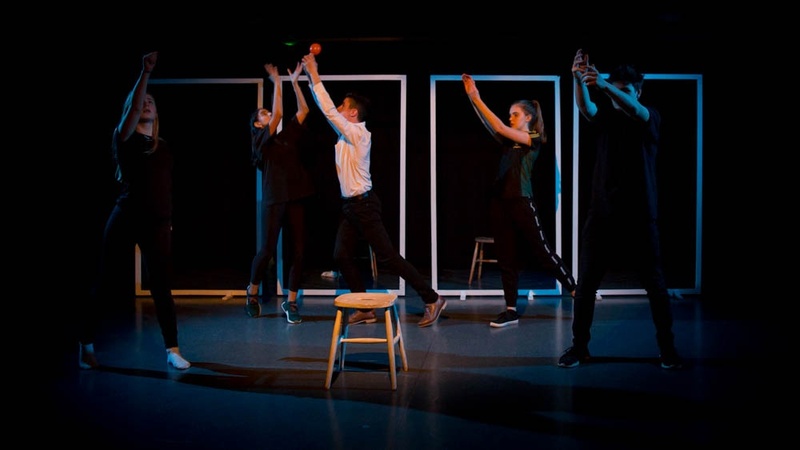 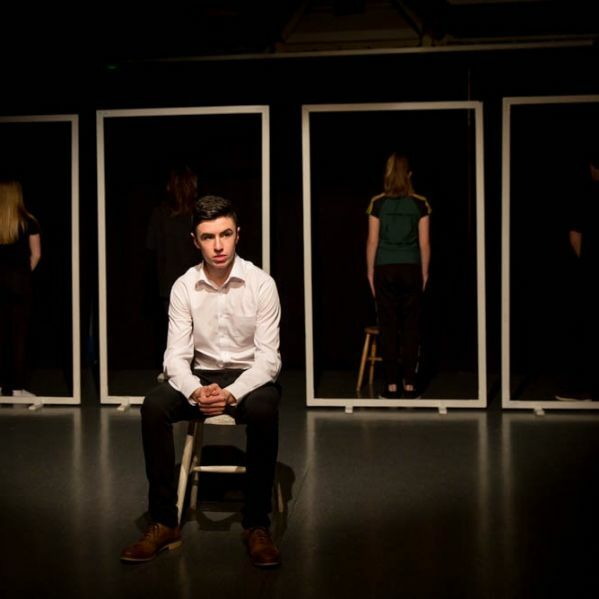 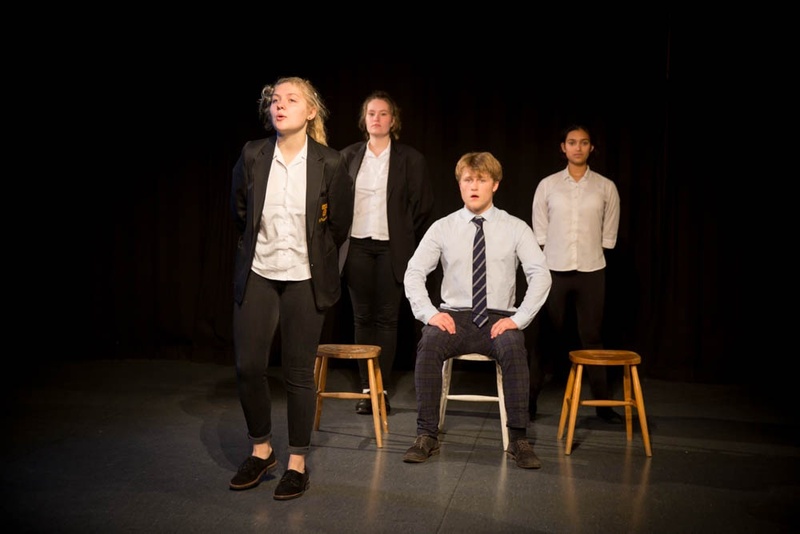 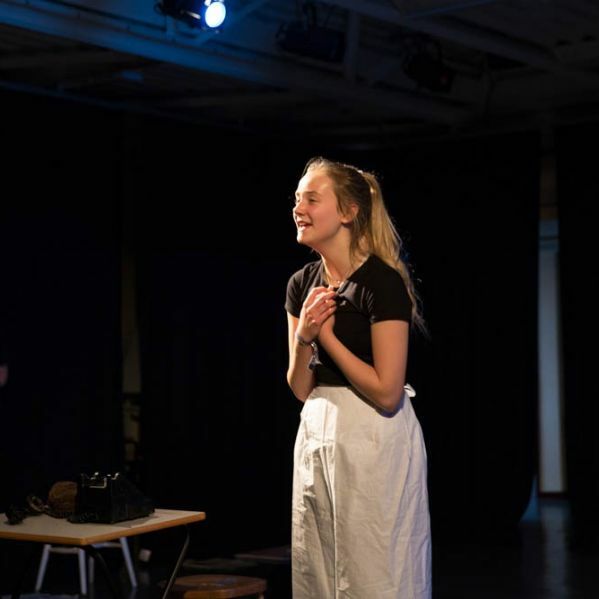 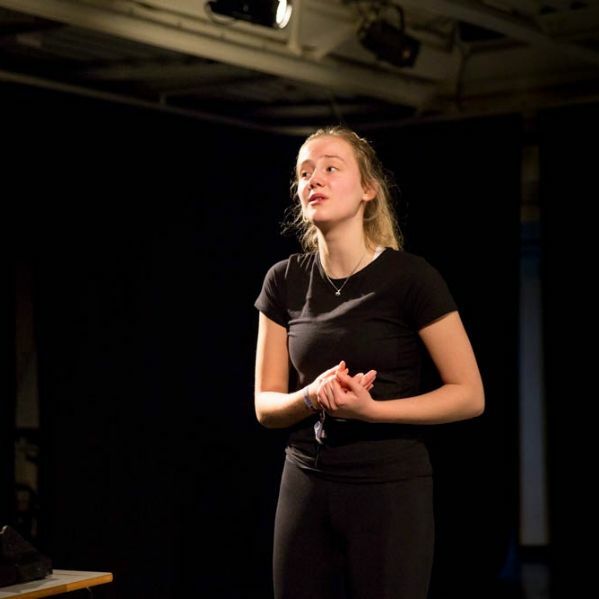 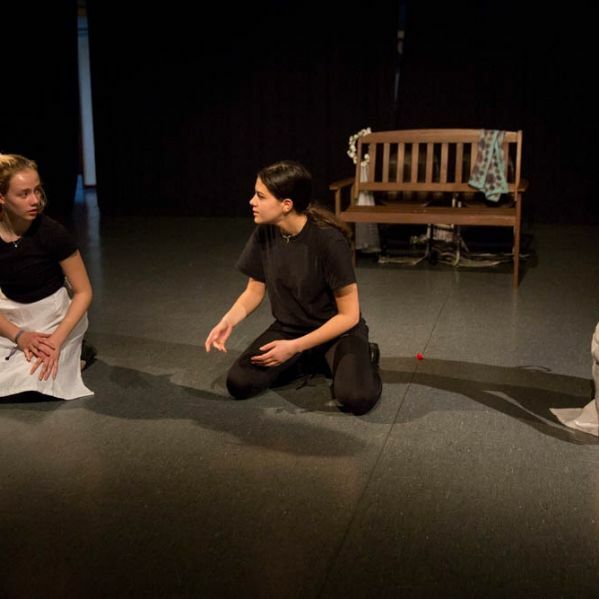 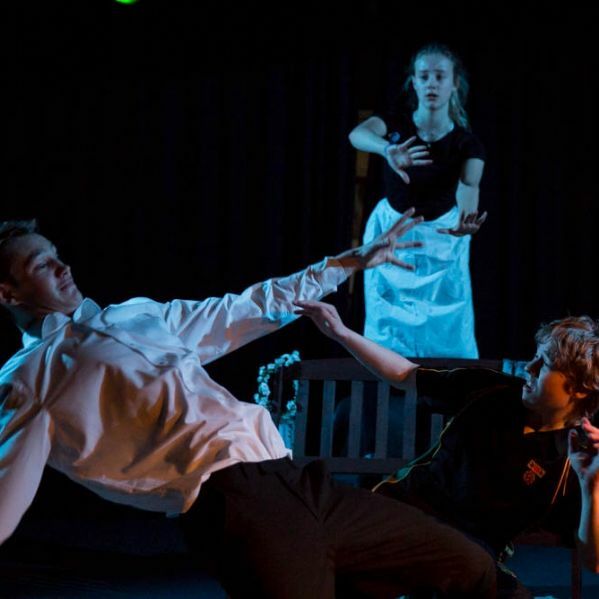 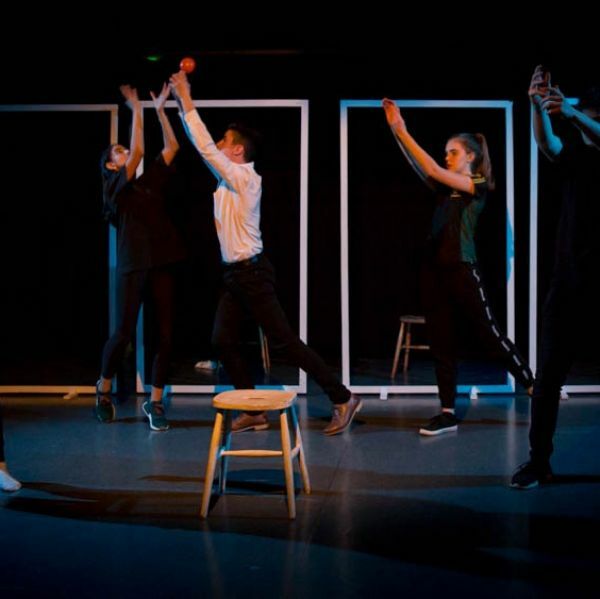 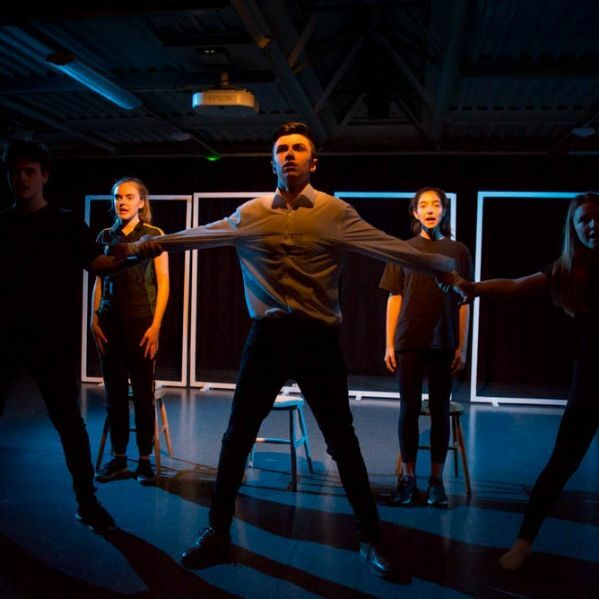 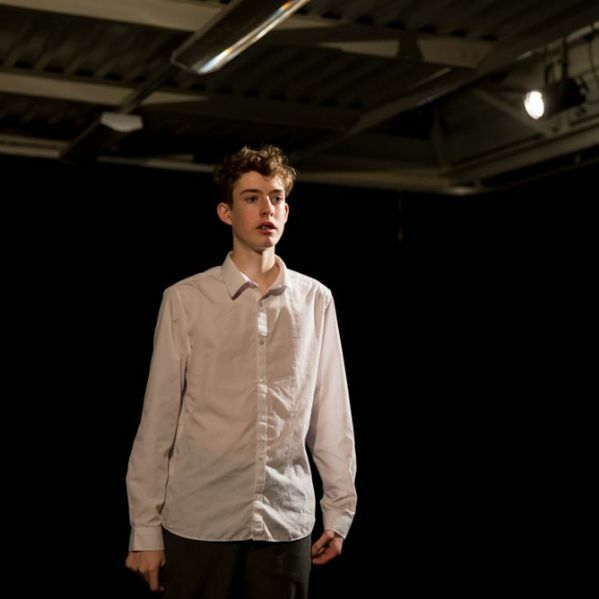 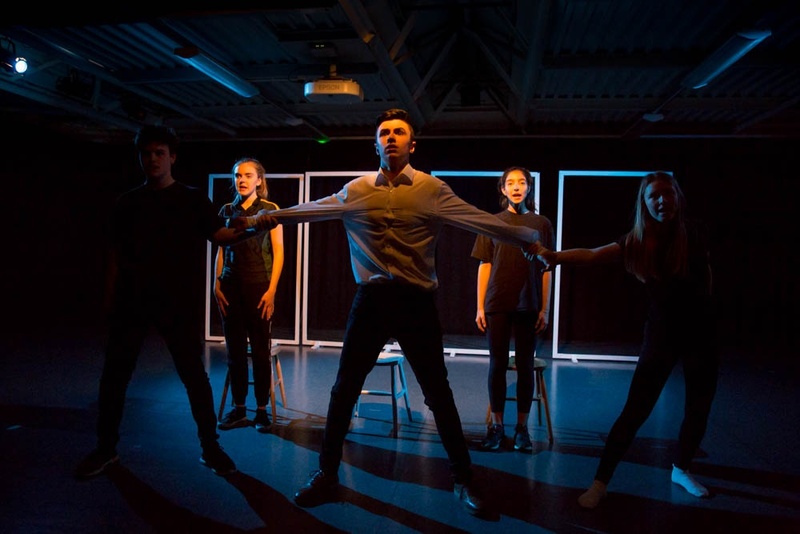 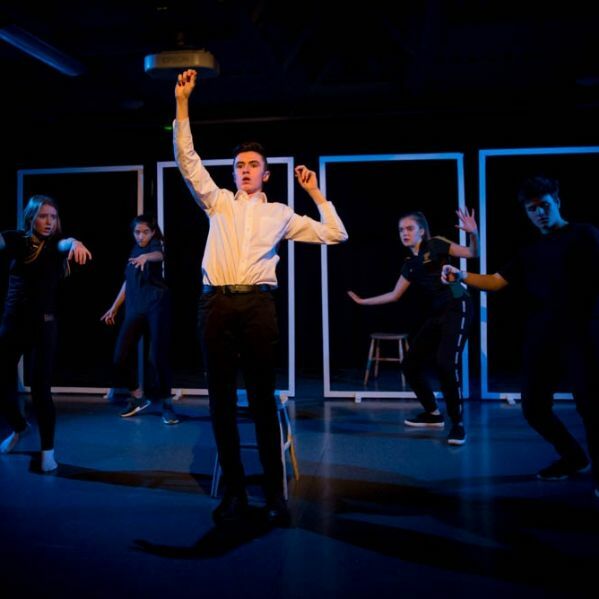 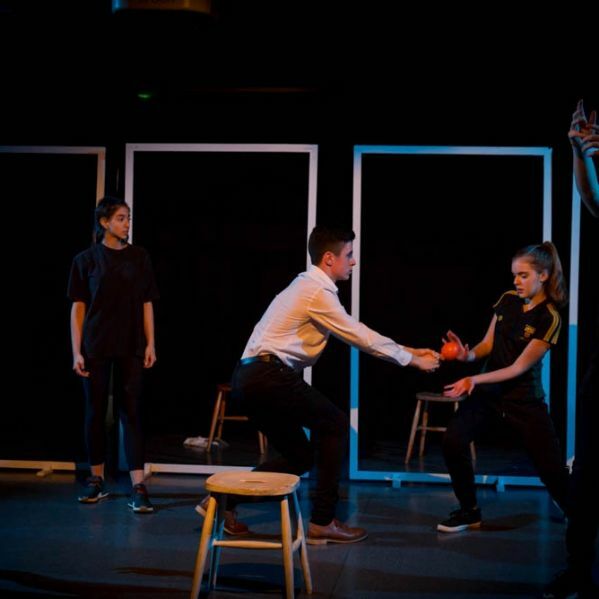 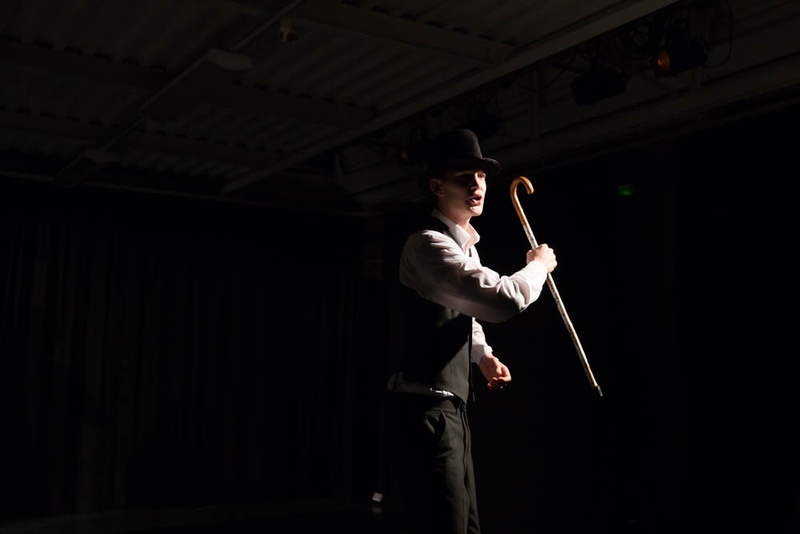 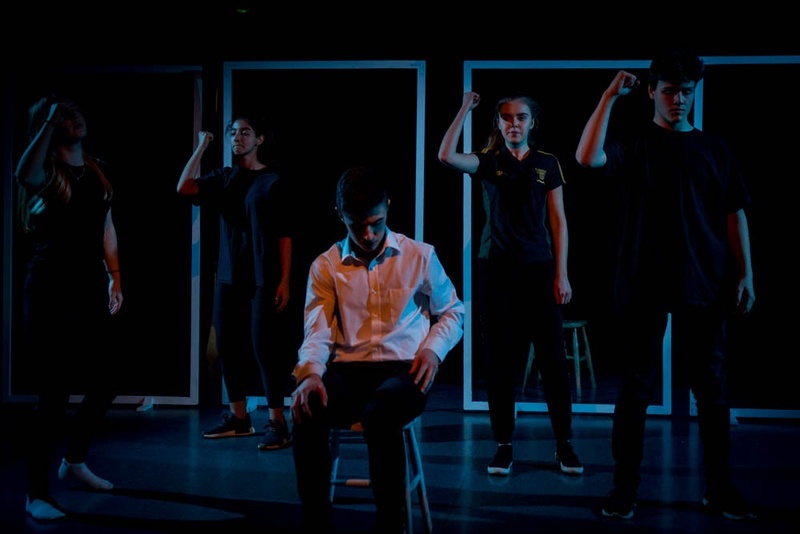 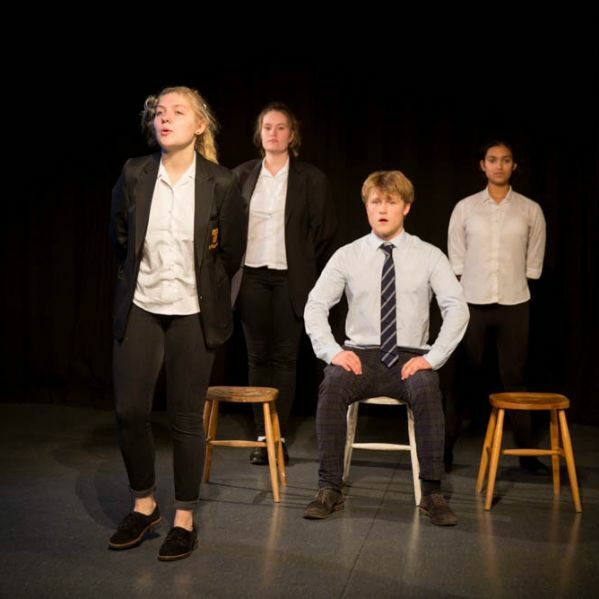 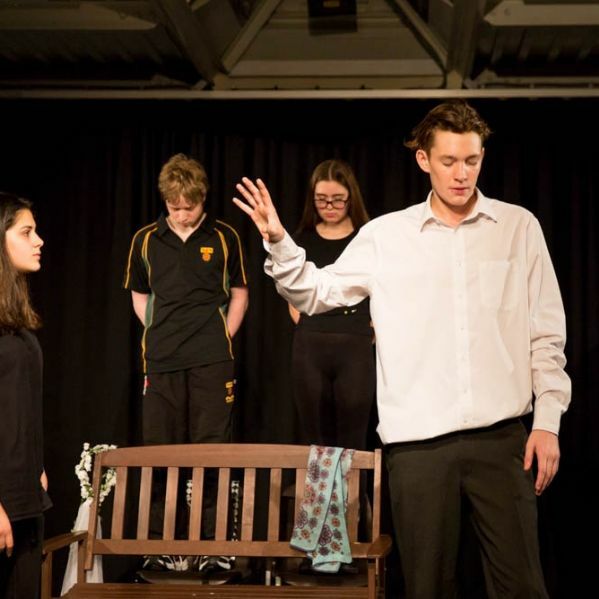 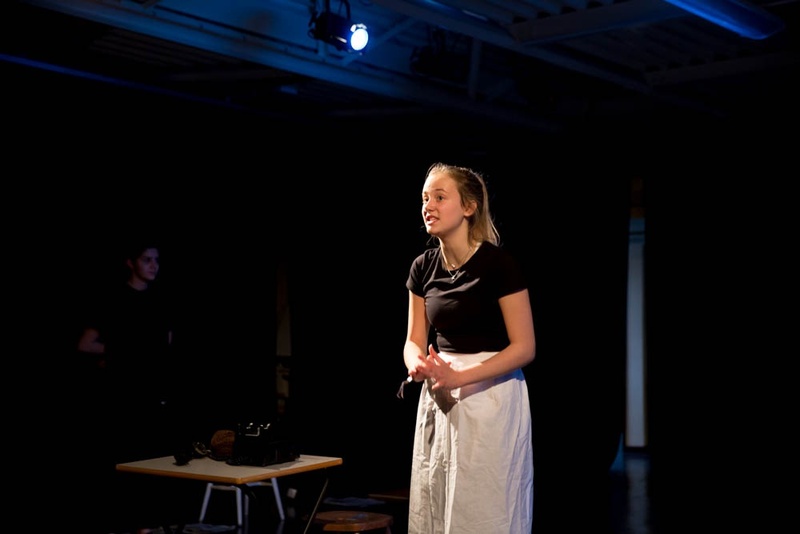 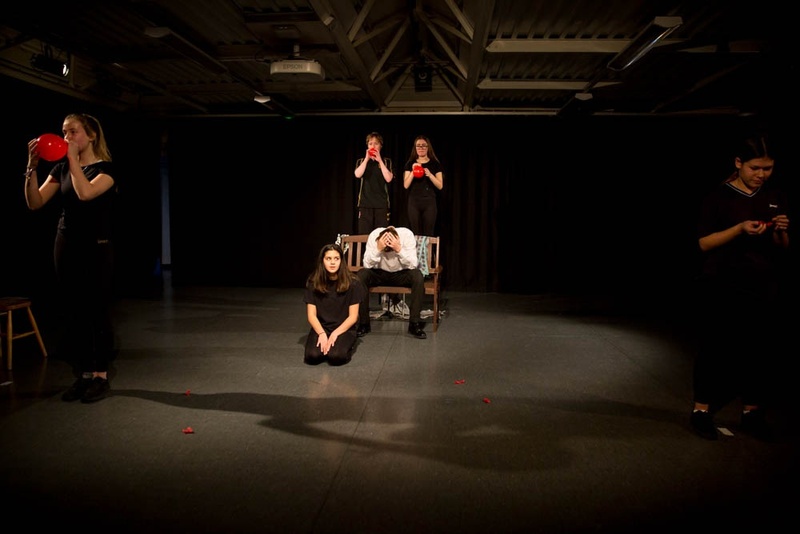 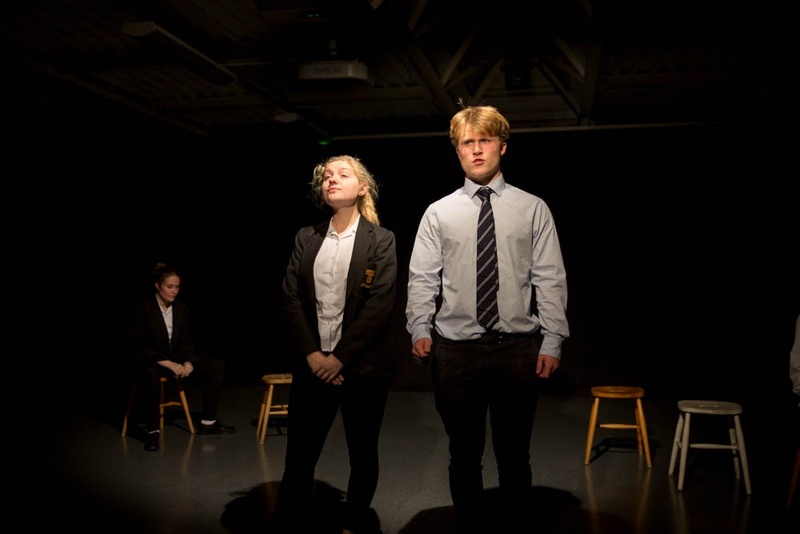 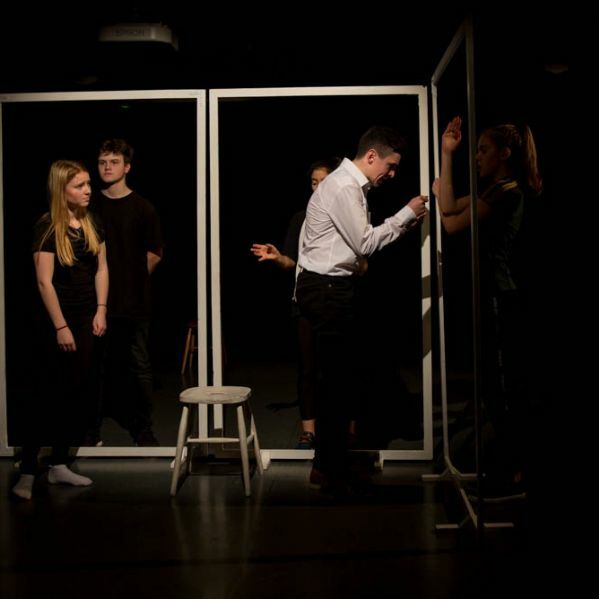 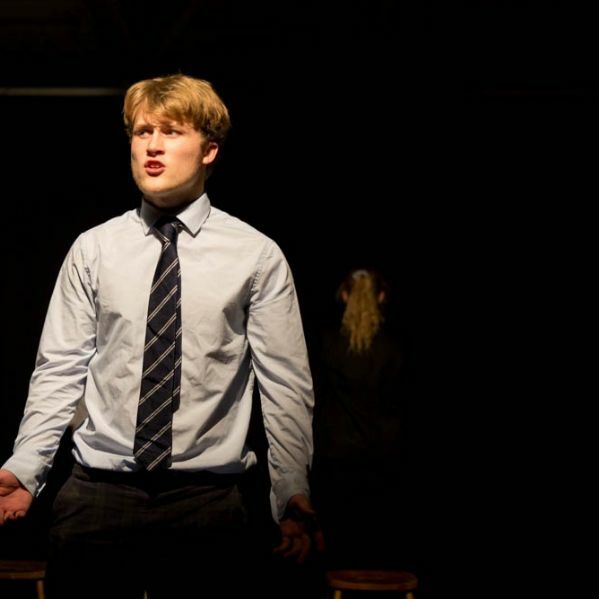 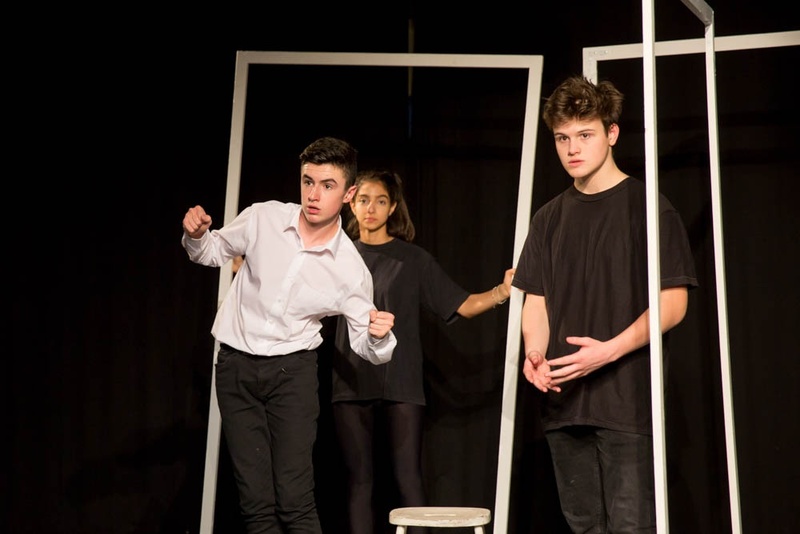 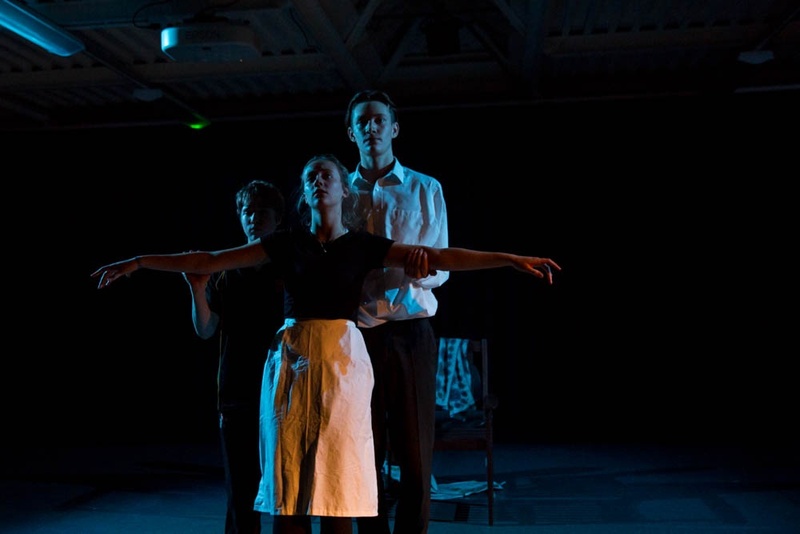 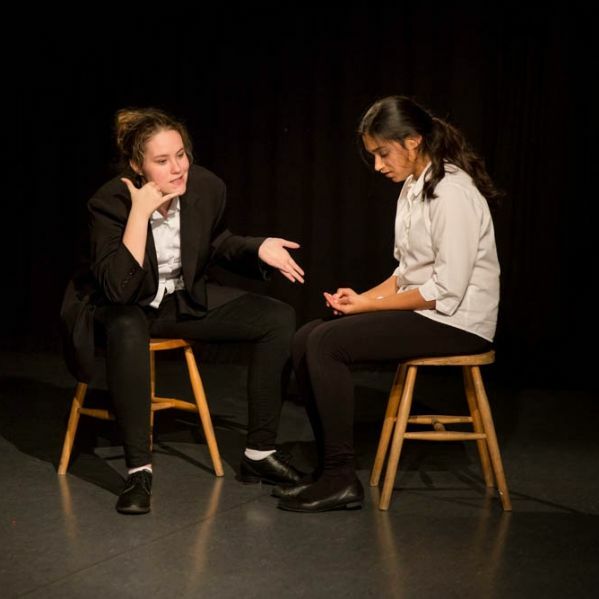 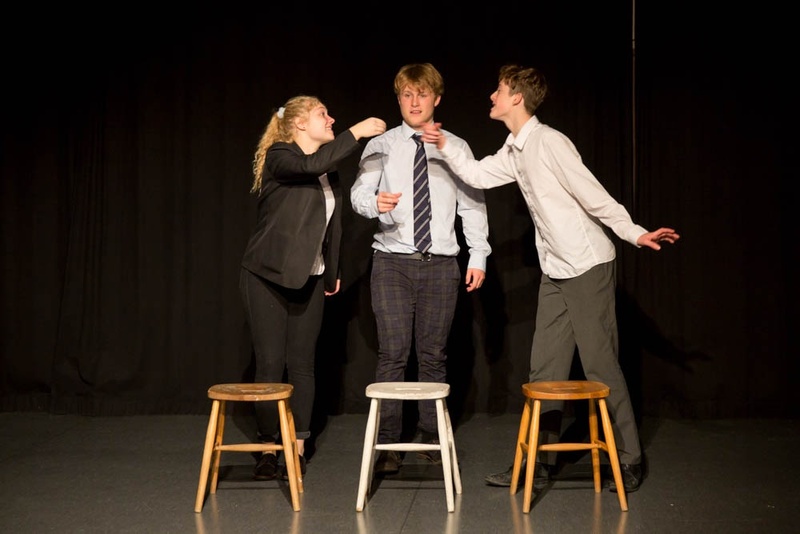 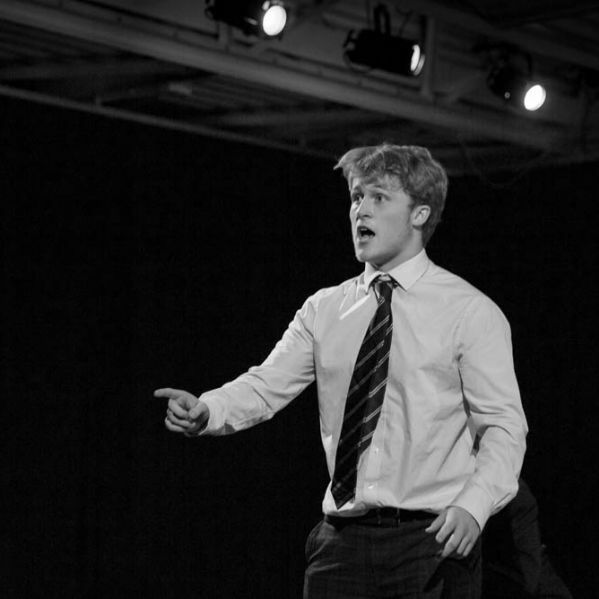 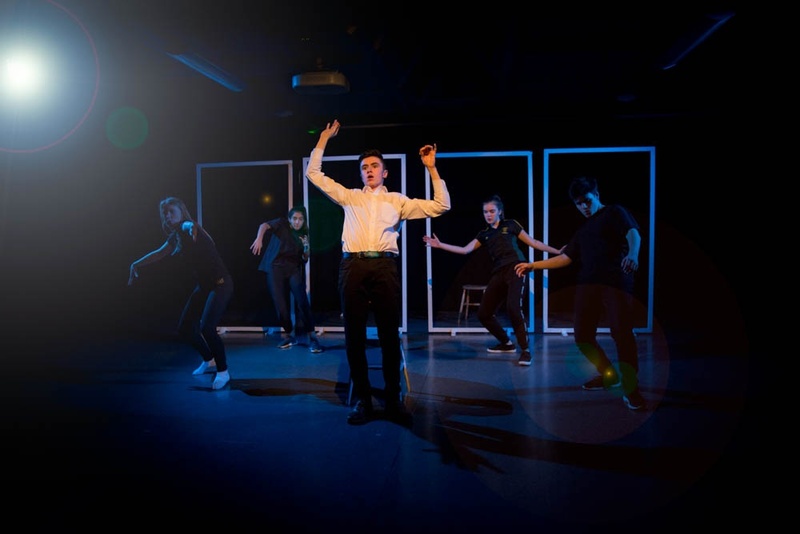 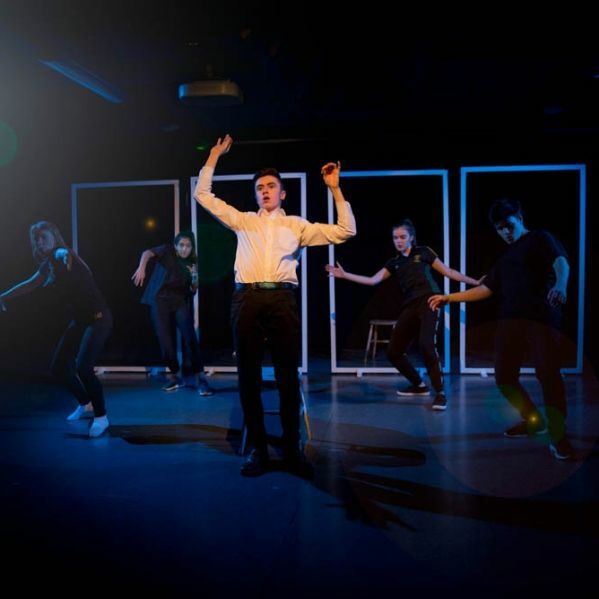 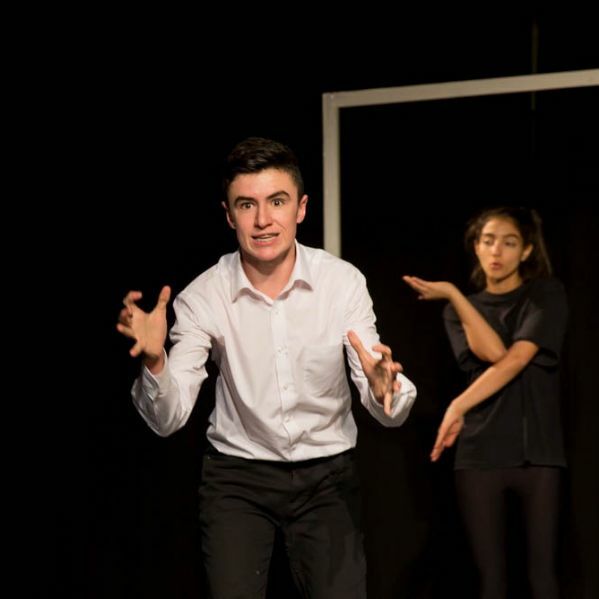 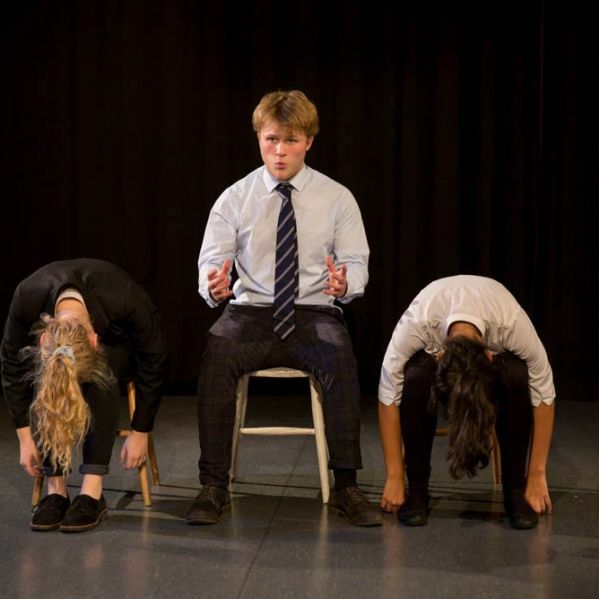 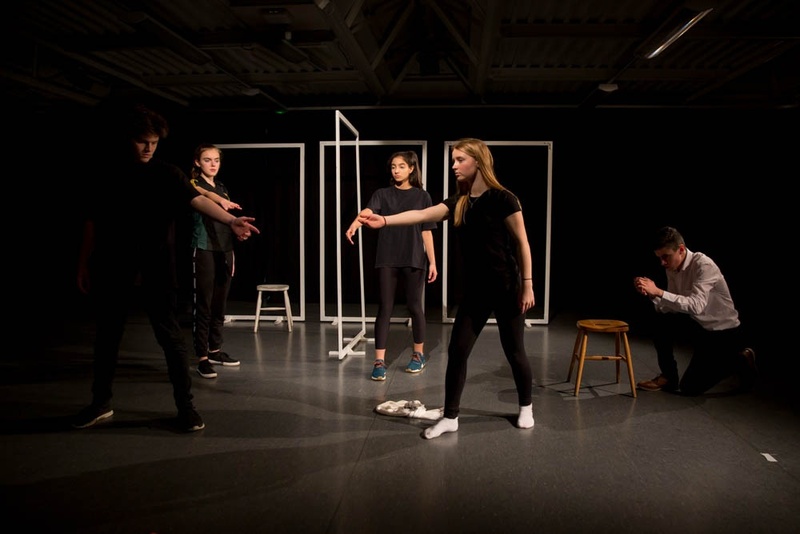 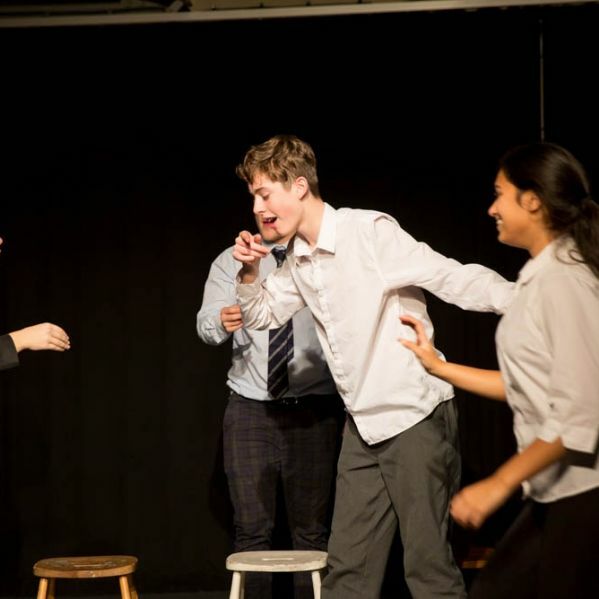 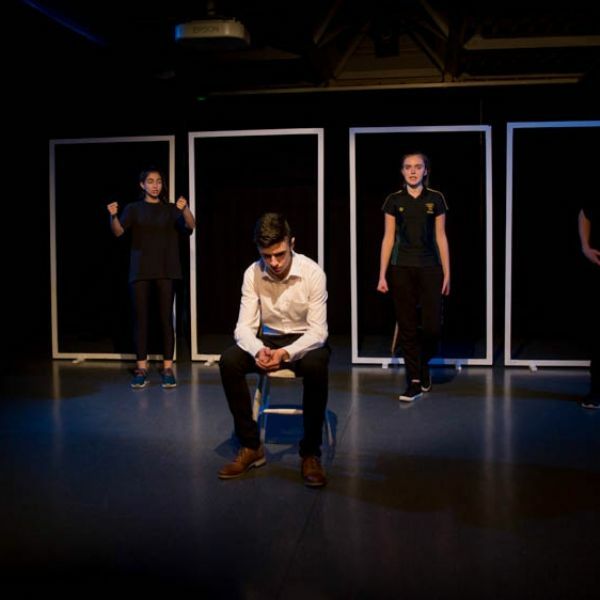 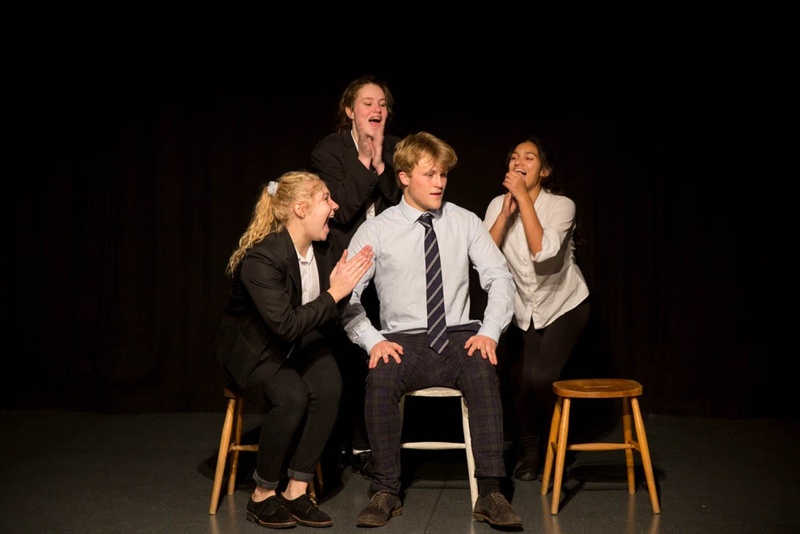 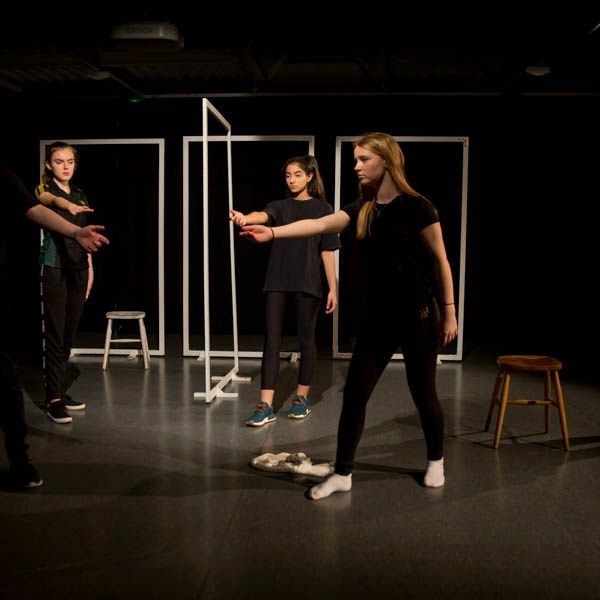 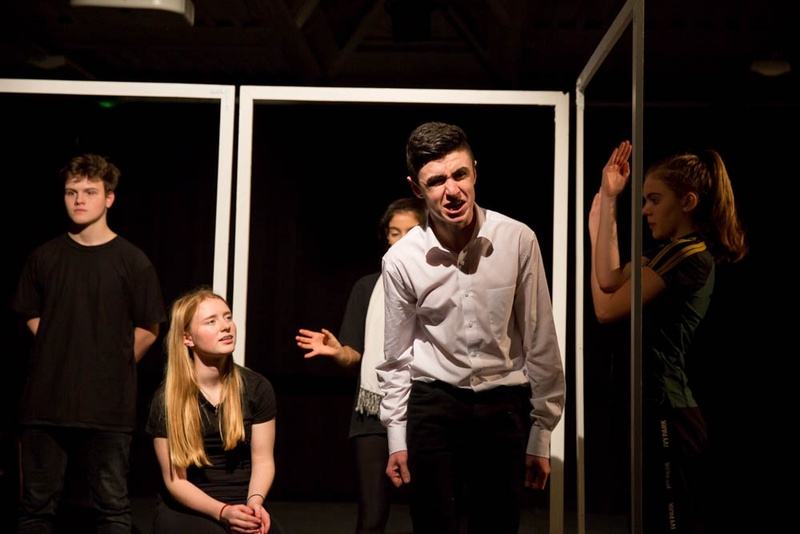 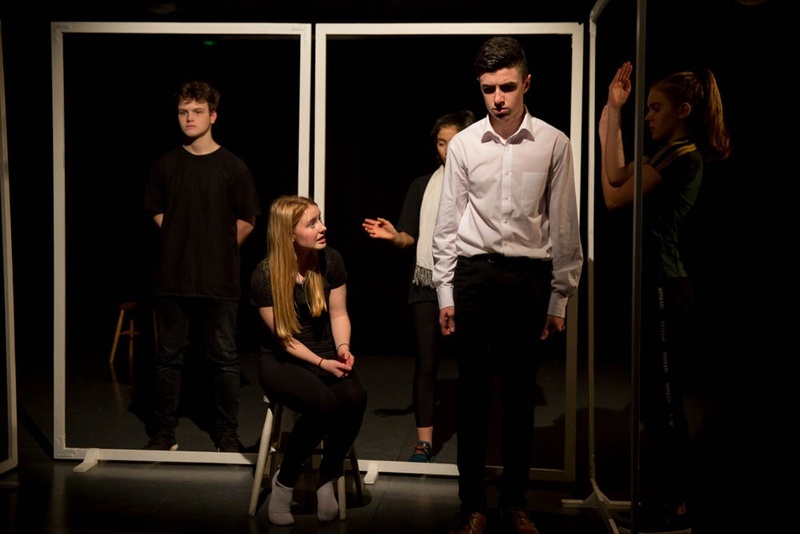 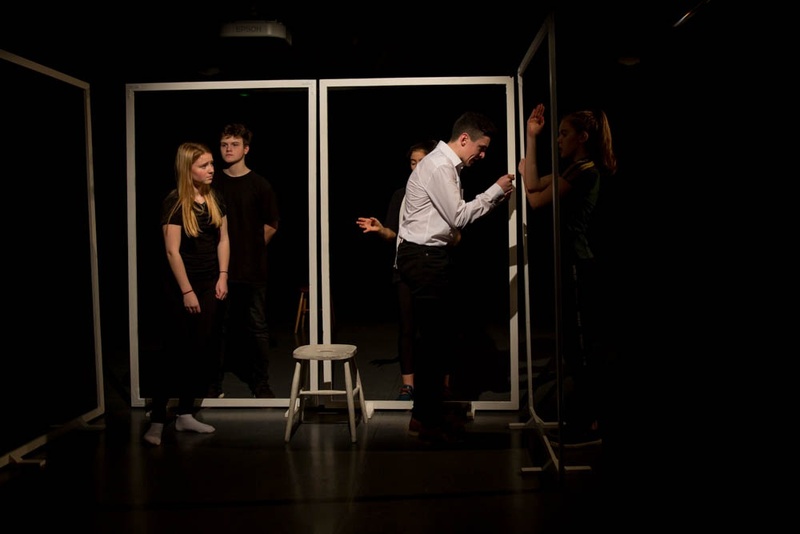 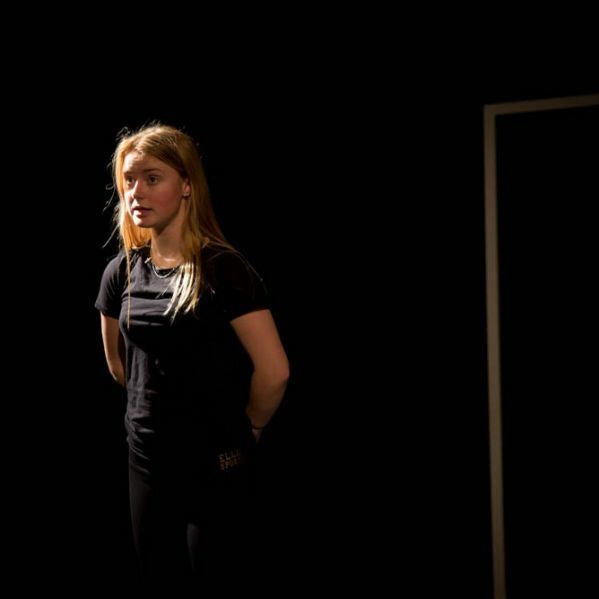 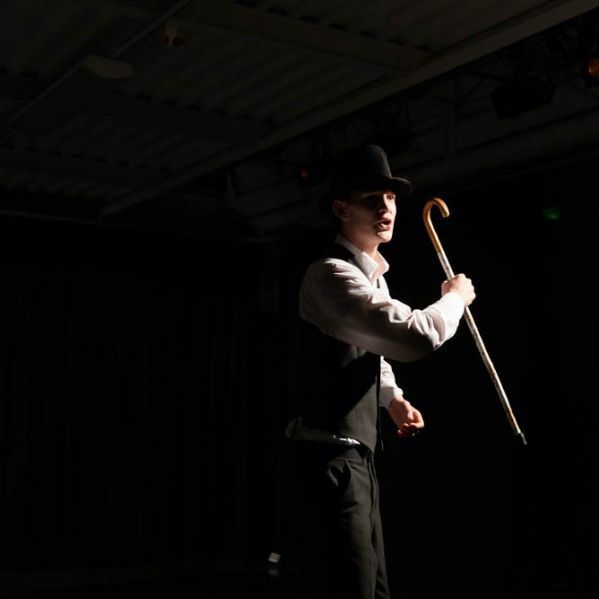 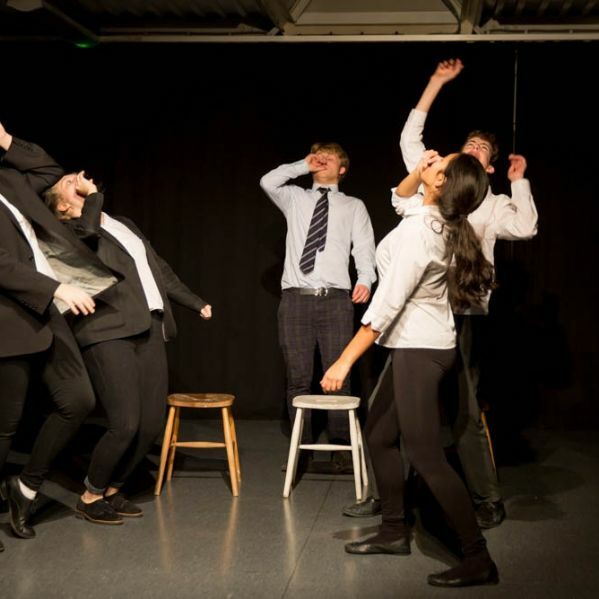 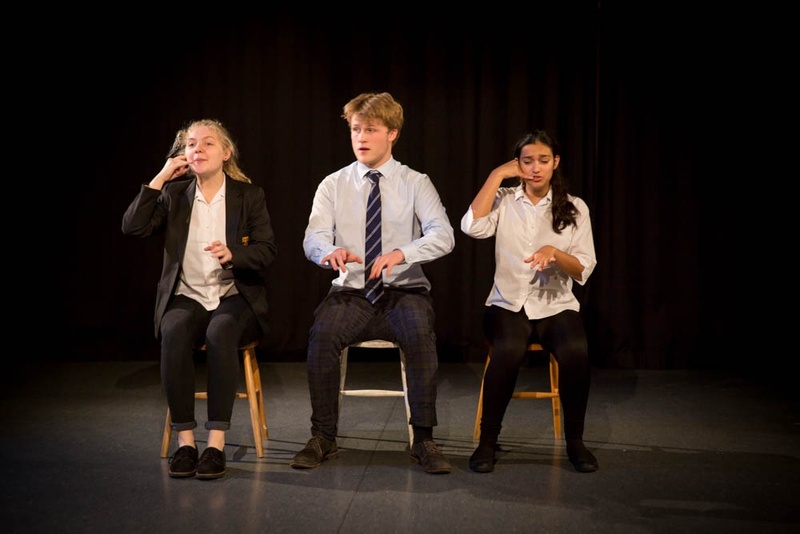 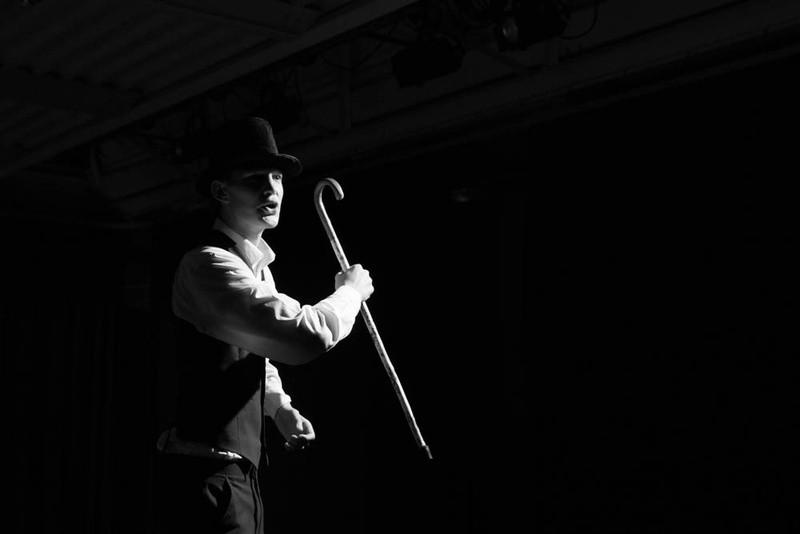 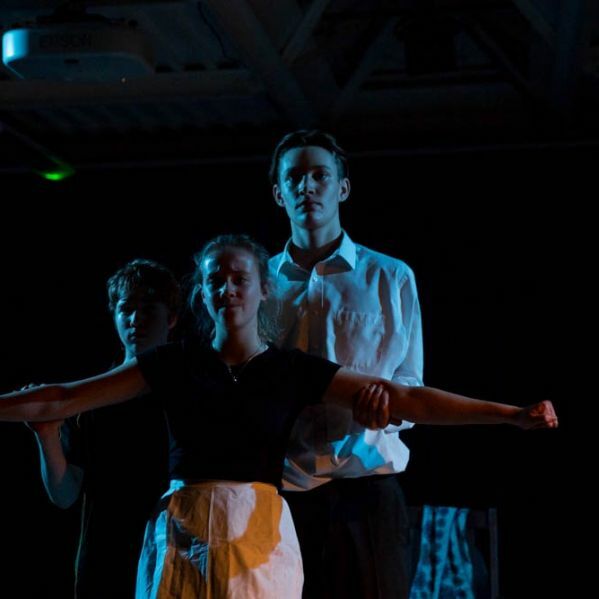 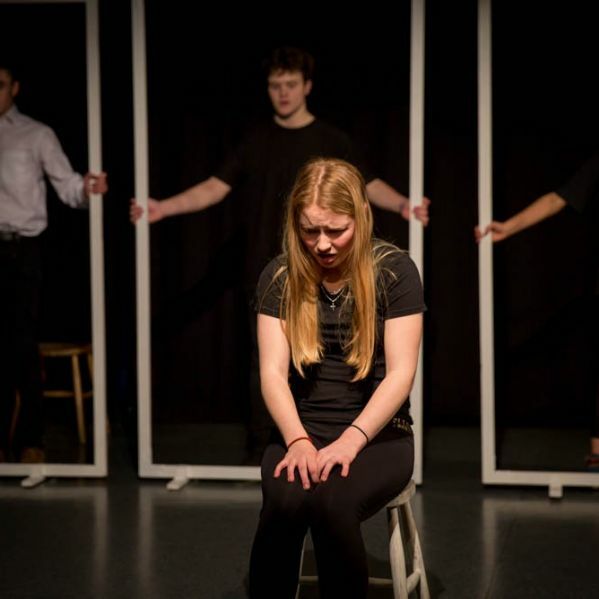 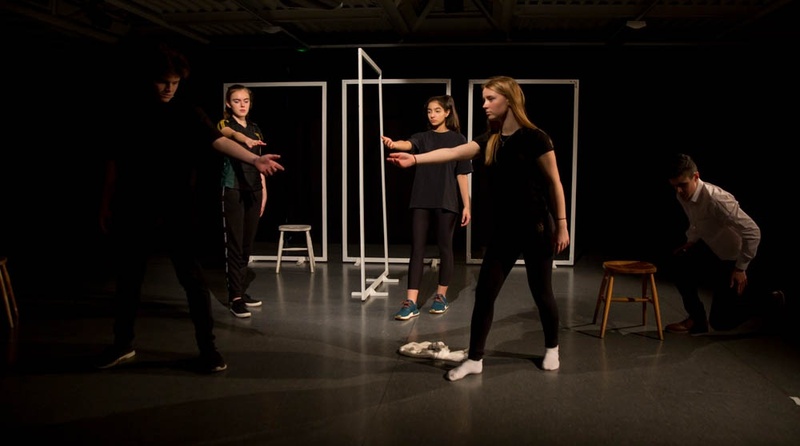 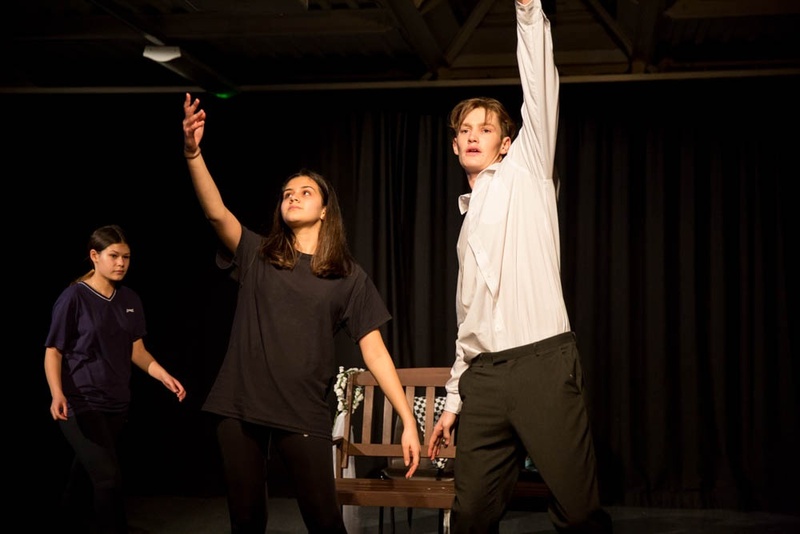 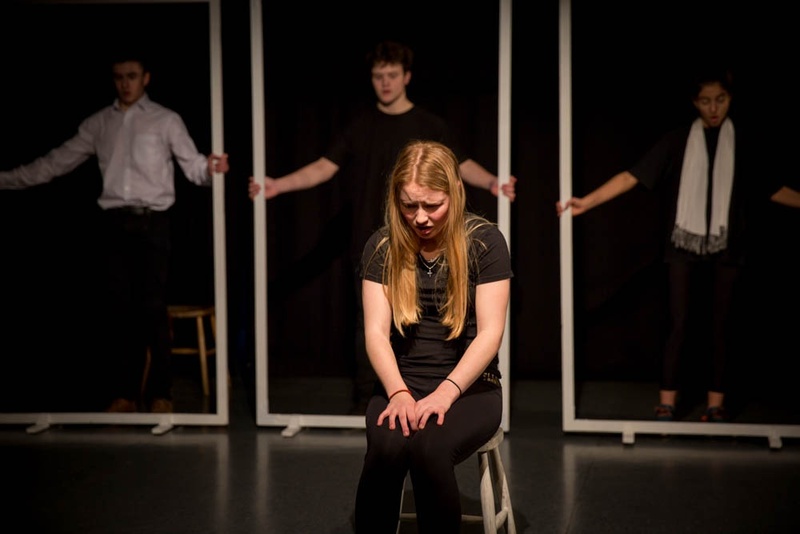 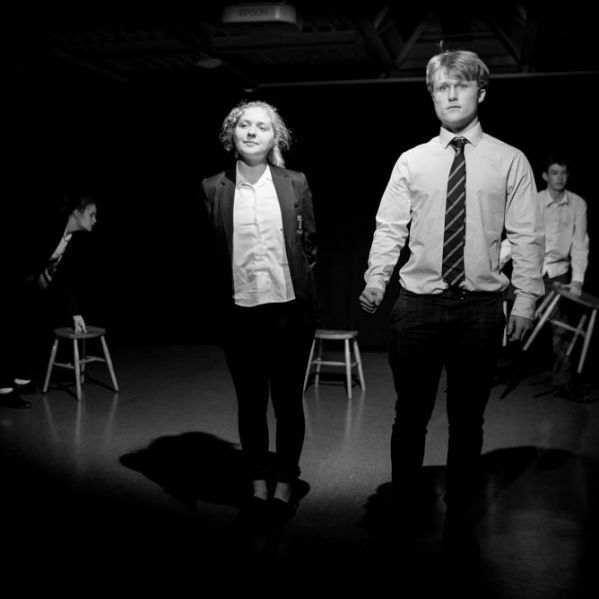 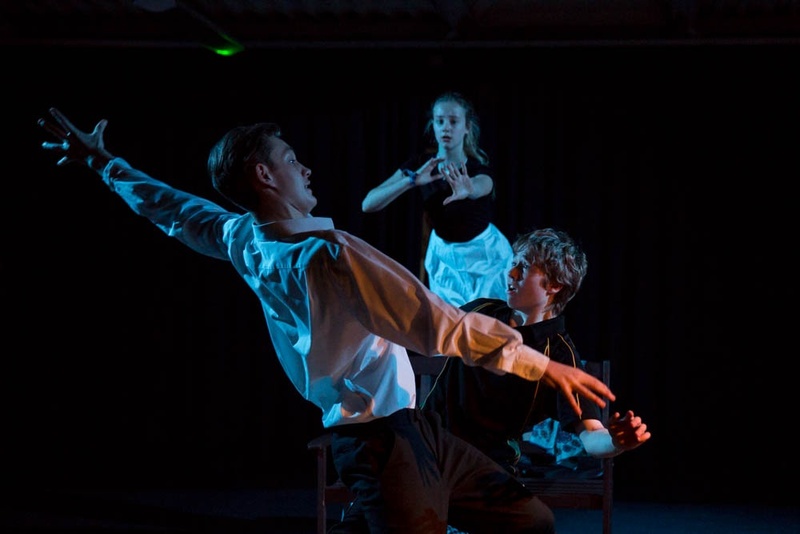 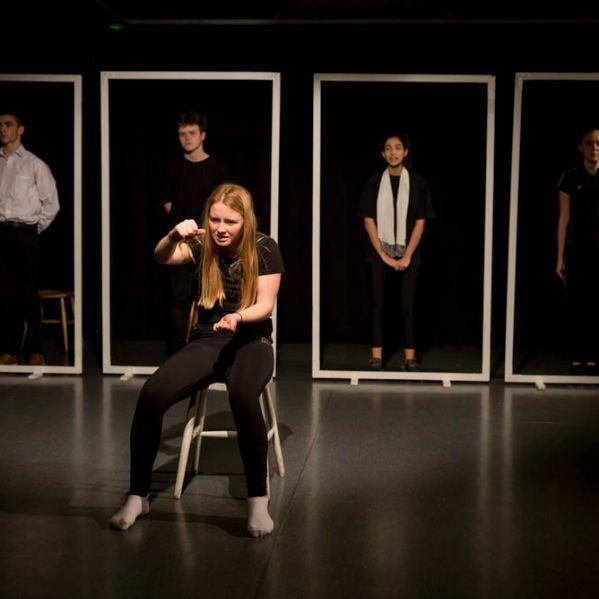 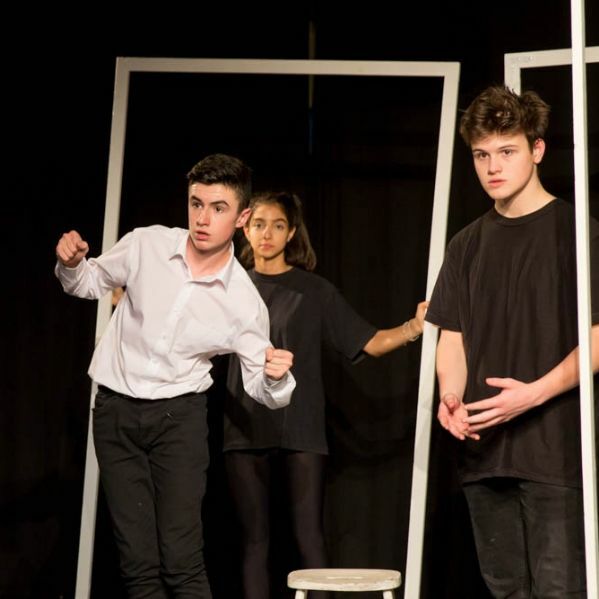 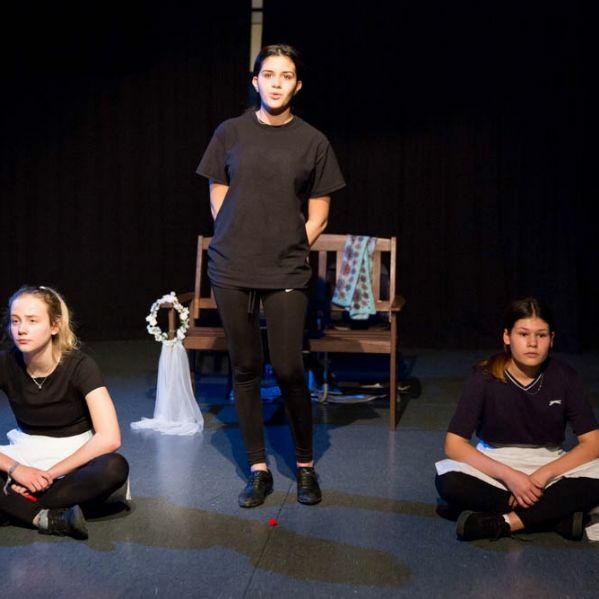 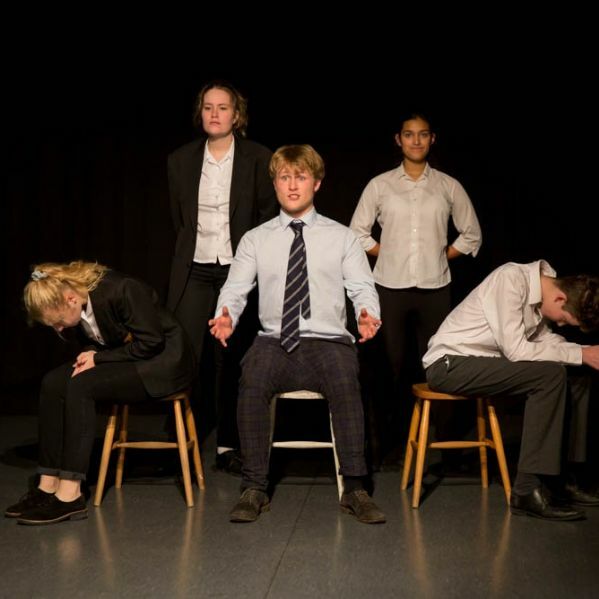 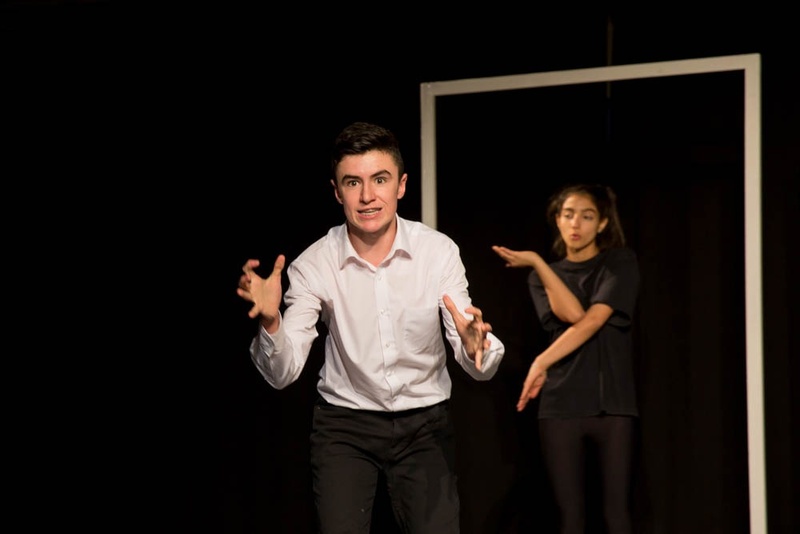 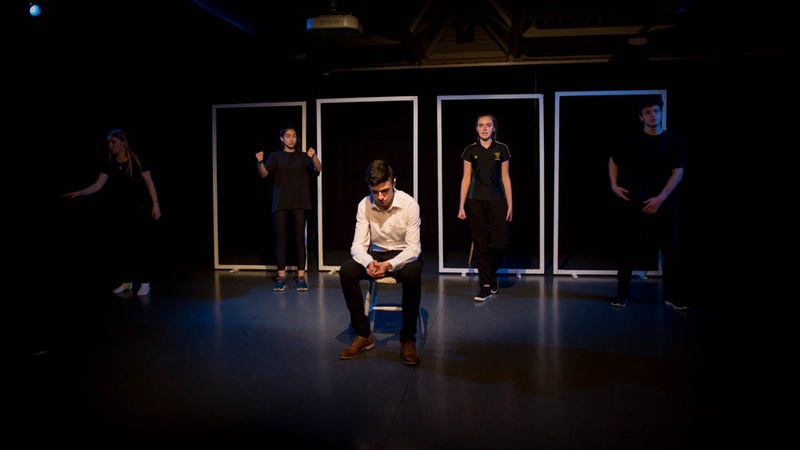 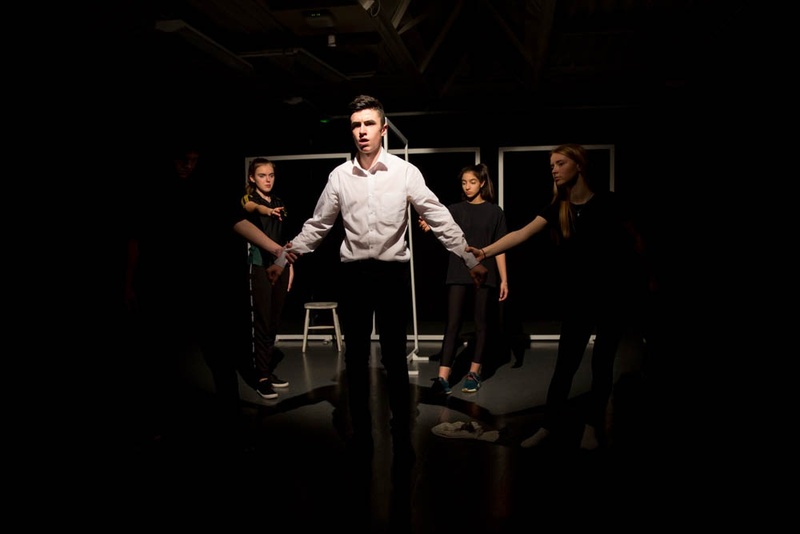 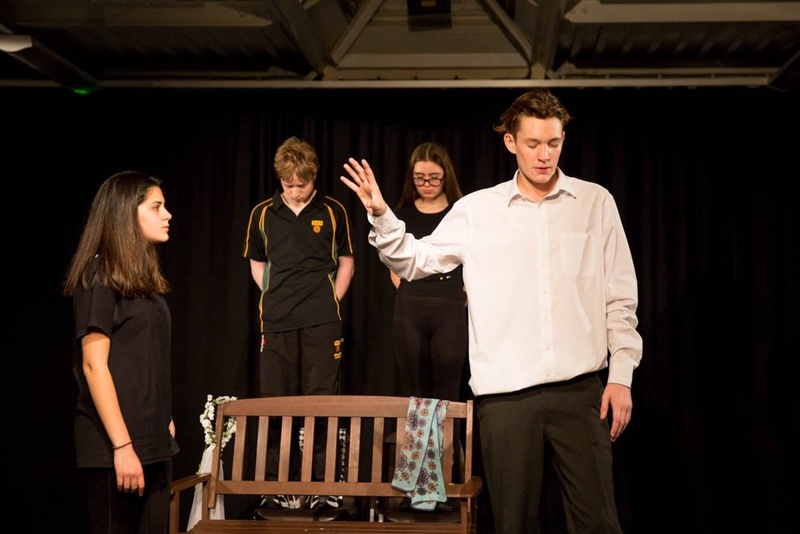 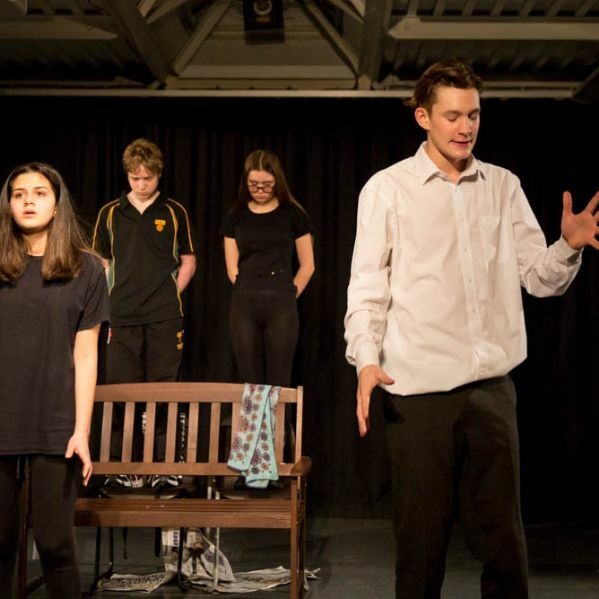 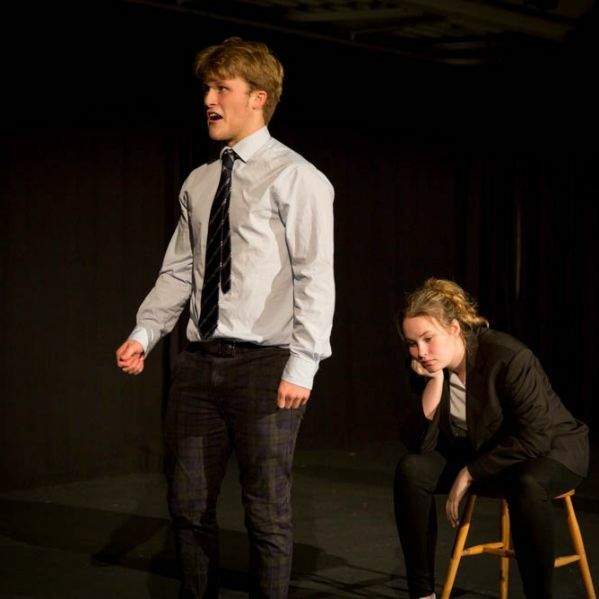 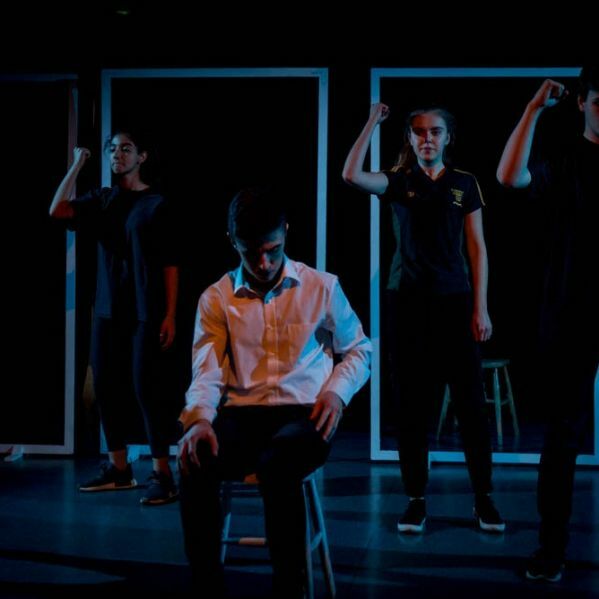 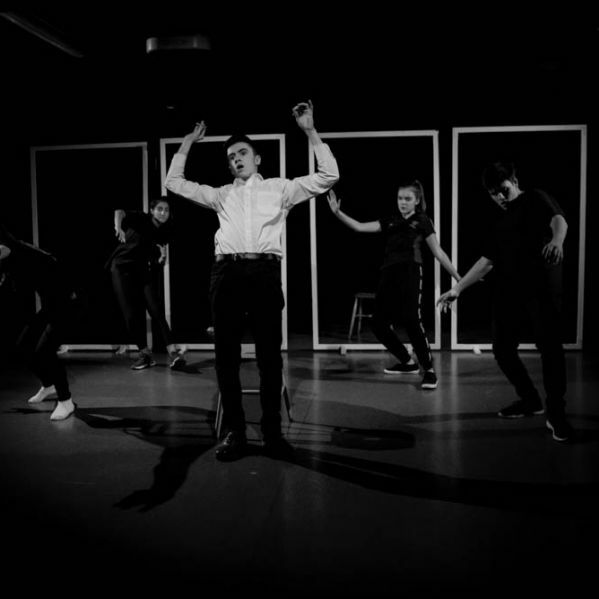 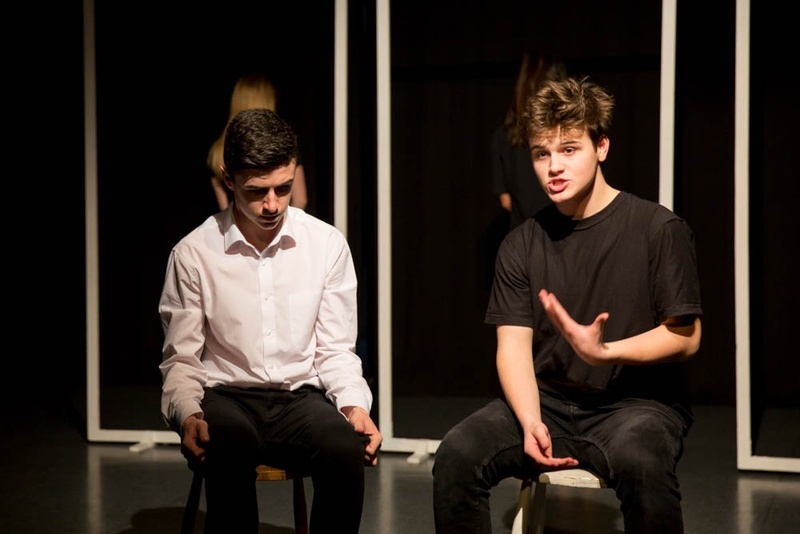 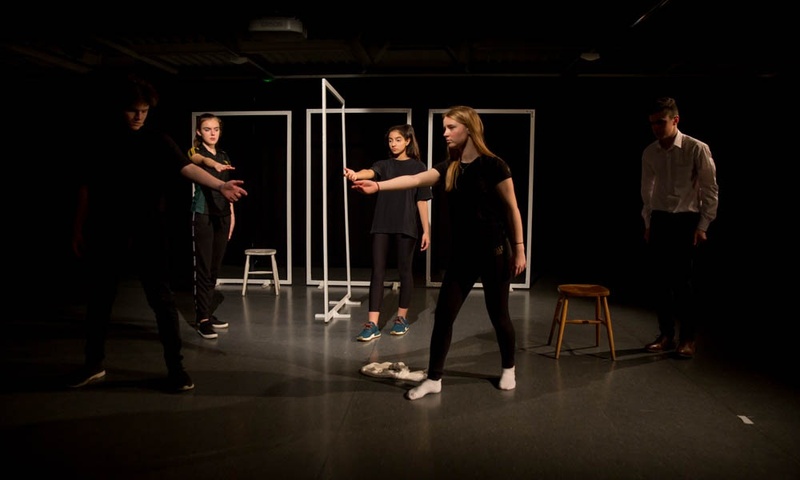 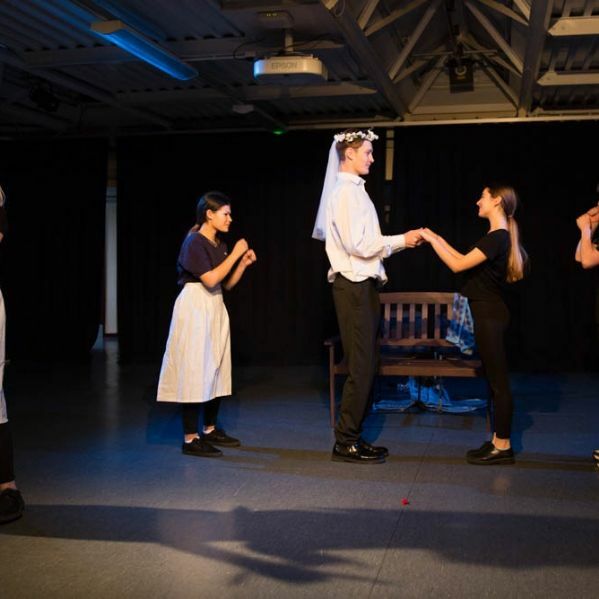 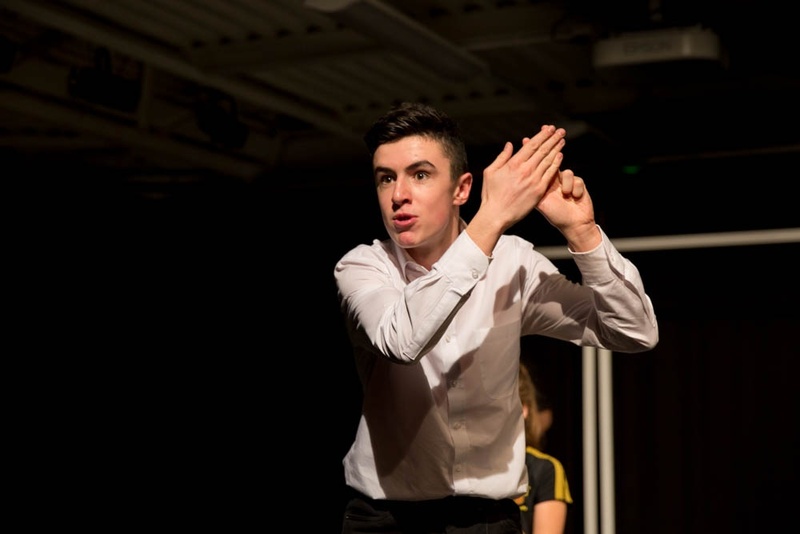 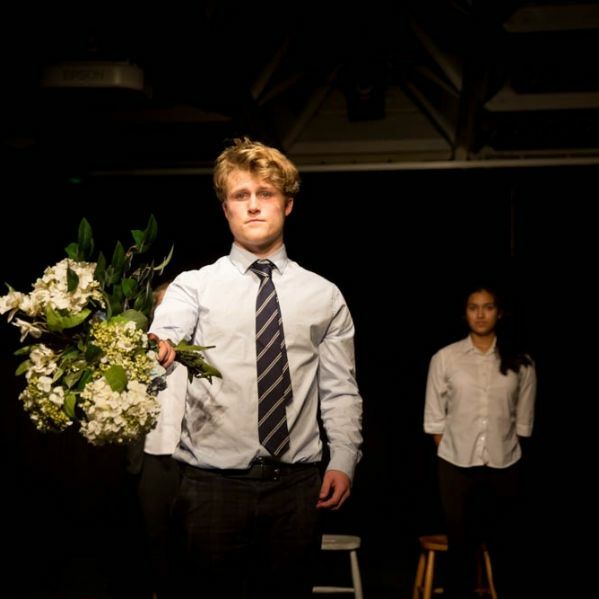 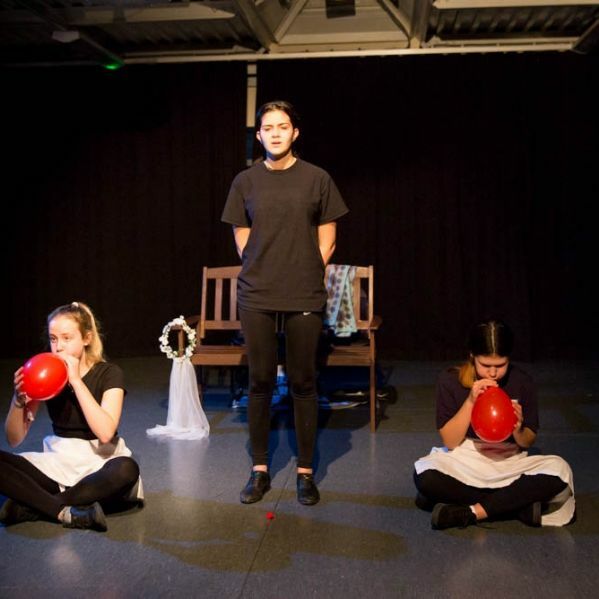 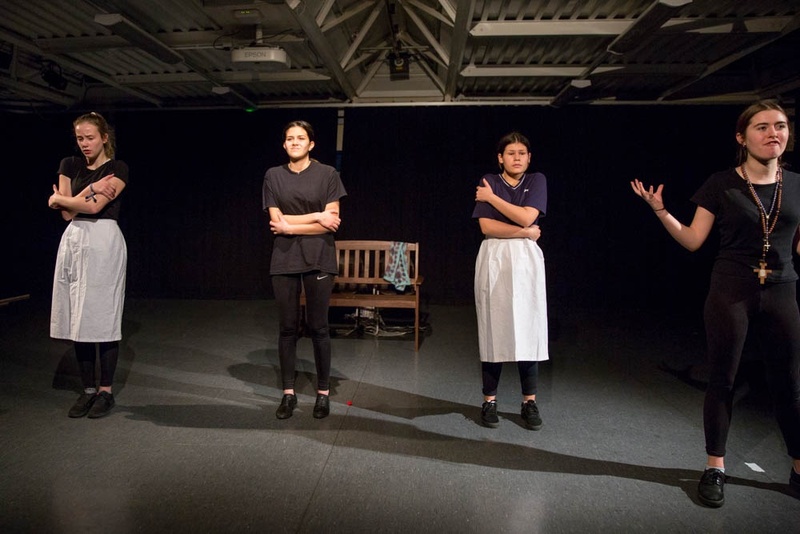 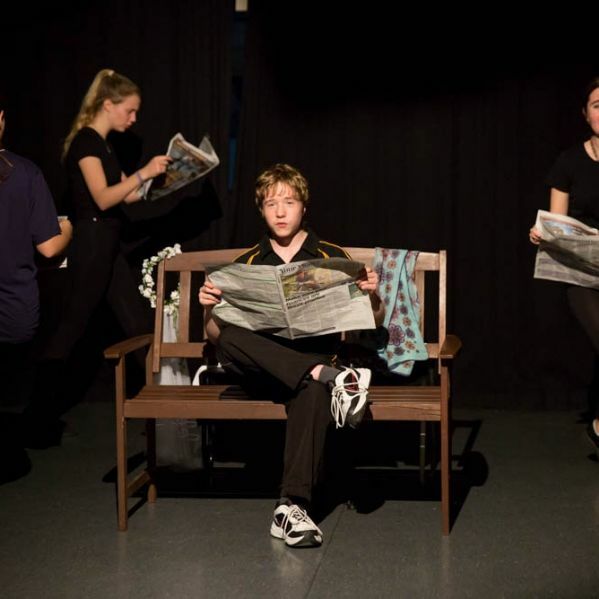 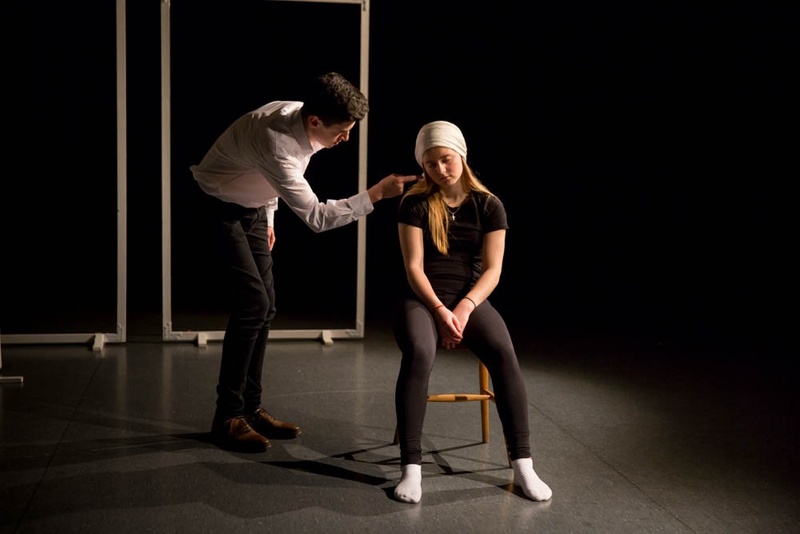 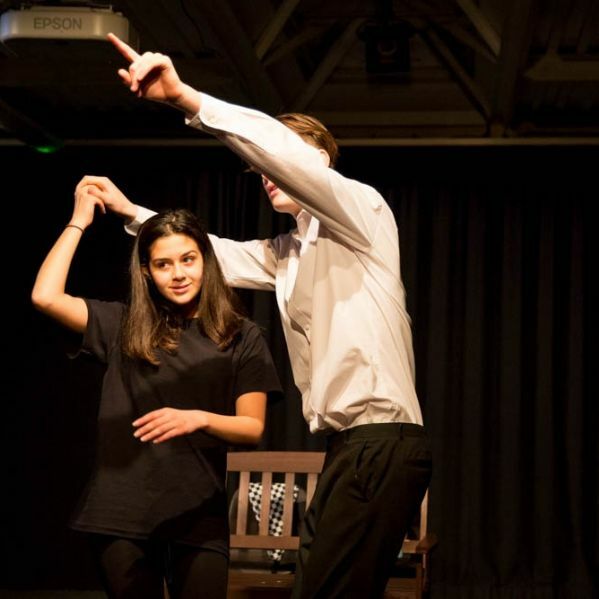 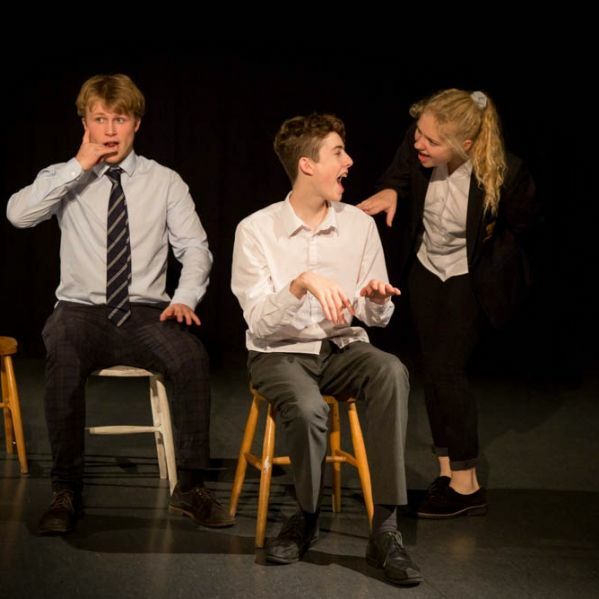 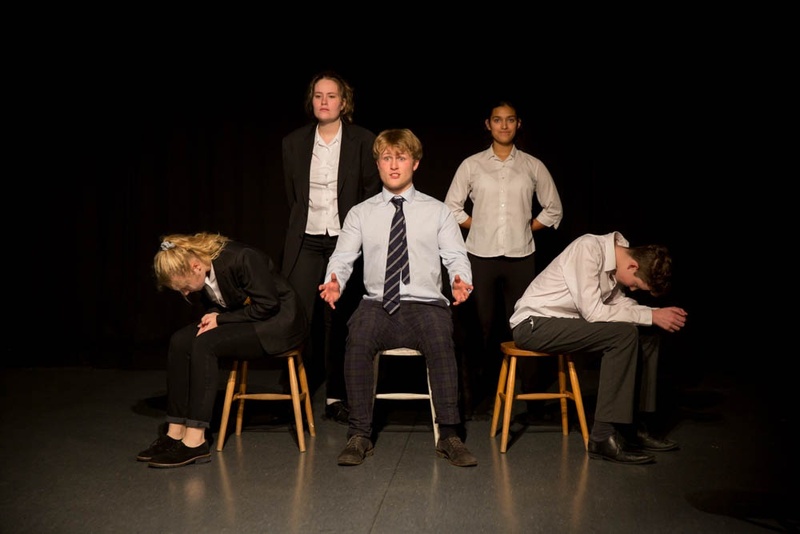 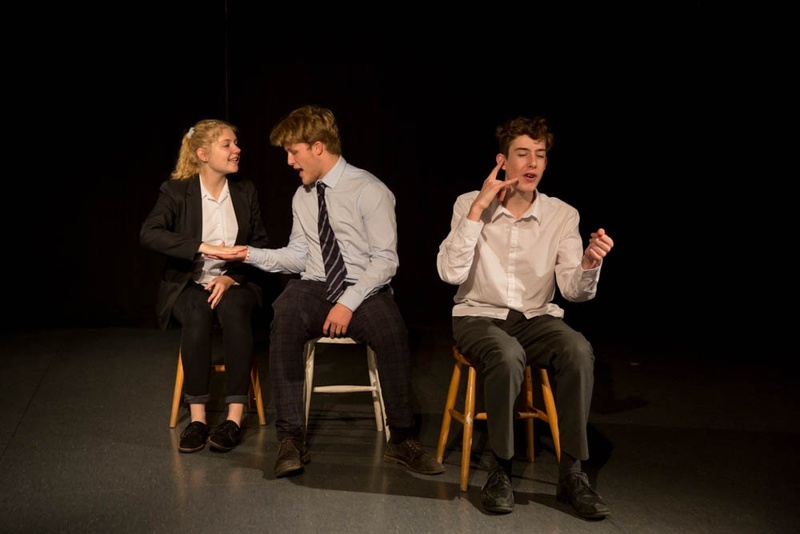 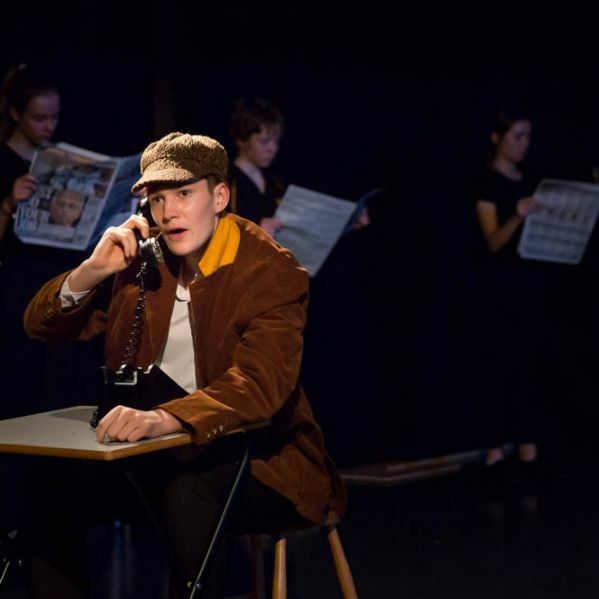 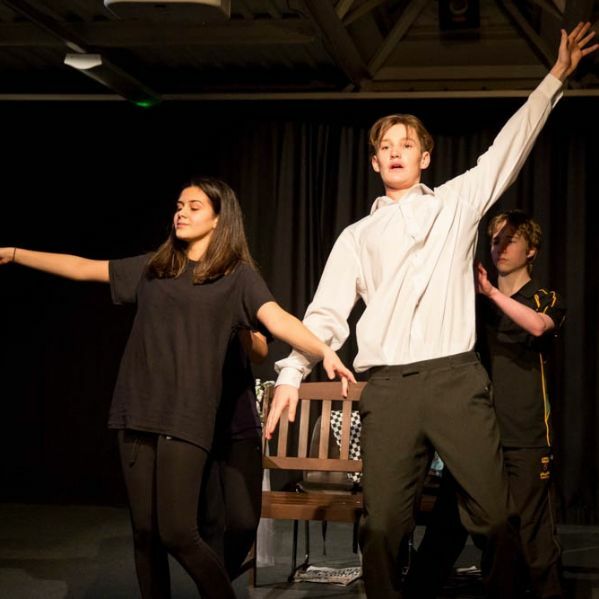 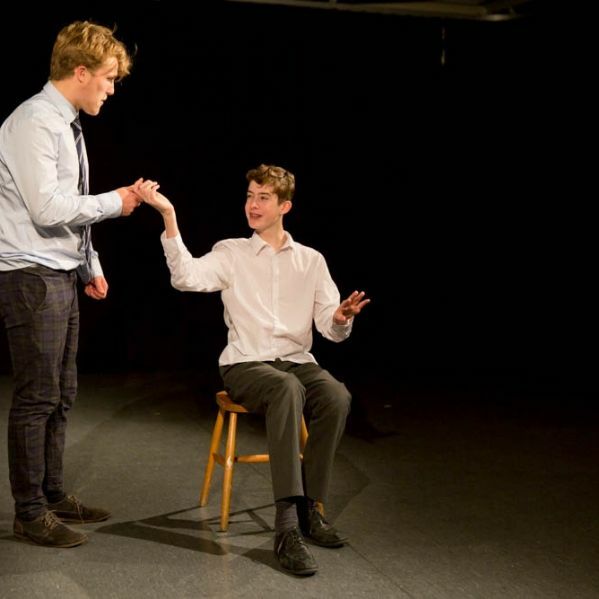 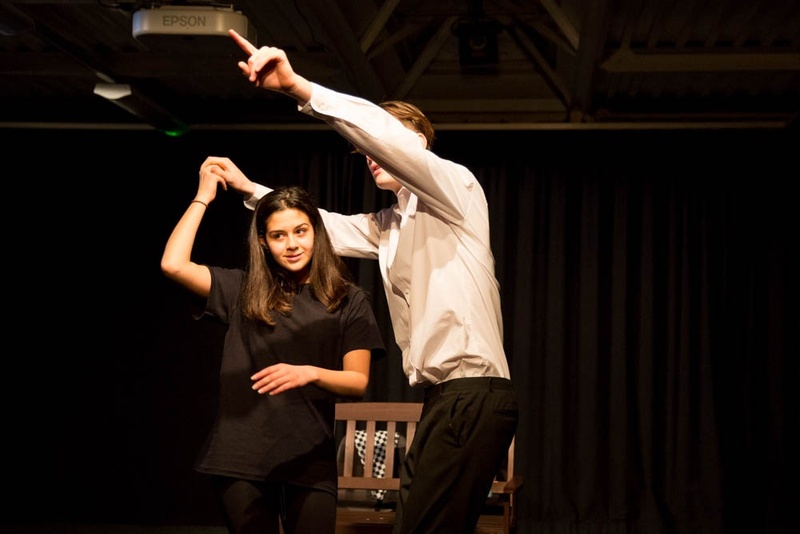 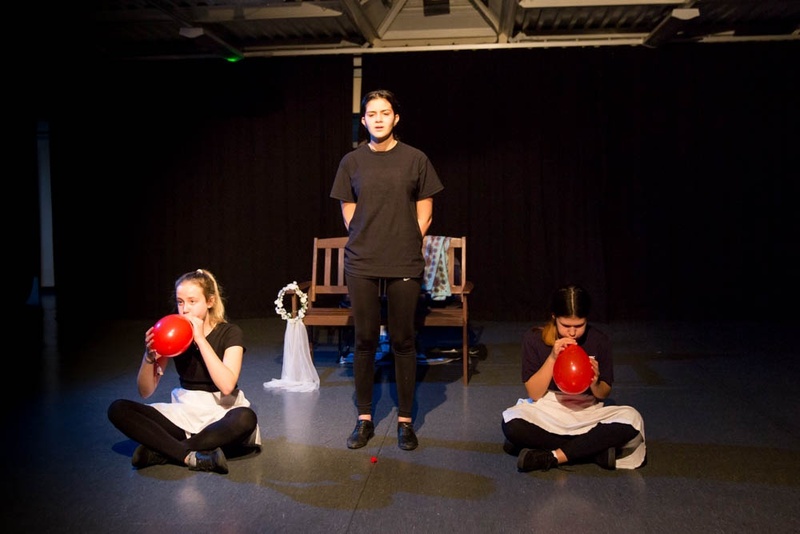 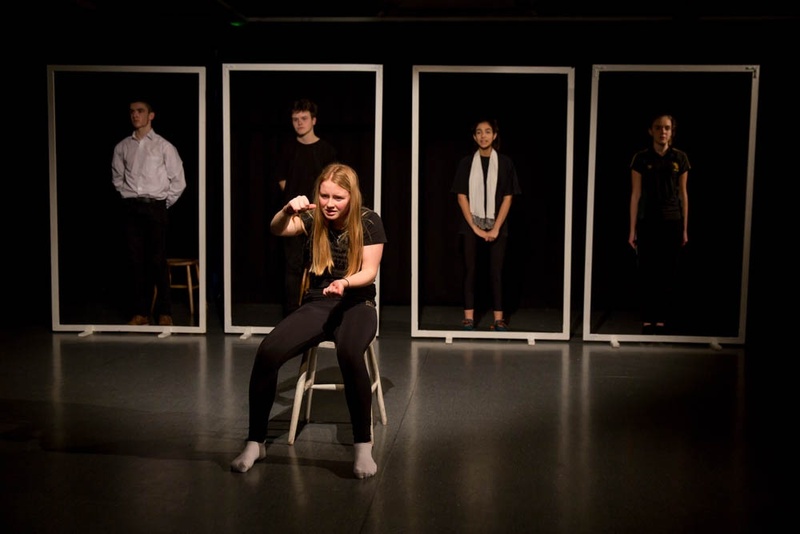 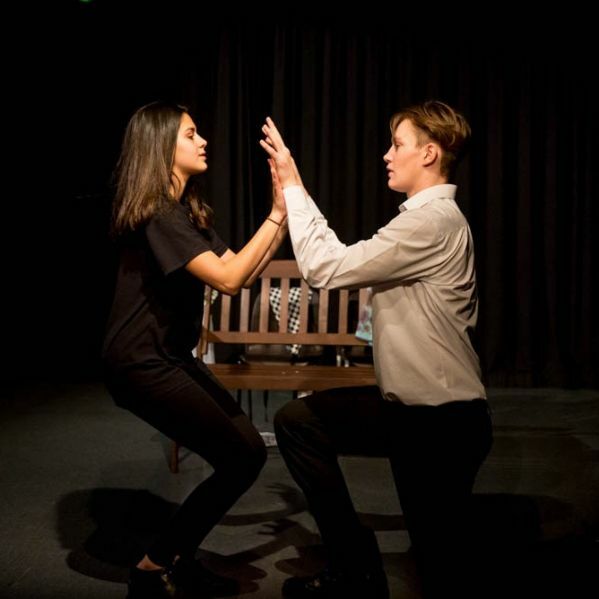 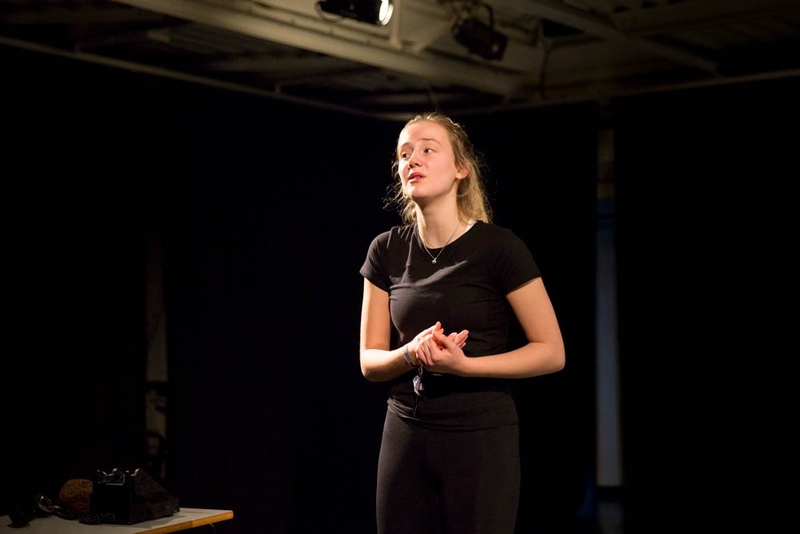 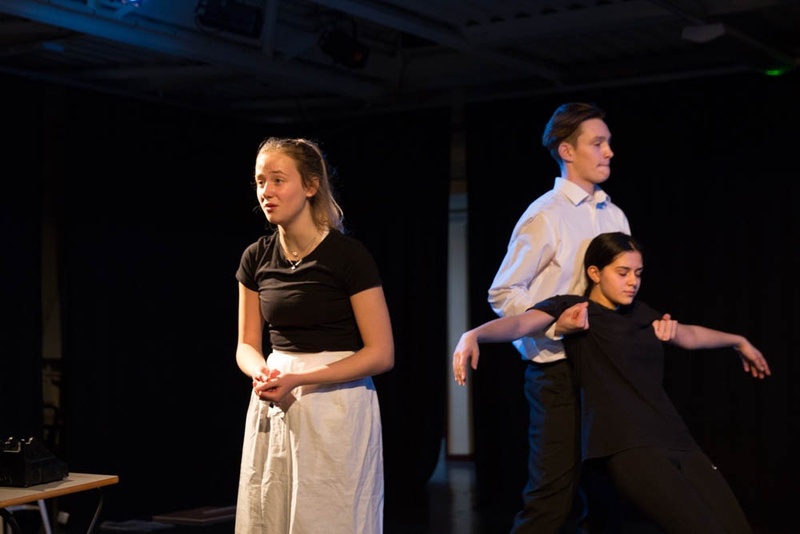 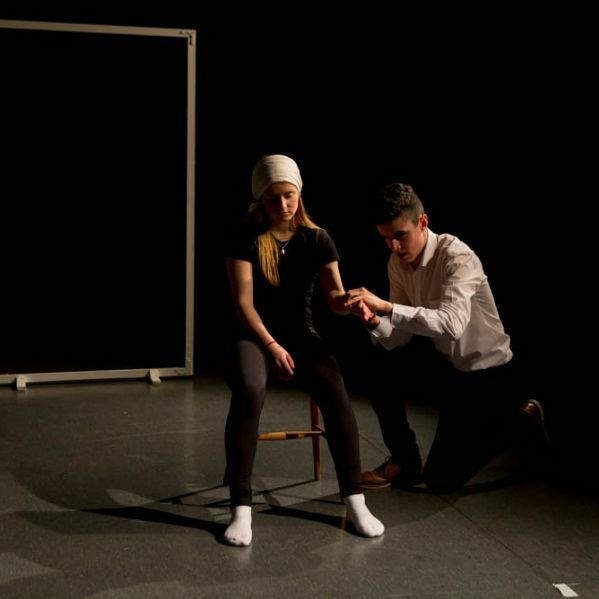 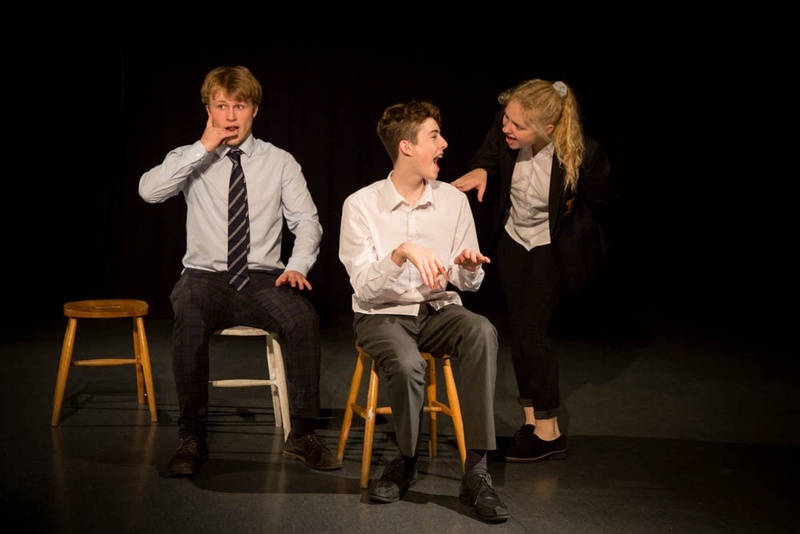 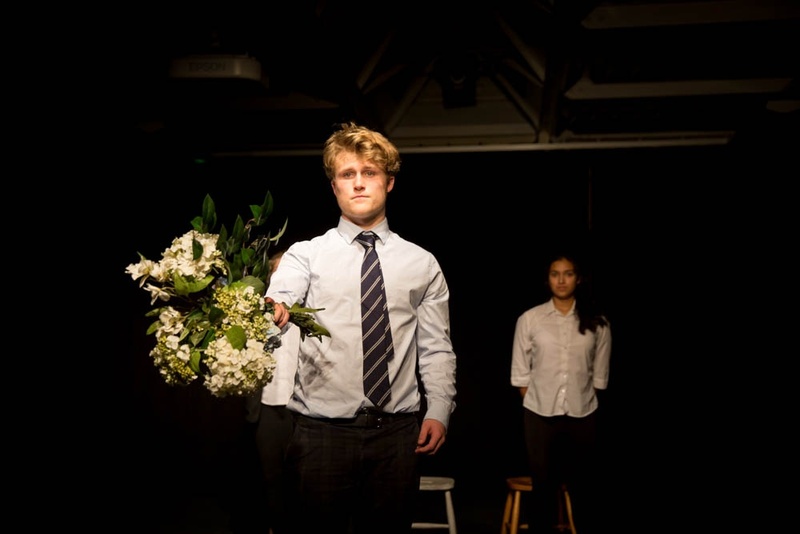 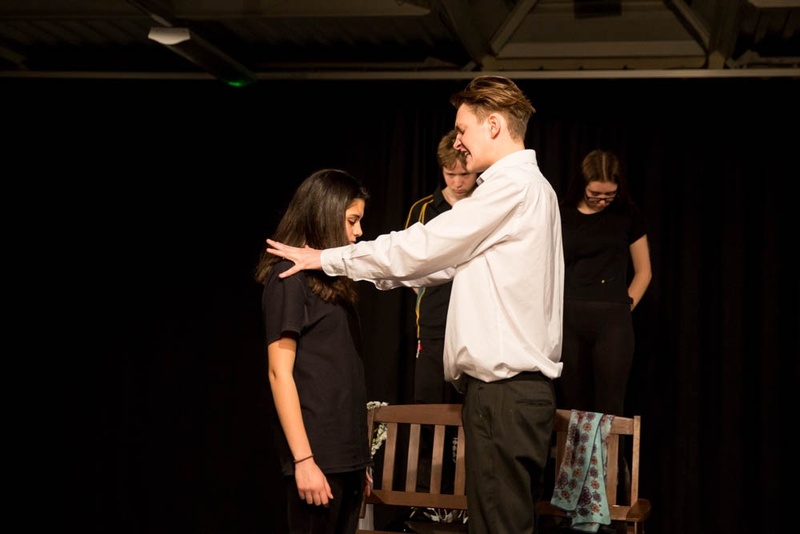 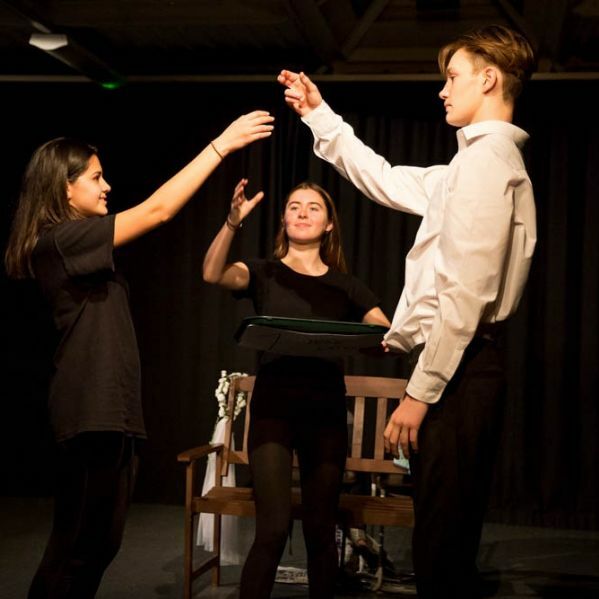 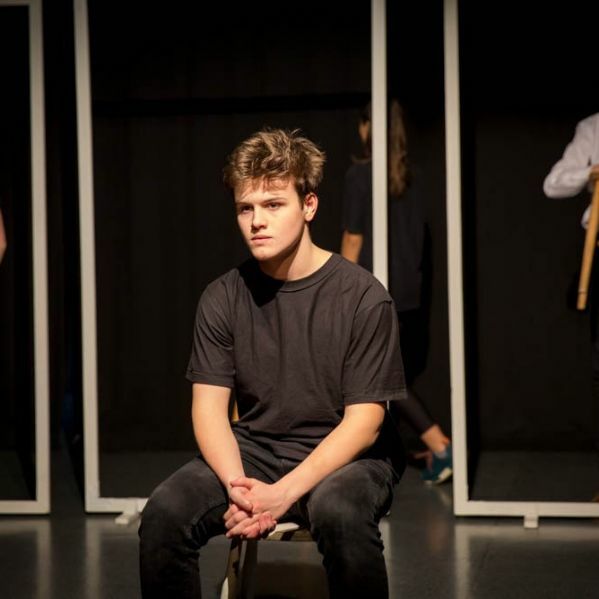 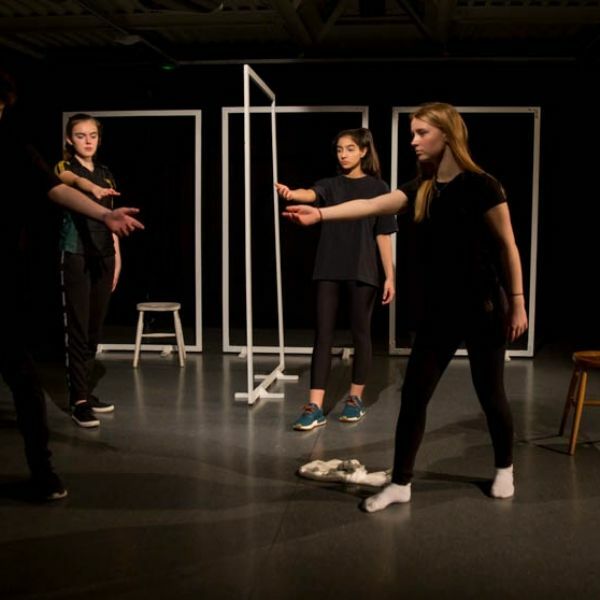 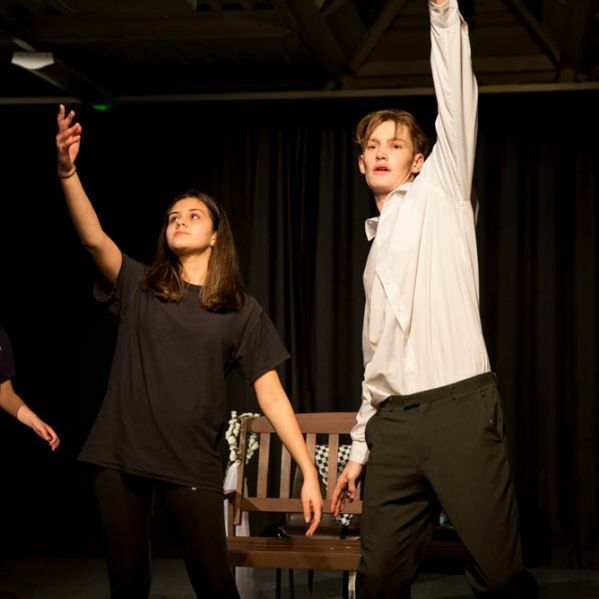 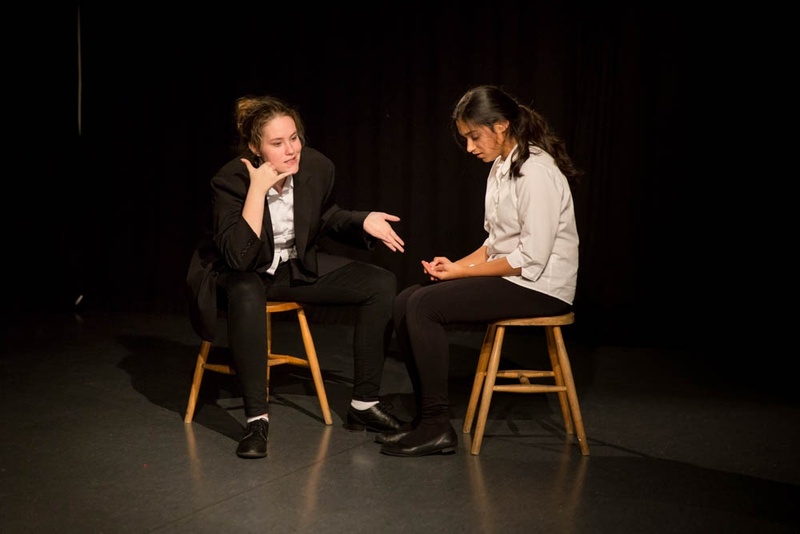 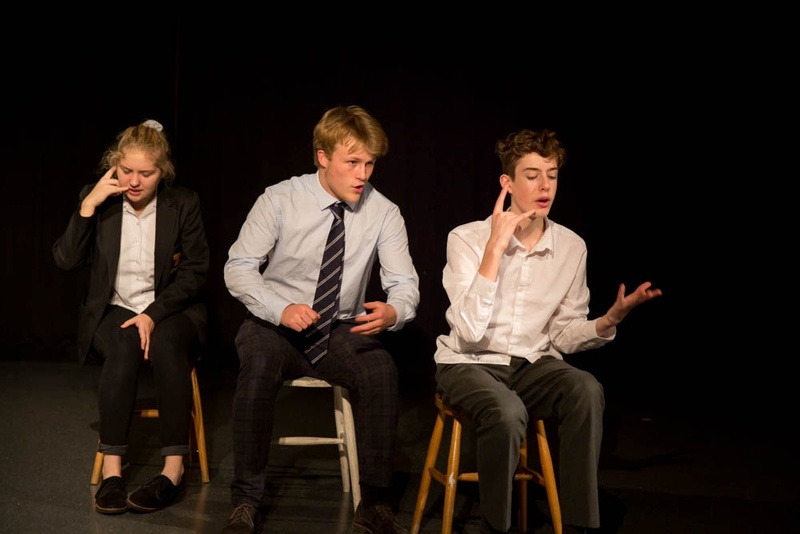 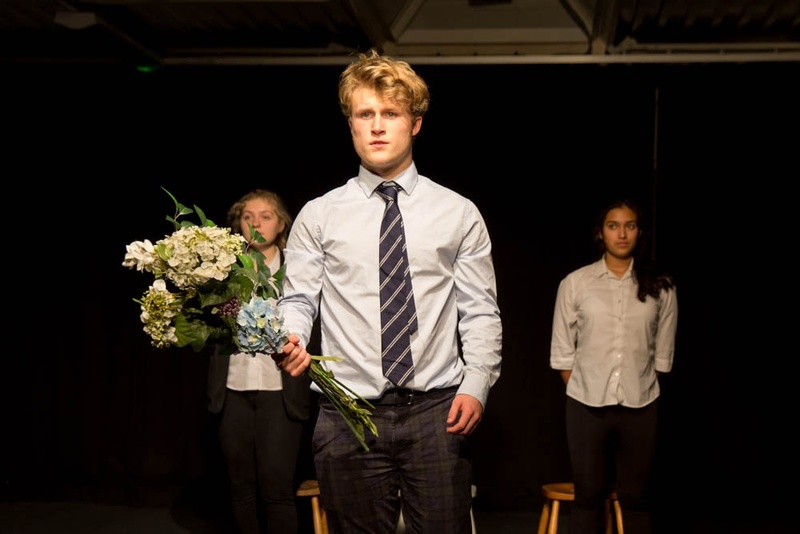 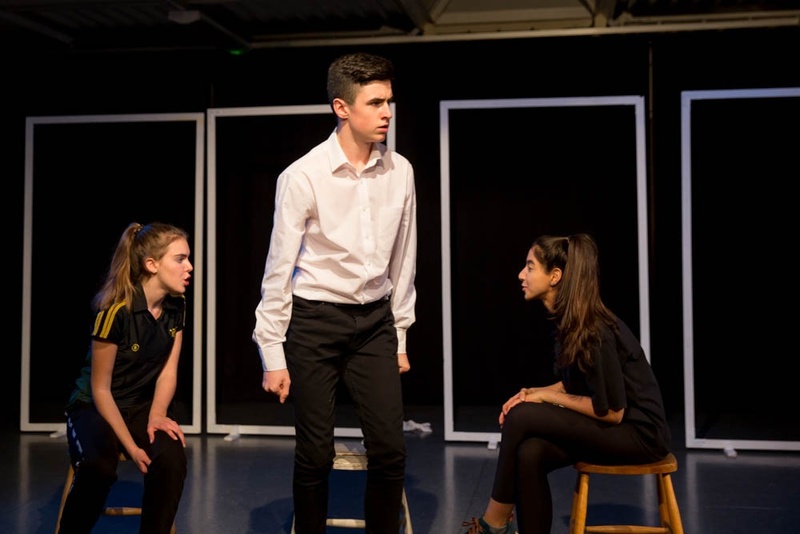 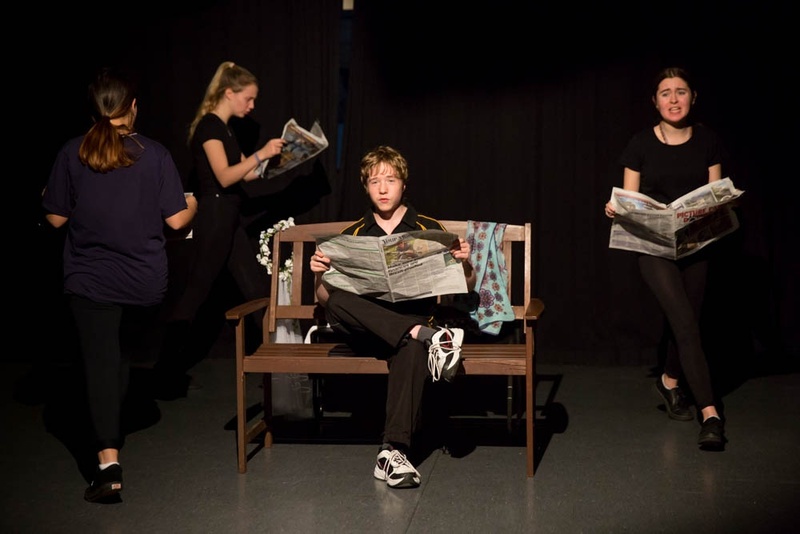 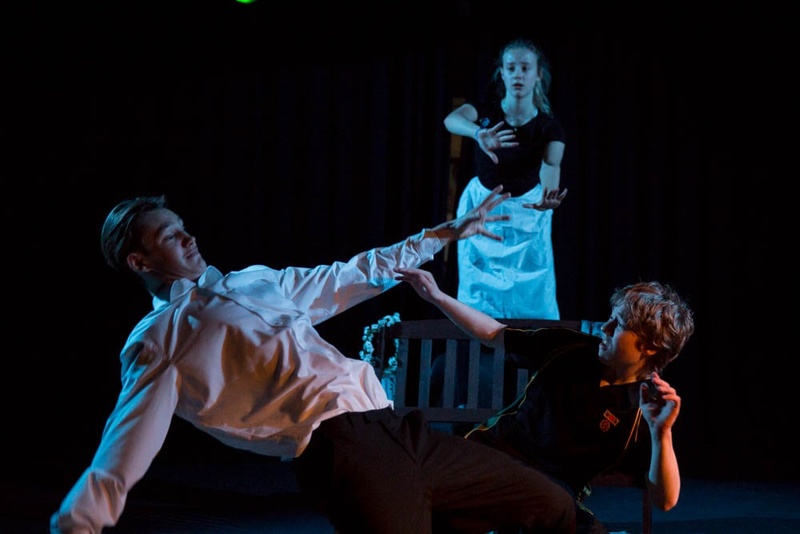 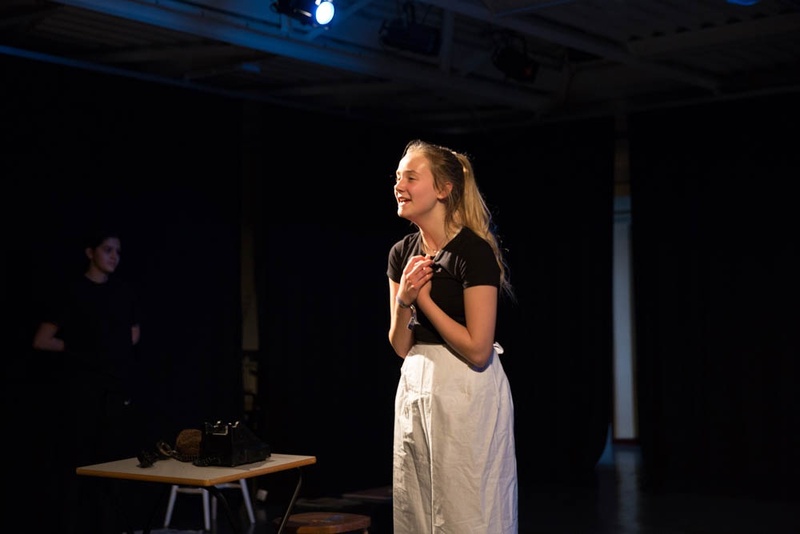 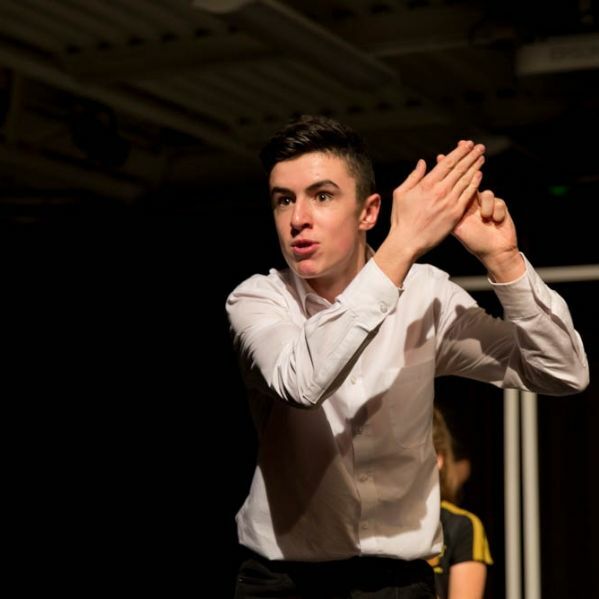 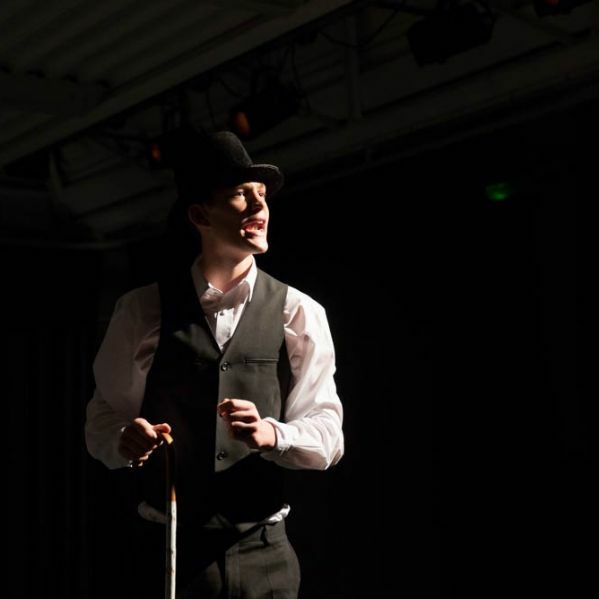 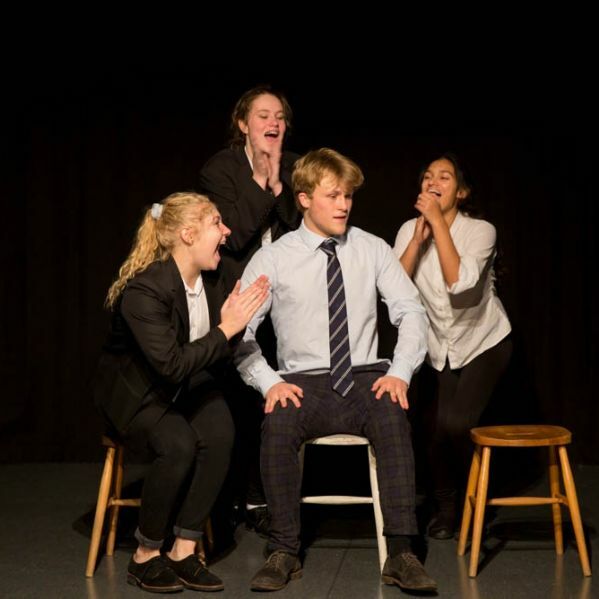 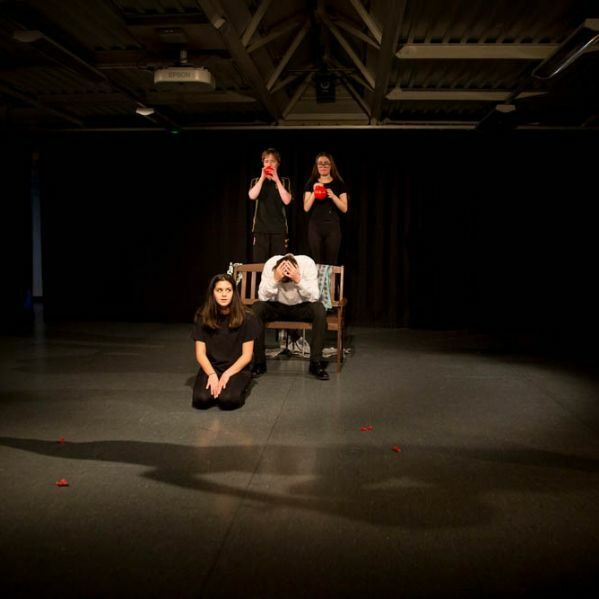 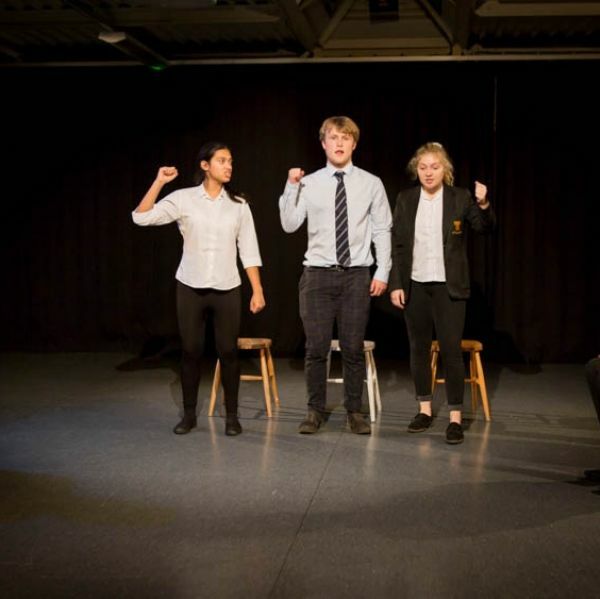 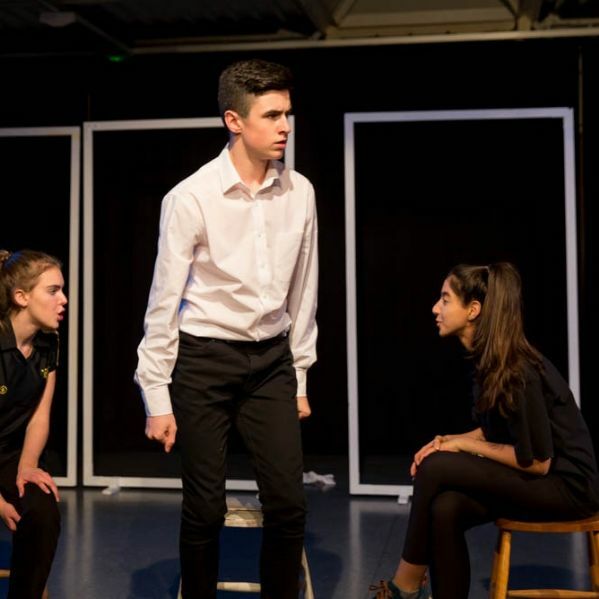 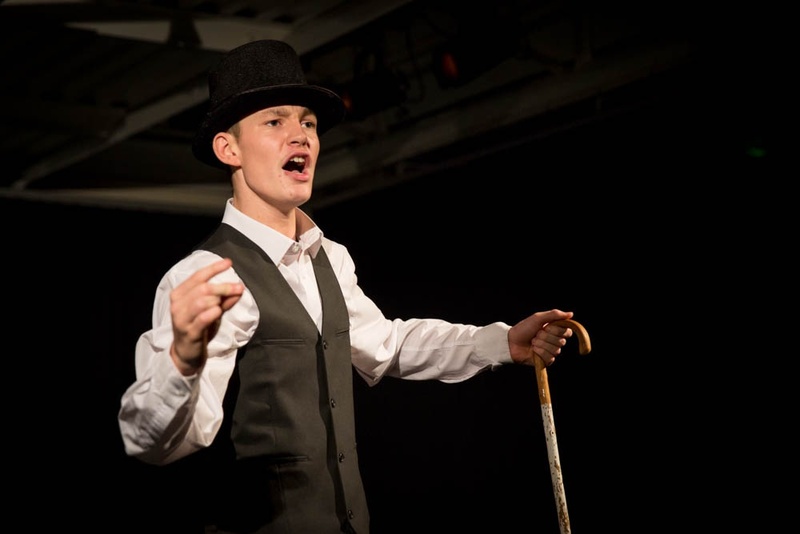 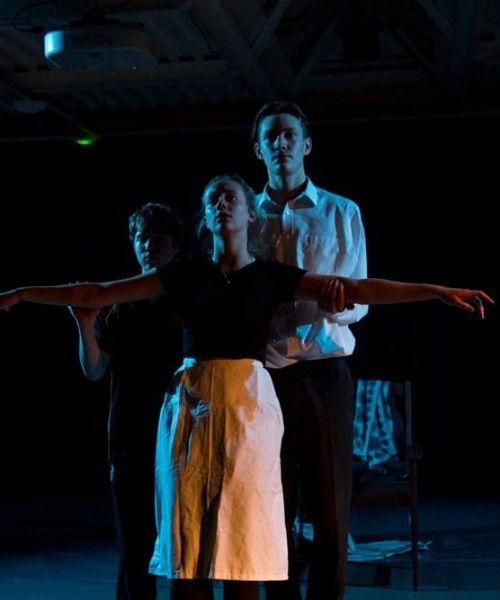 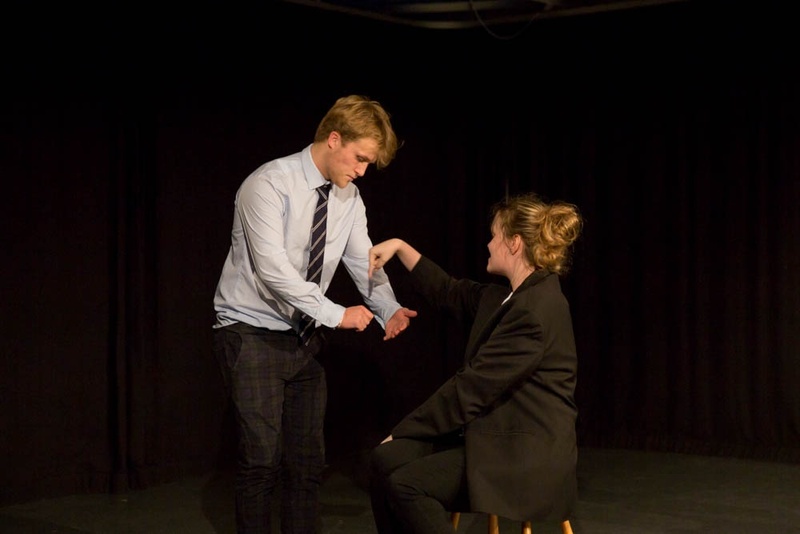 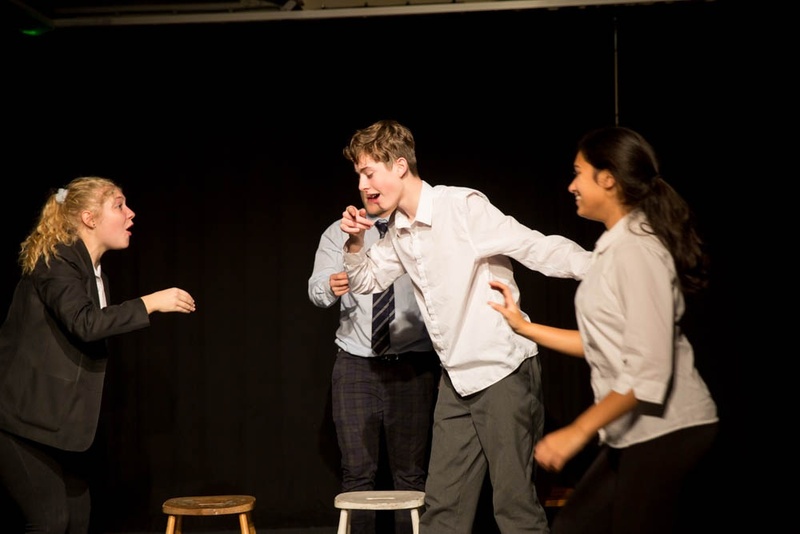 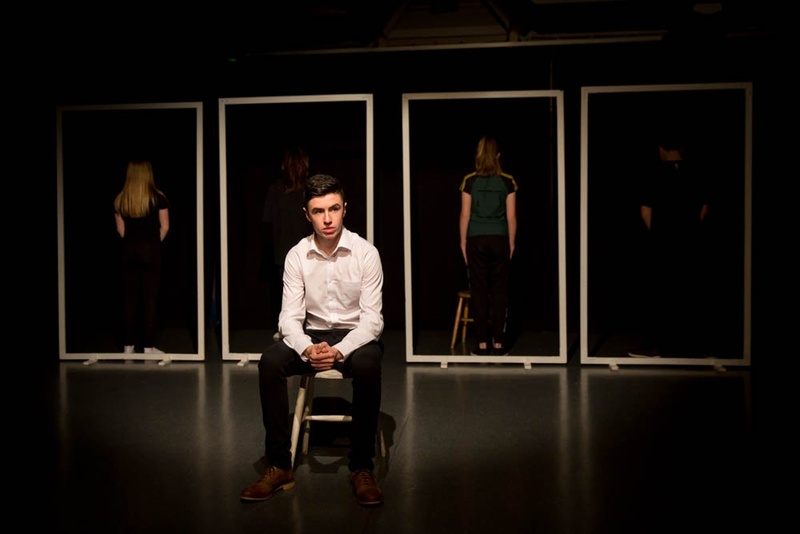 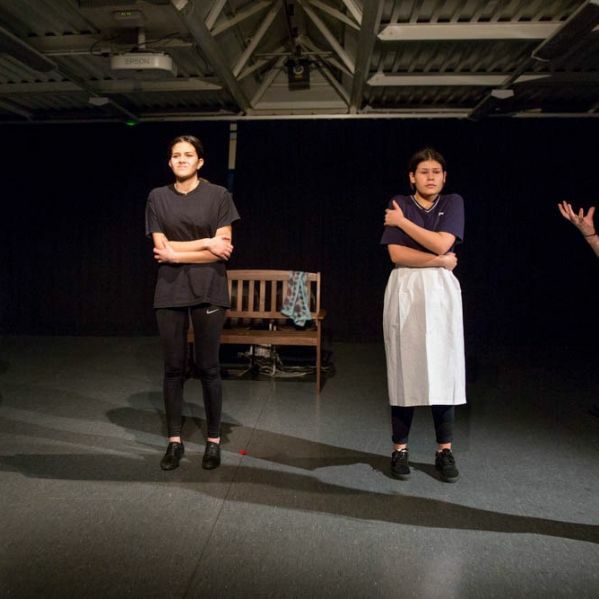 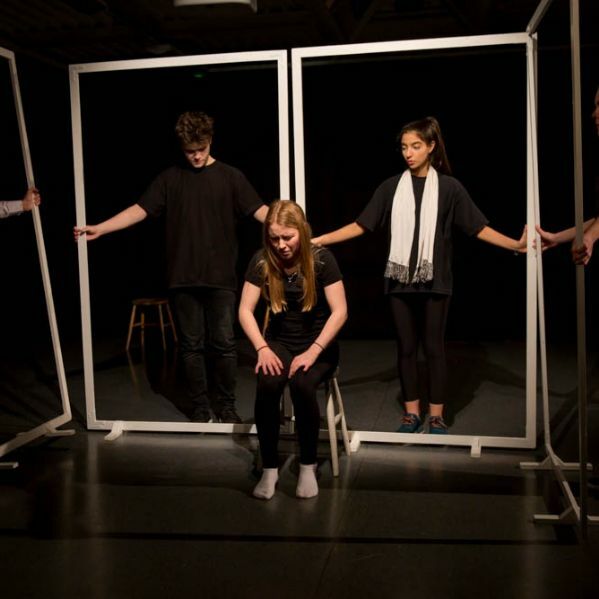 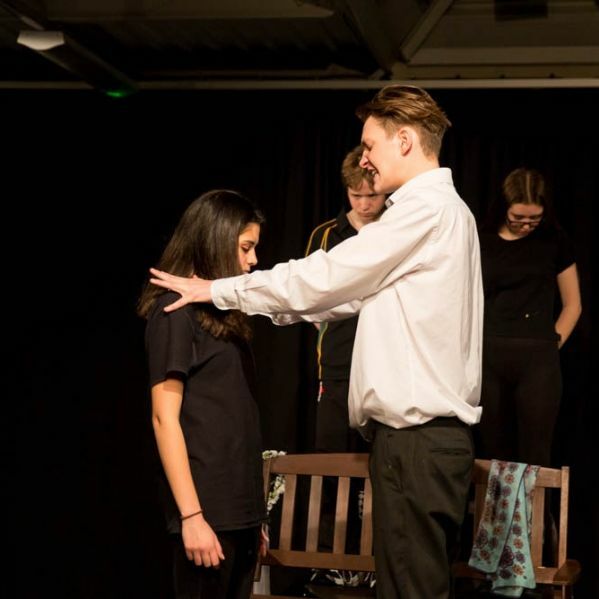 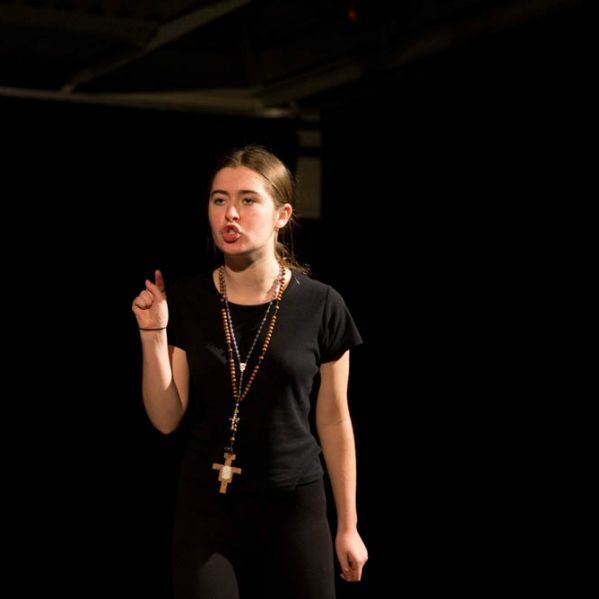 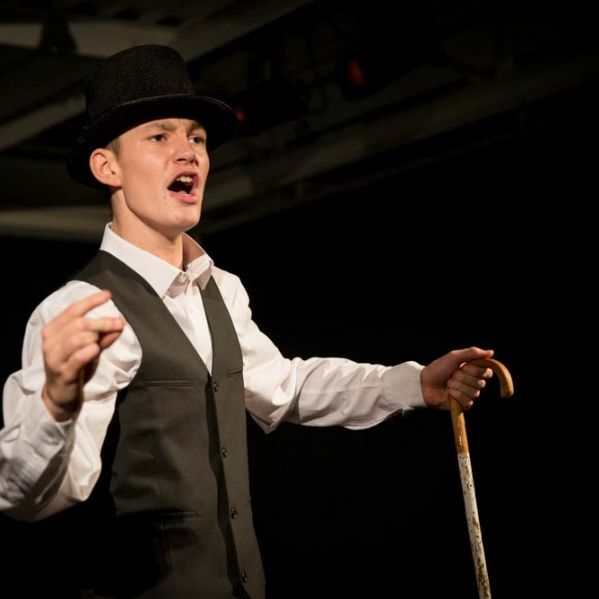 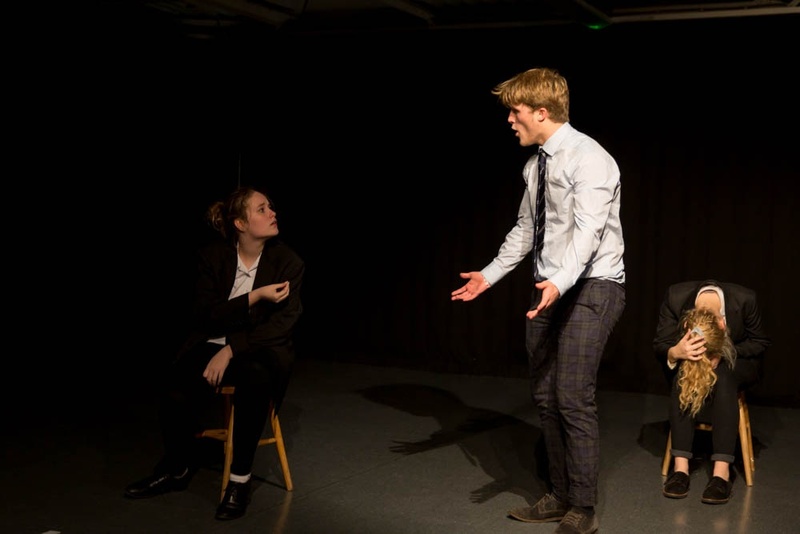 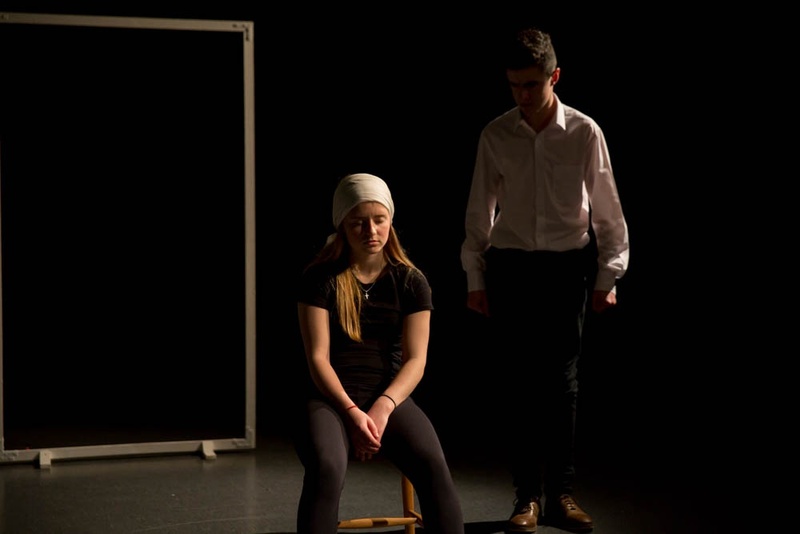 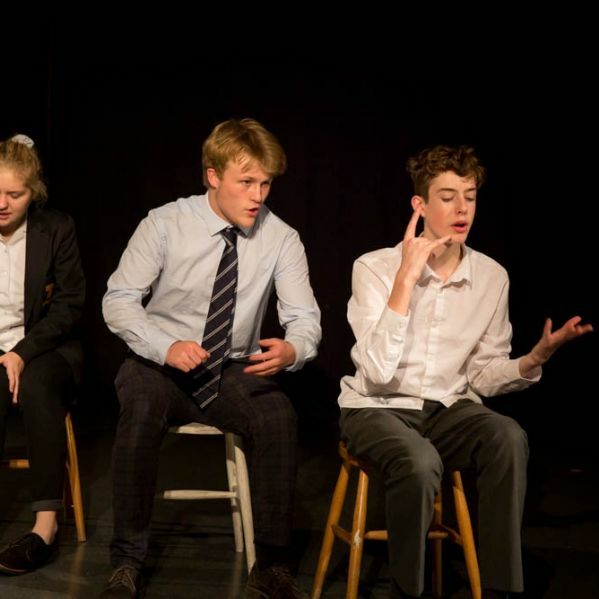 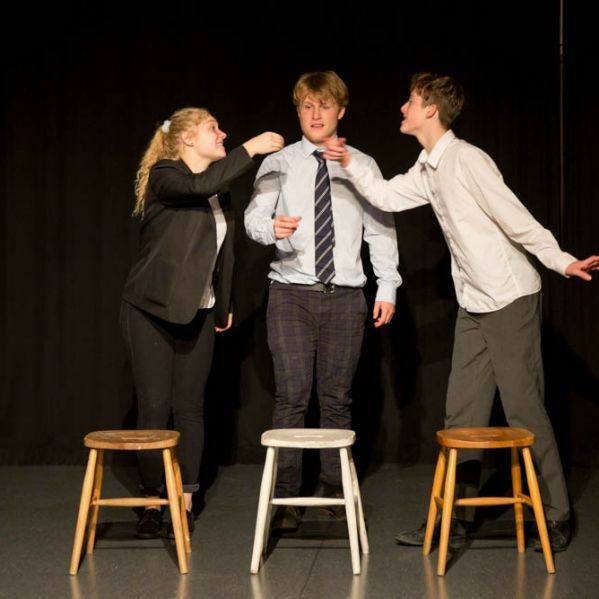 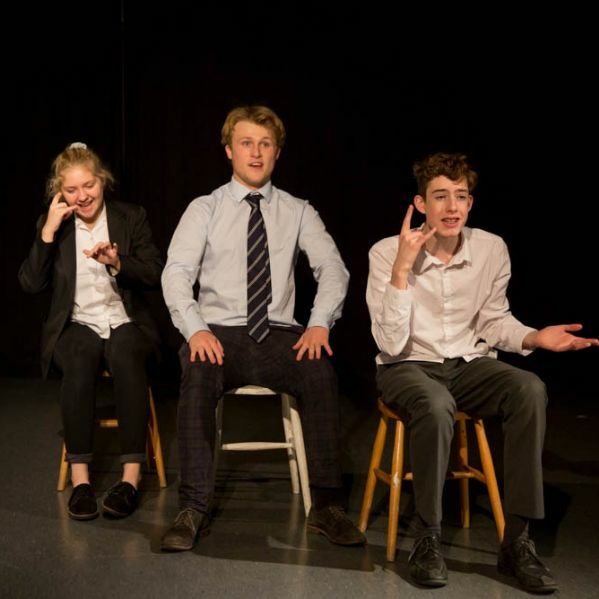 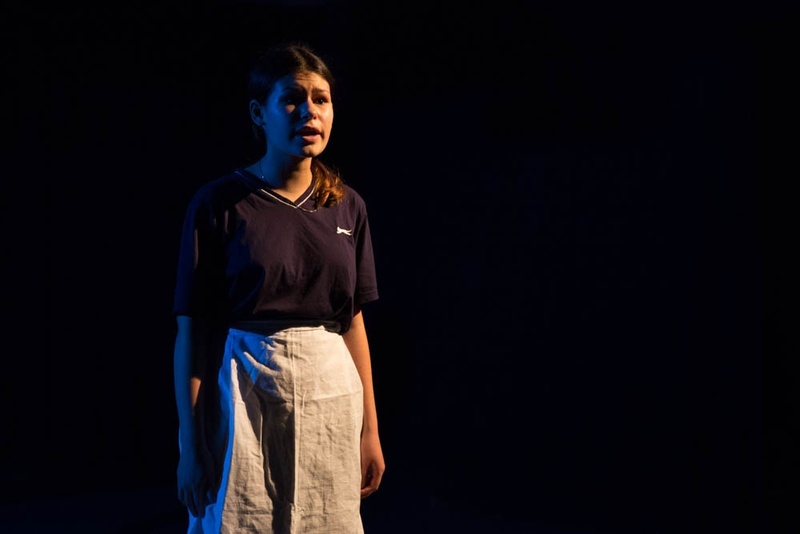 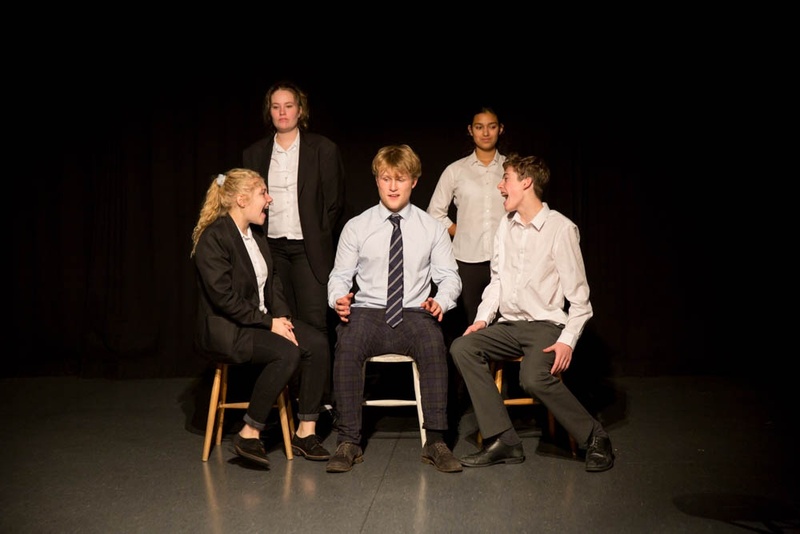 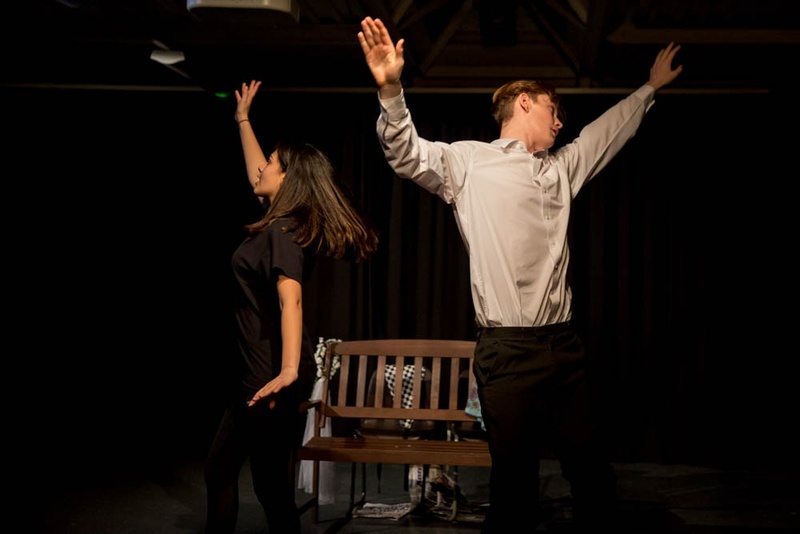 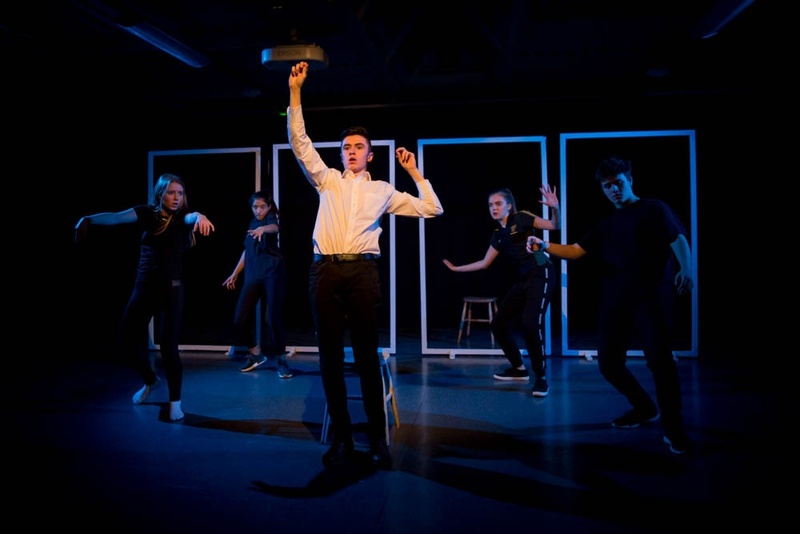 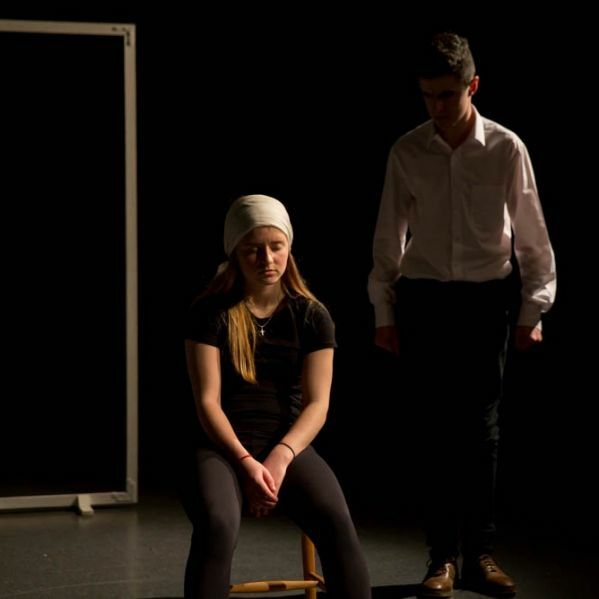 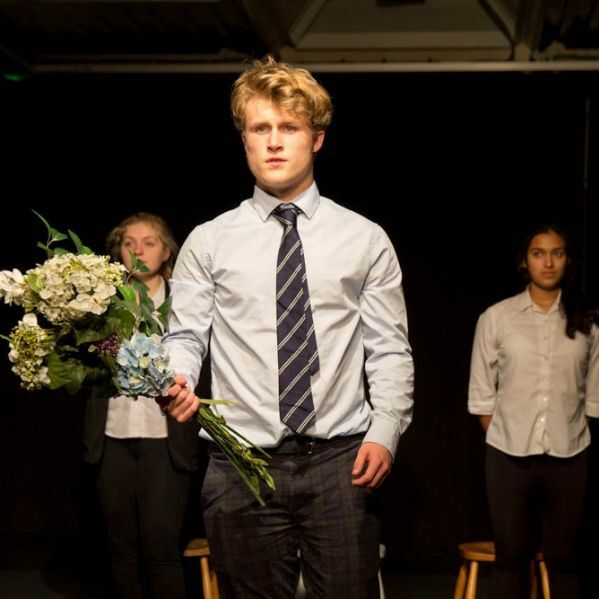 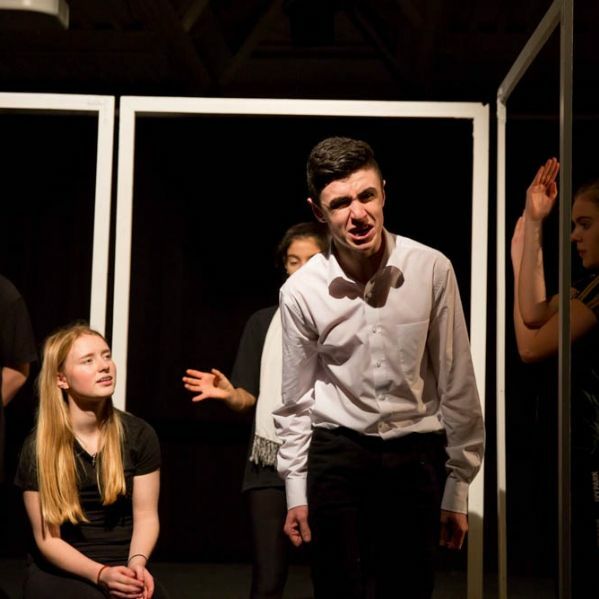 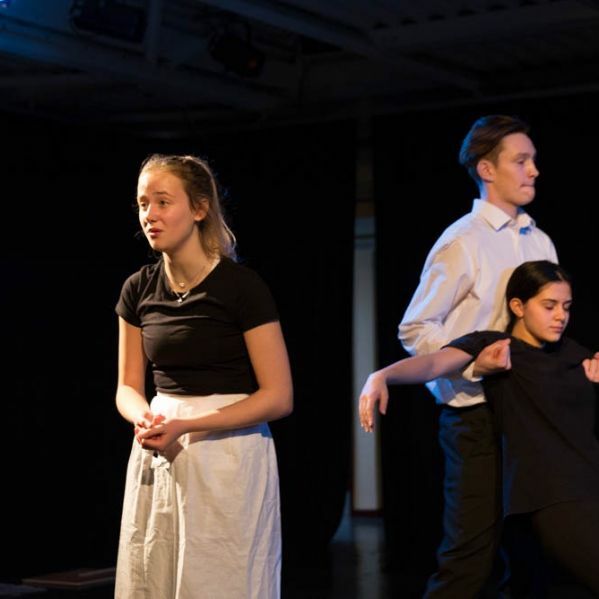 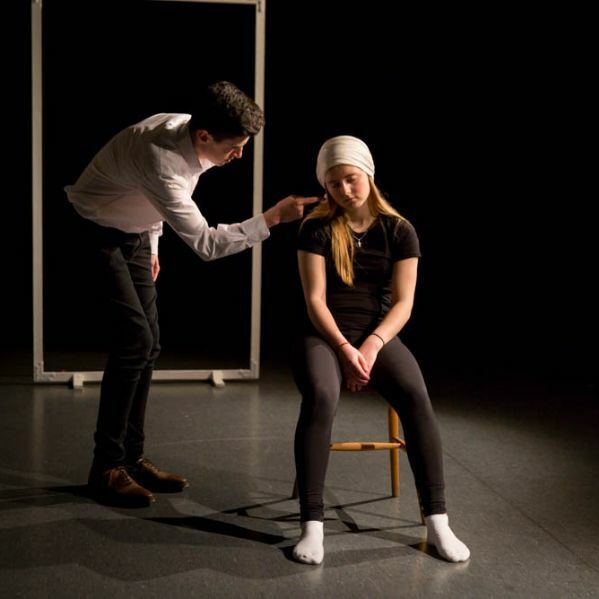 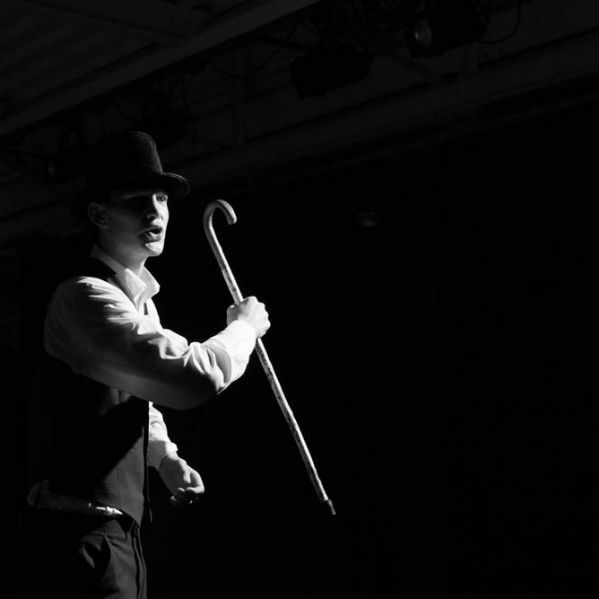 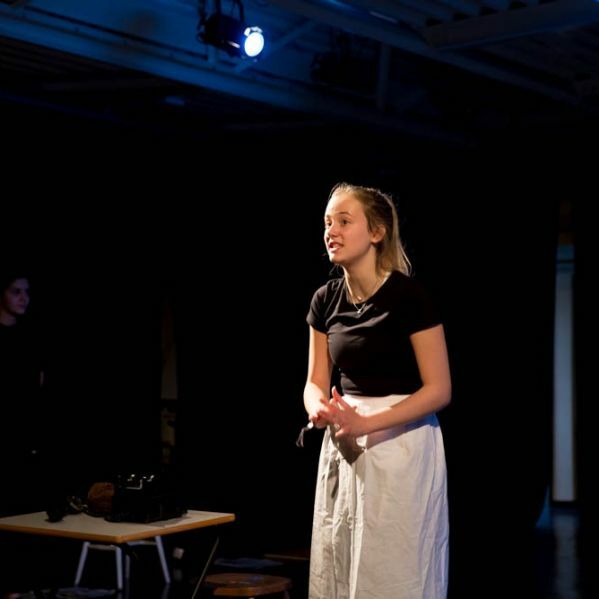 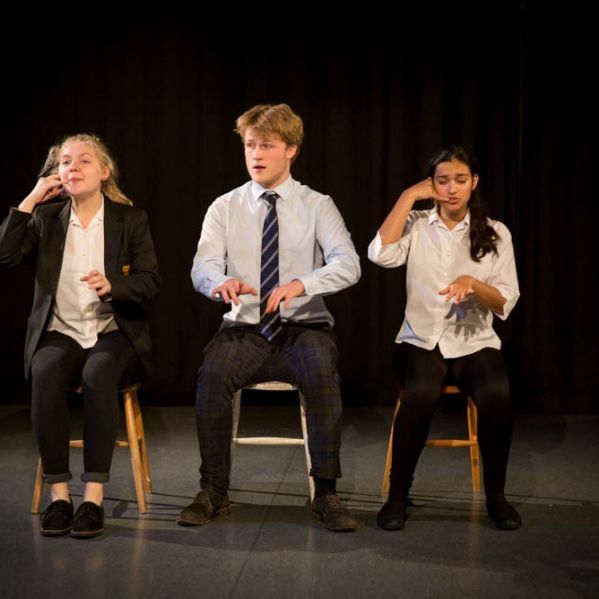 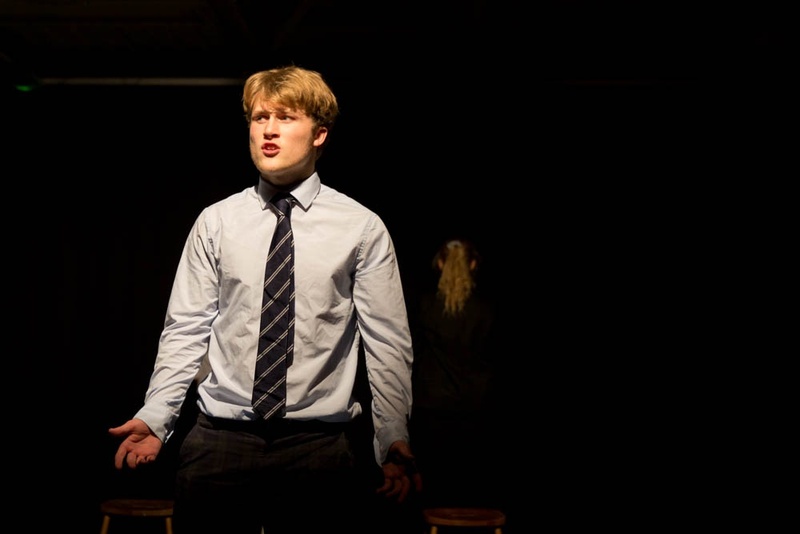 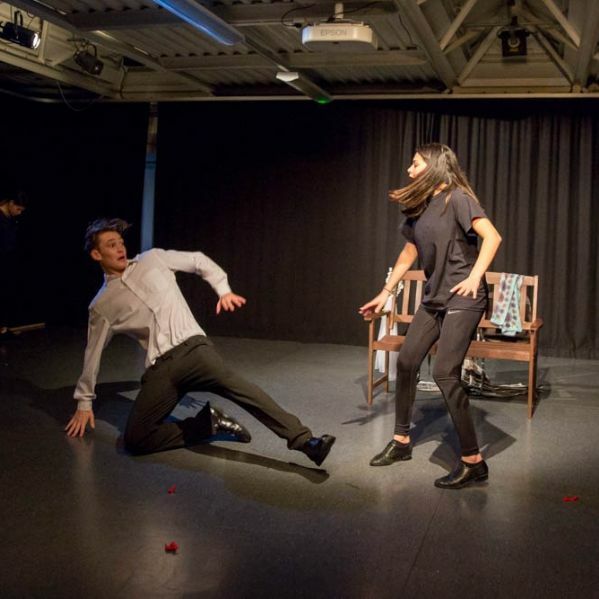 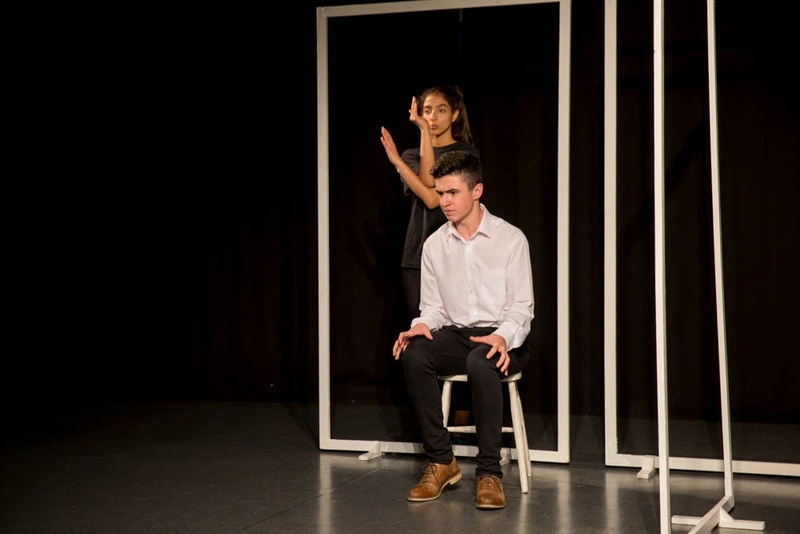 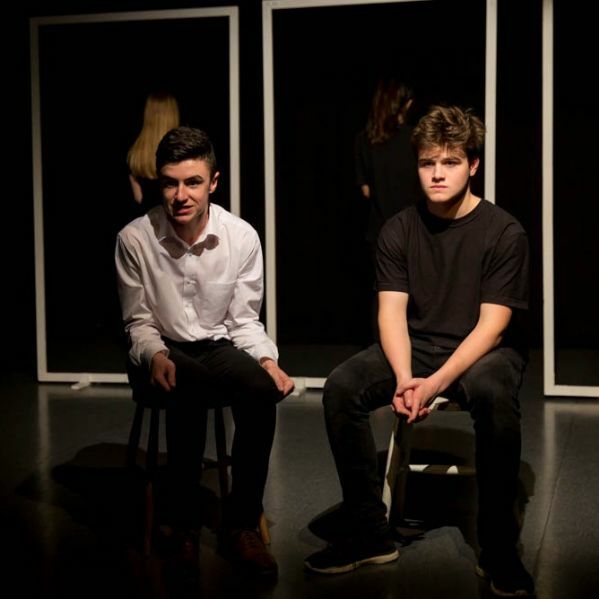 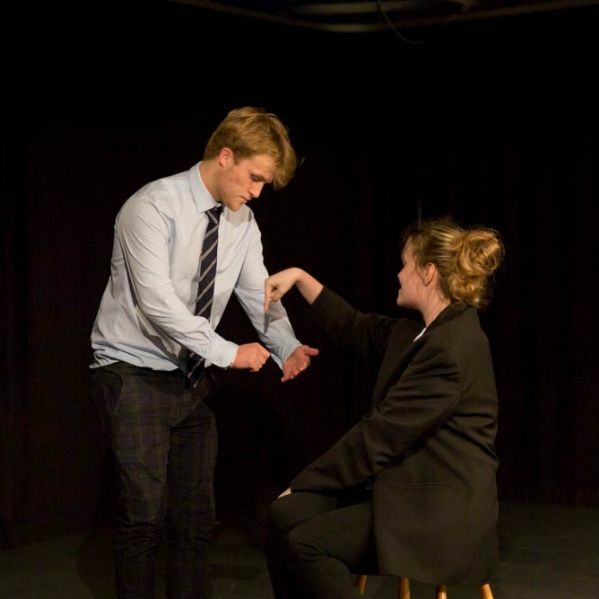 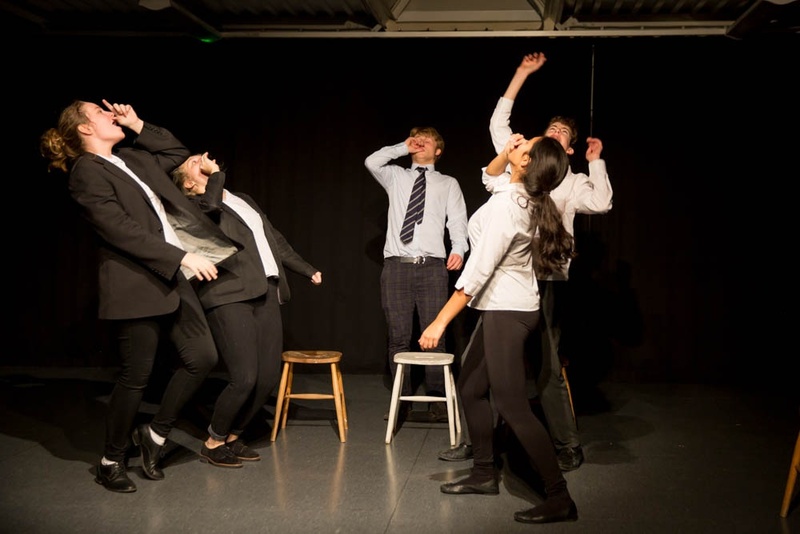 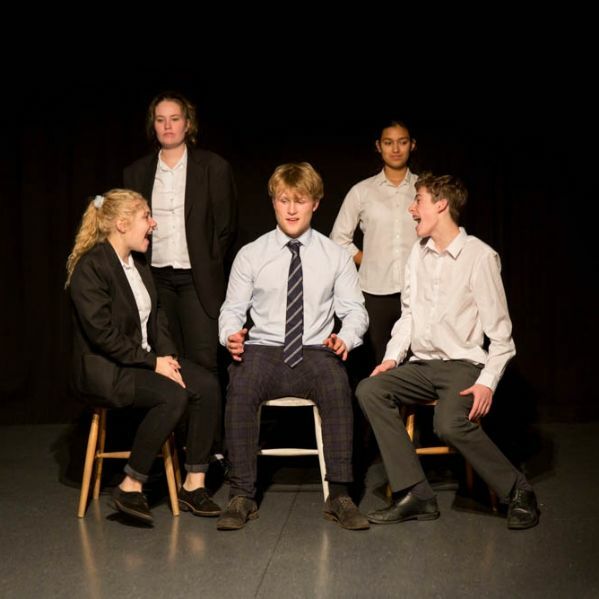 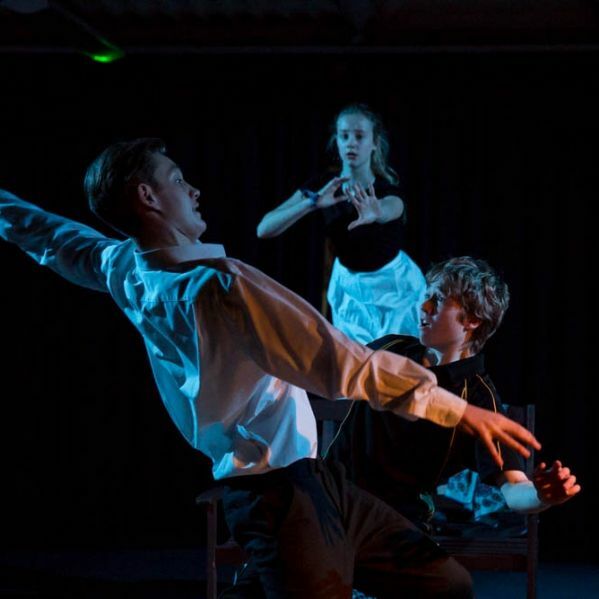 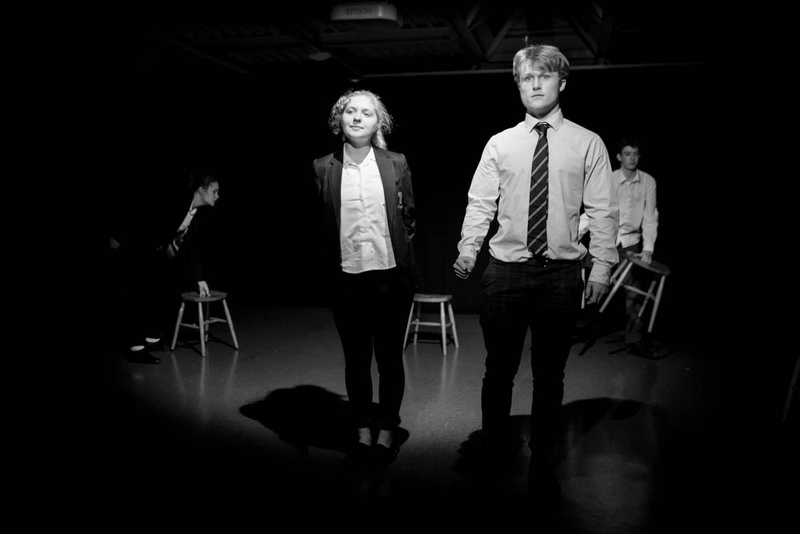 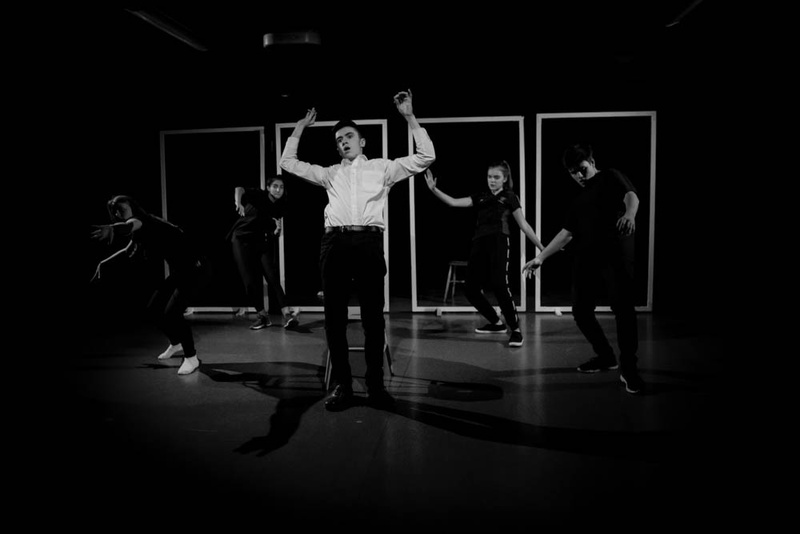 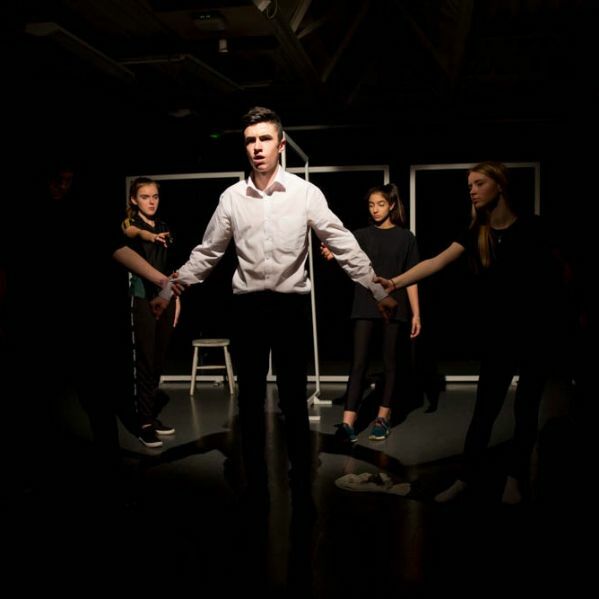 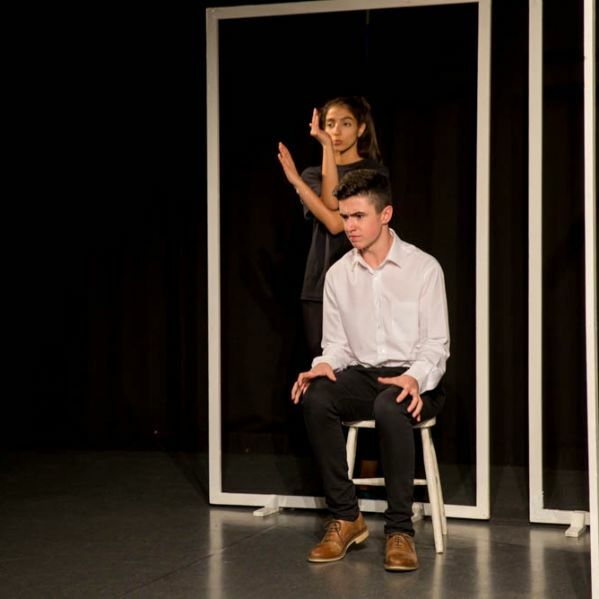 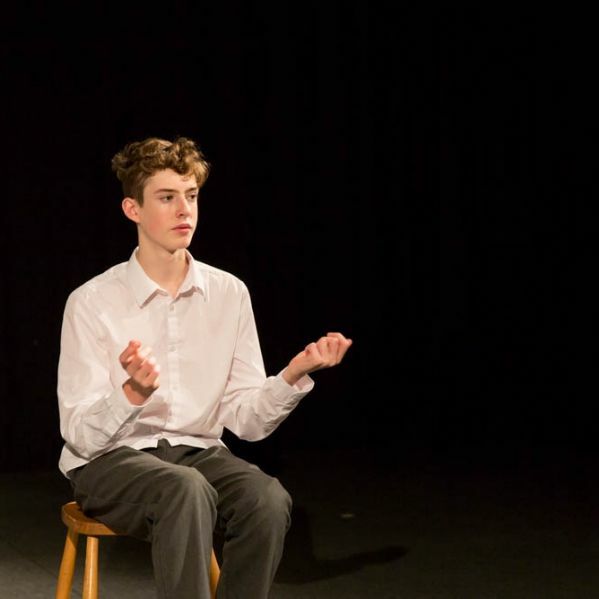 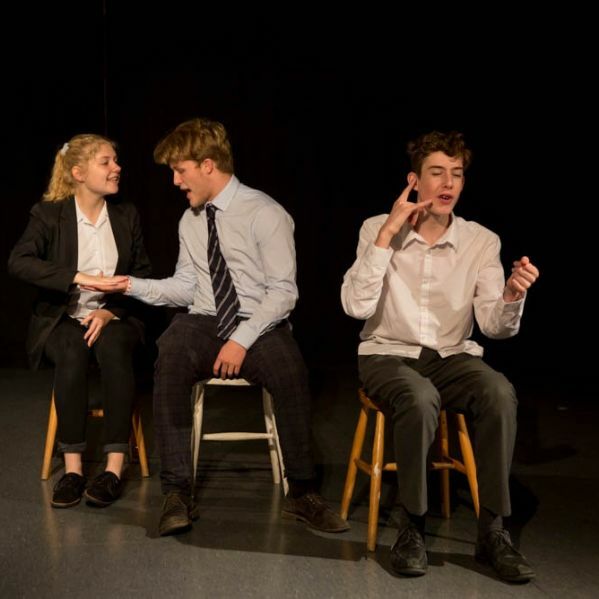 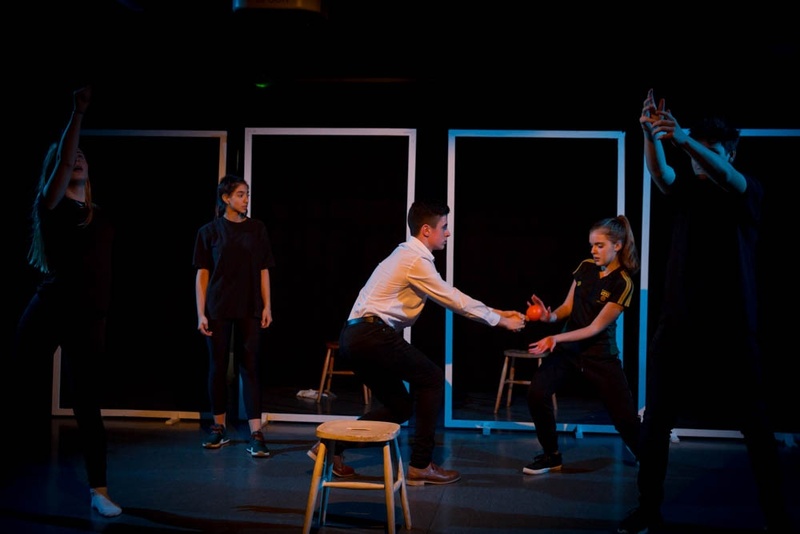 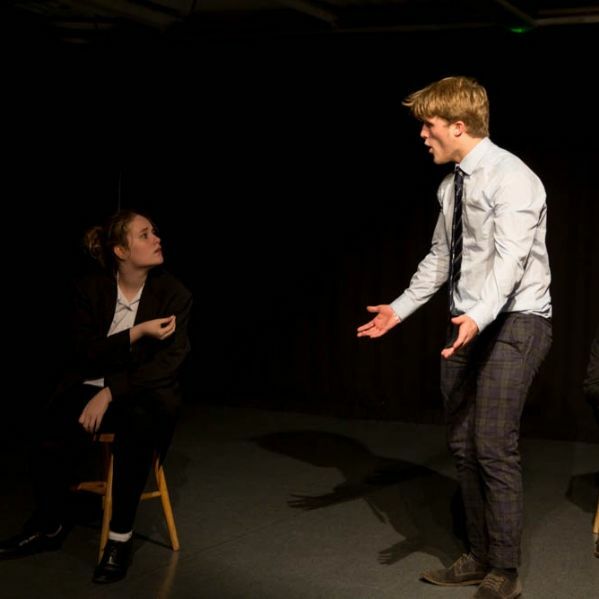 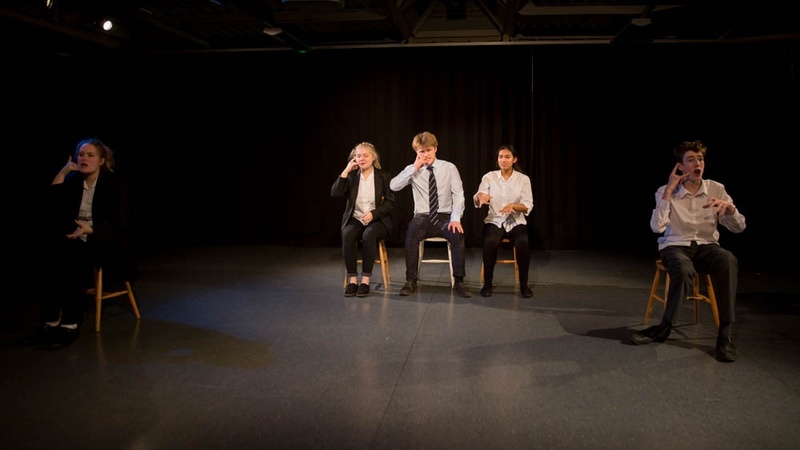 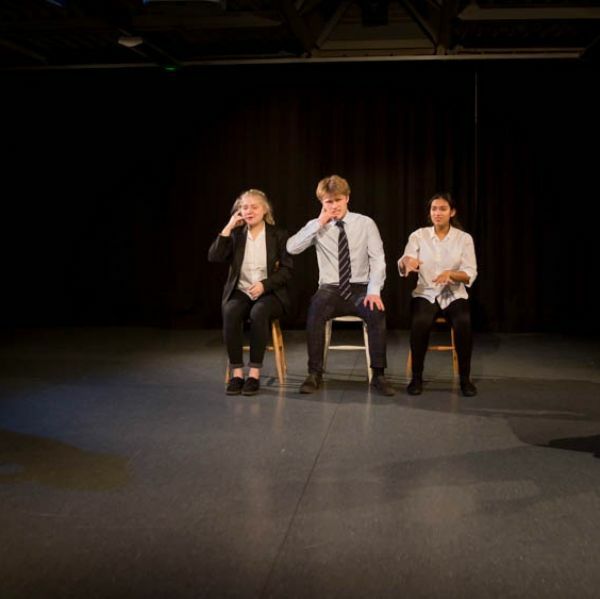 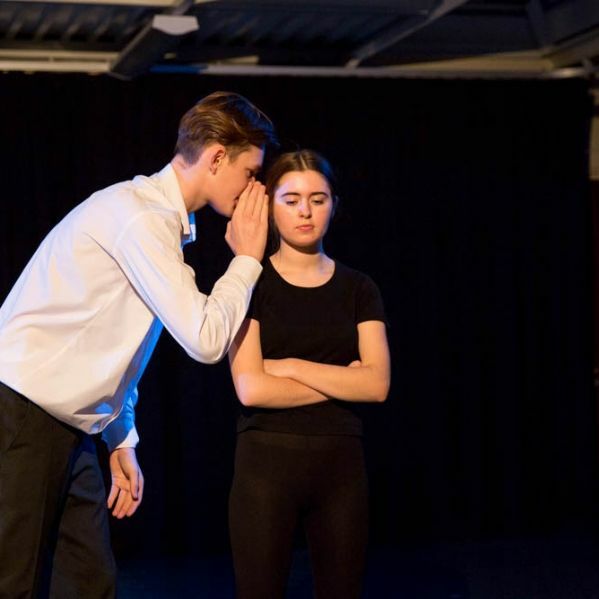 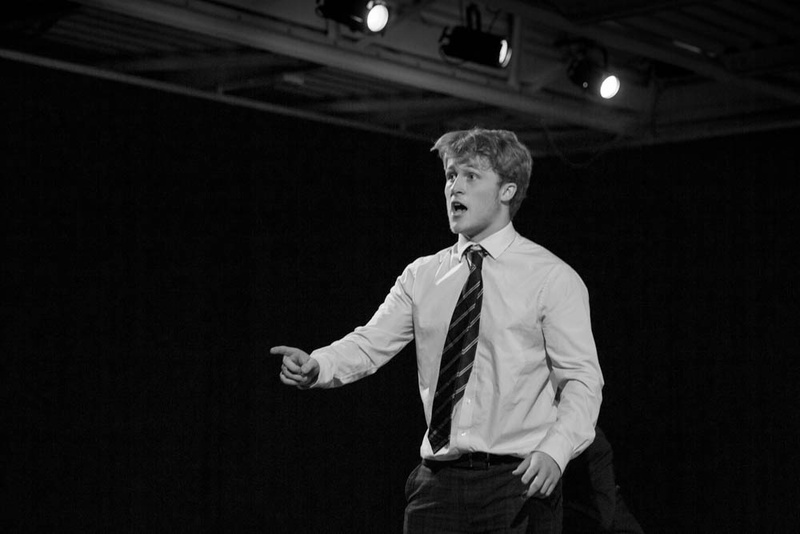 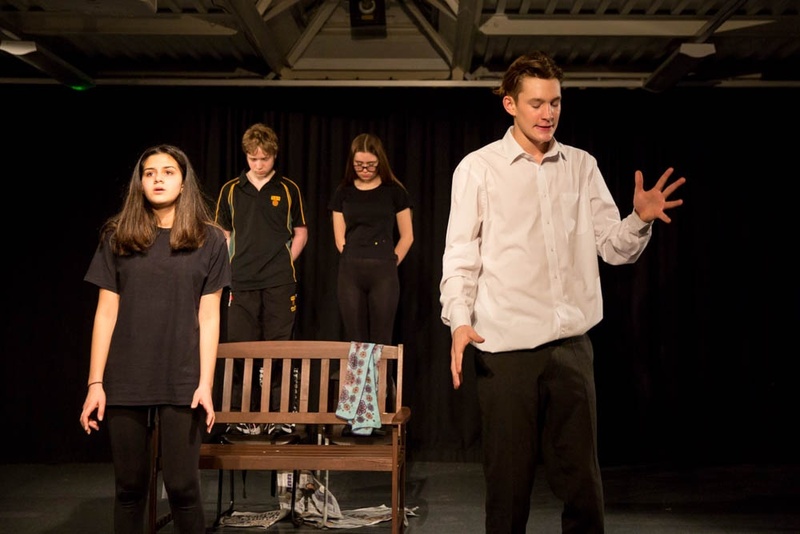 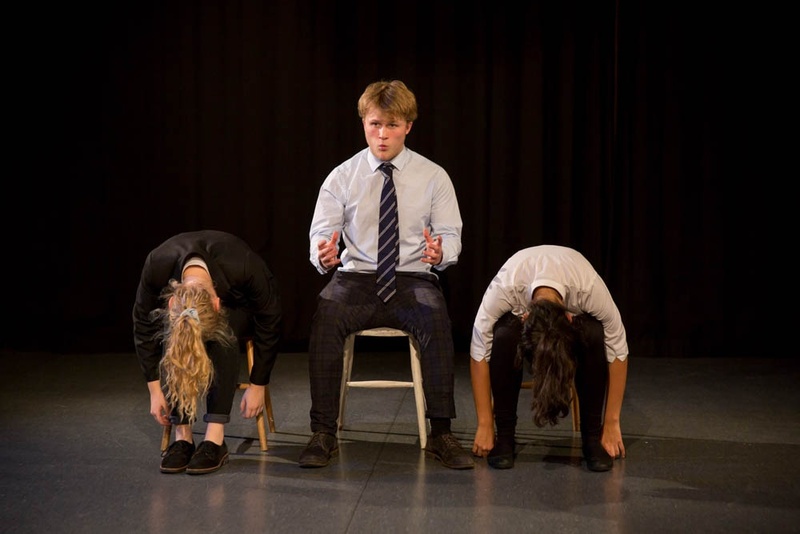 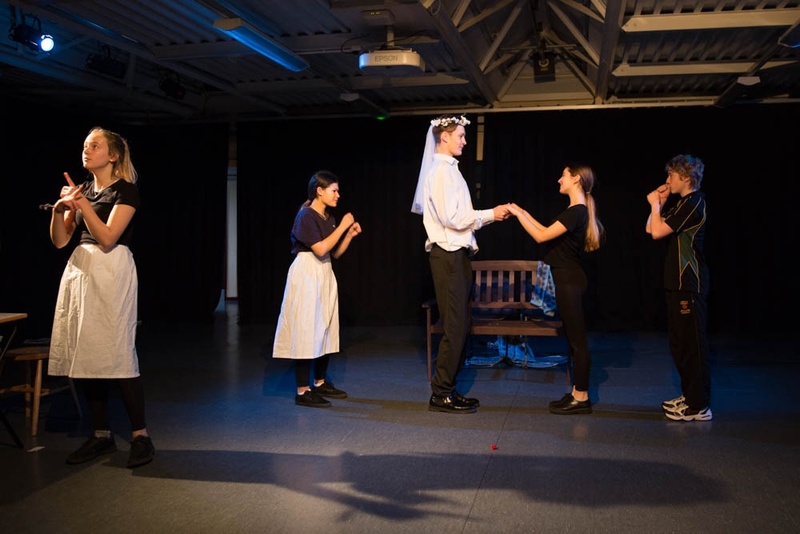 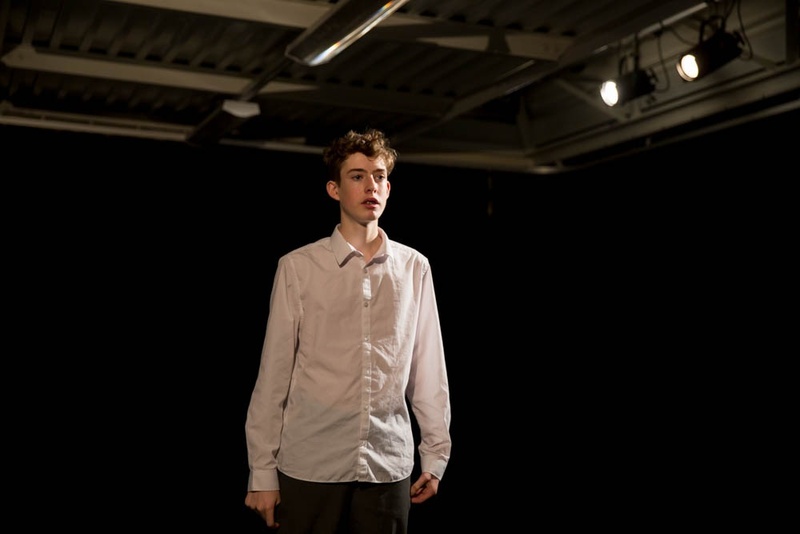 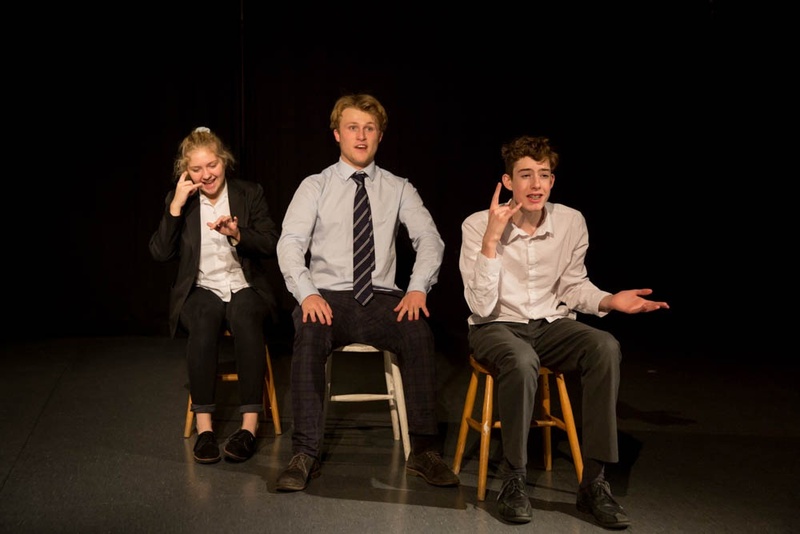 Using a pre-released stimulus provided by the examination board, each group of Year 11 students skilfully created a physical piece of theatre in the style of Kneehigh. 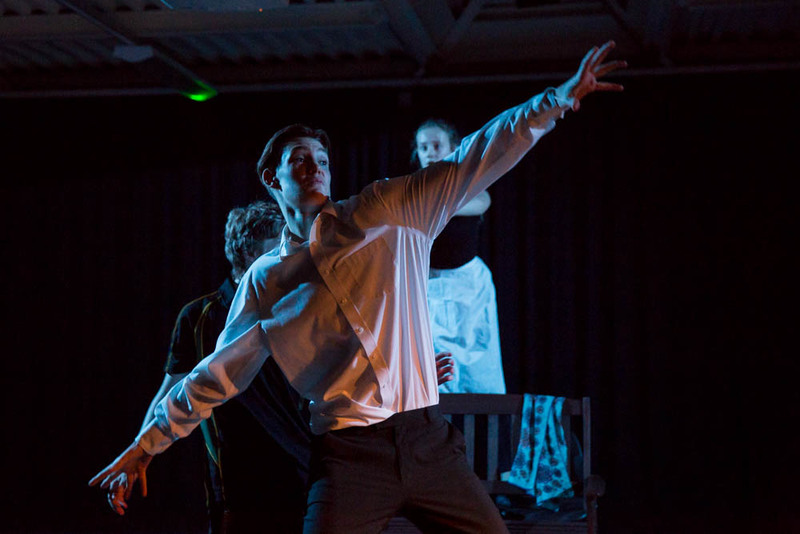 Kneehigh is often viewed as a theatre of humanity, incorporating music and movement within its ever changing ensemble. 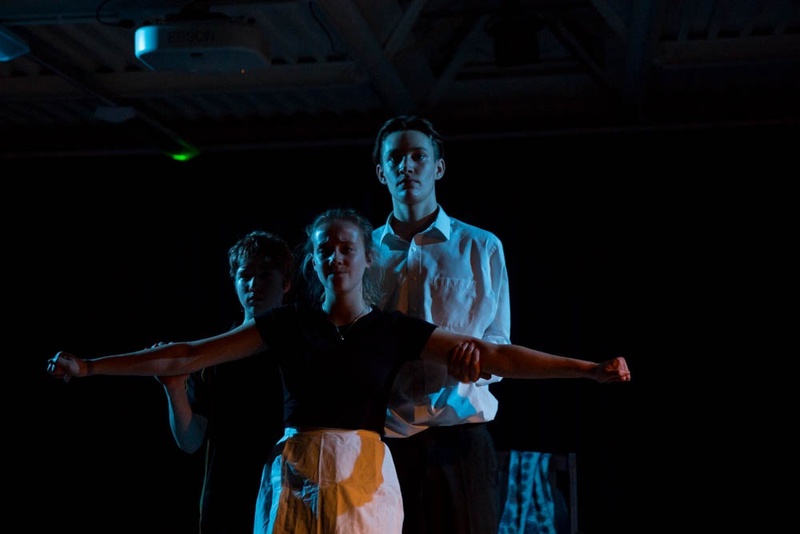 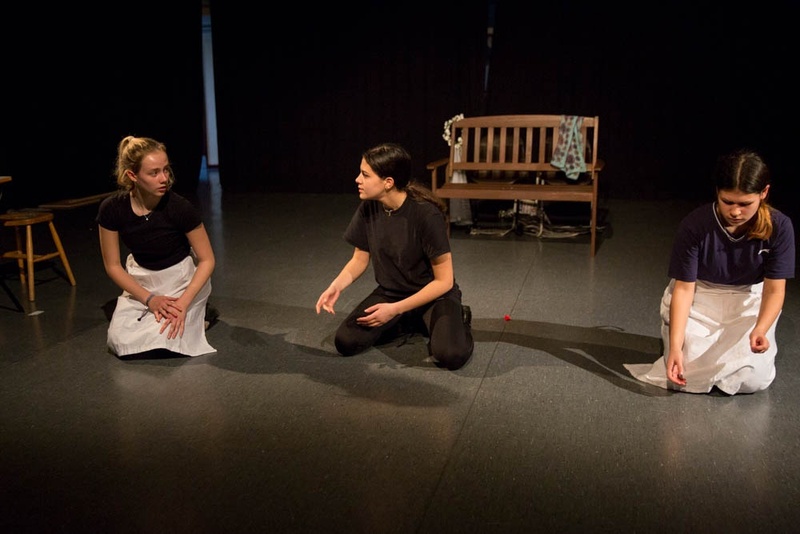 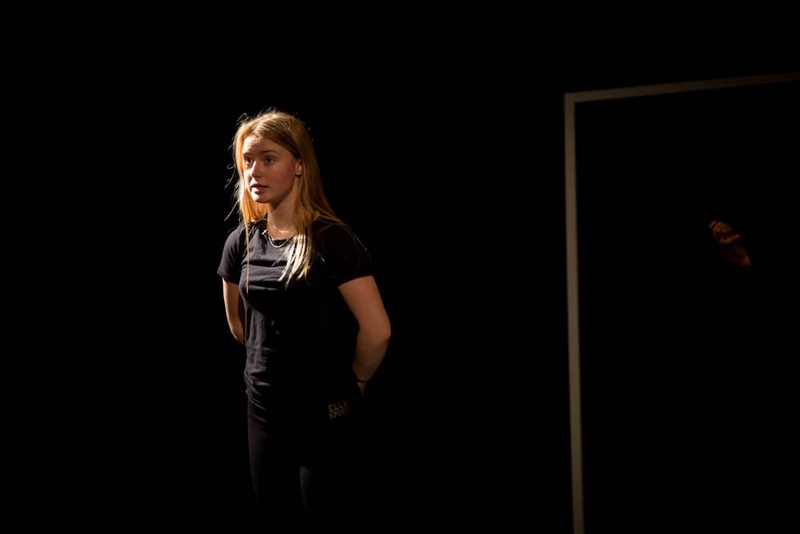 Each piece closely followed Kneehigh’s principles of play, generosity and vulnerability as the pupils reached out successfully to touch the audience in an emotional way. 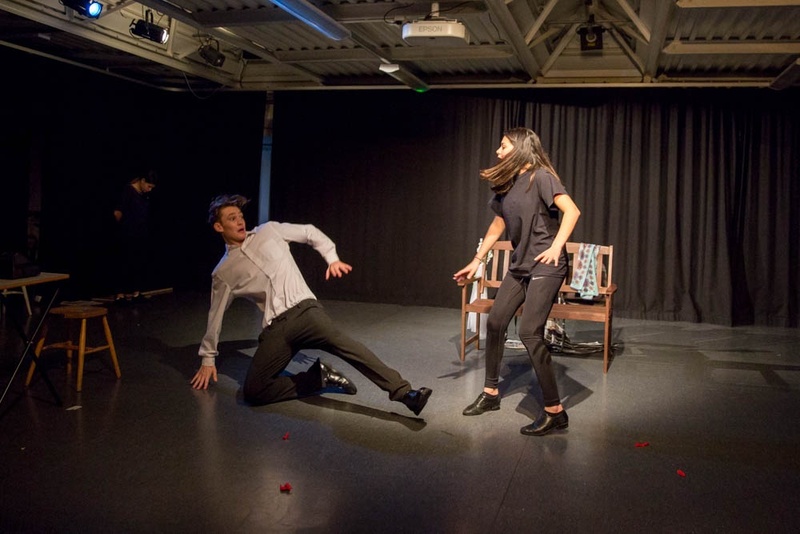 Experimental in its approach, it made for an exciting and varied evening with singing, live music and movement successfully intertwined within the performance.